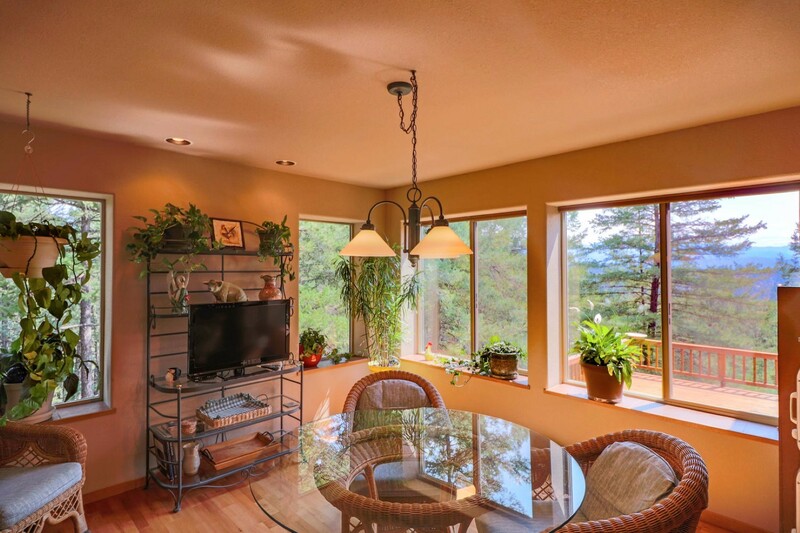 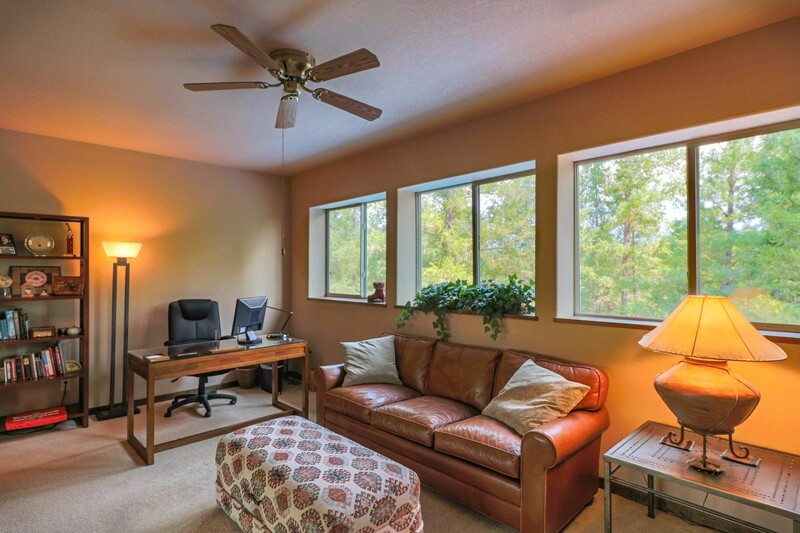 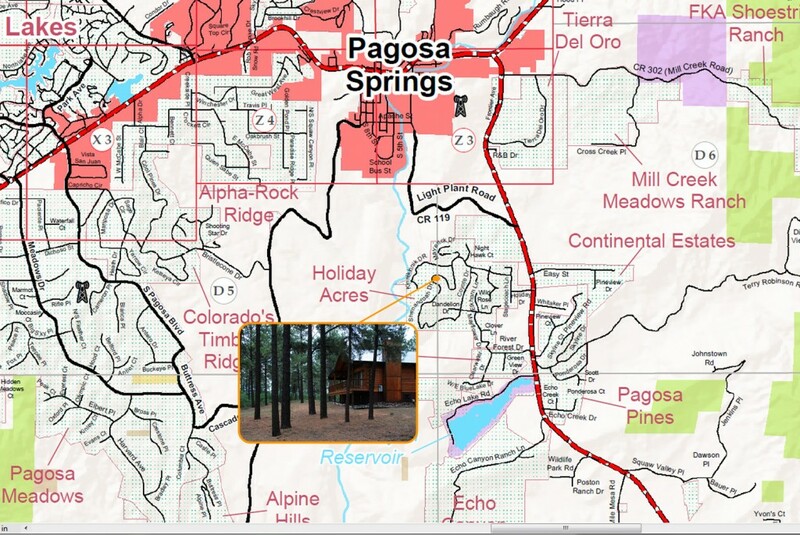 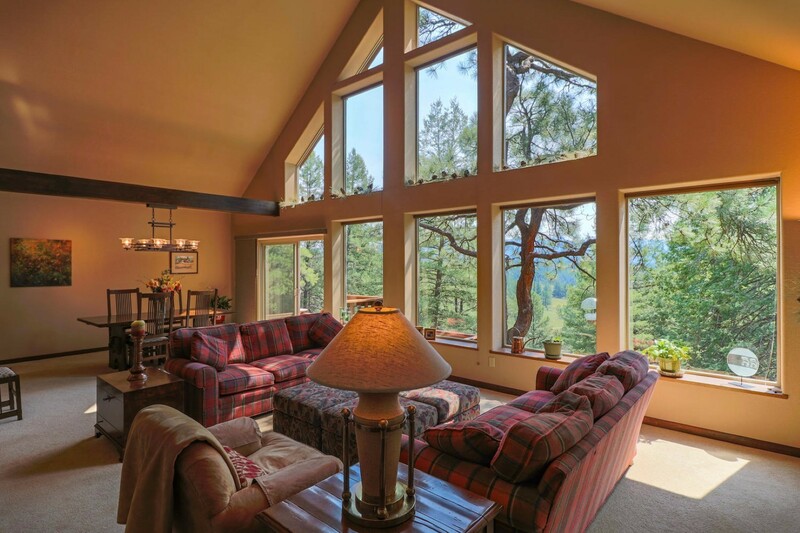 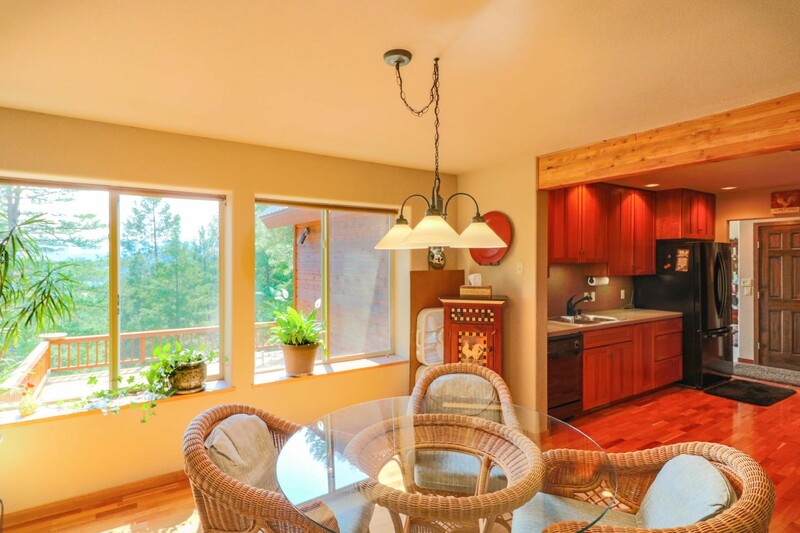 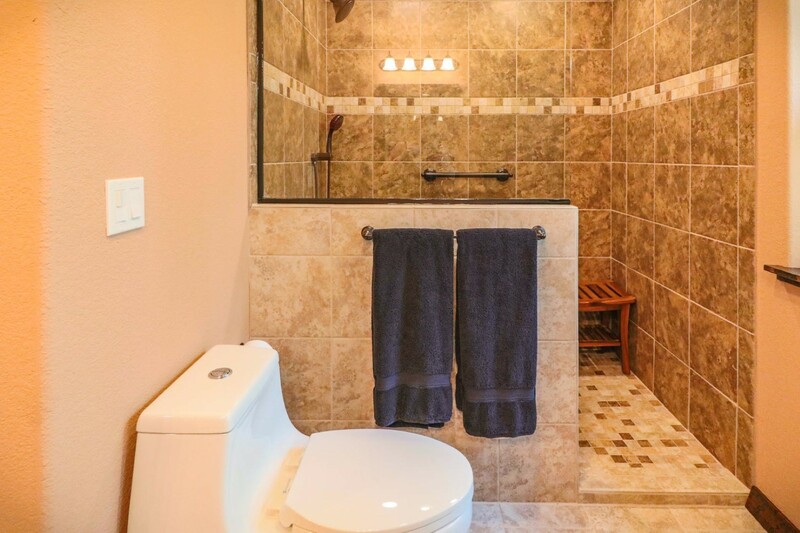 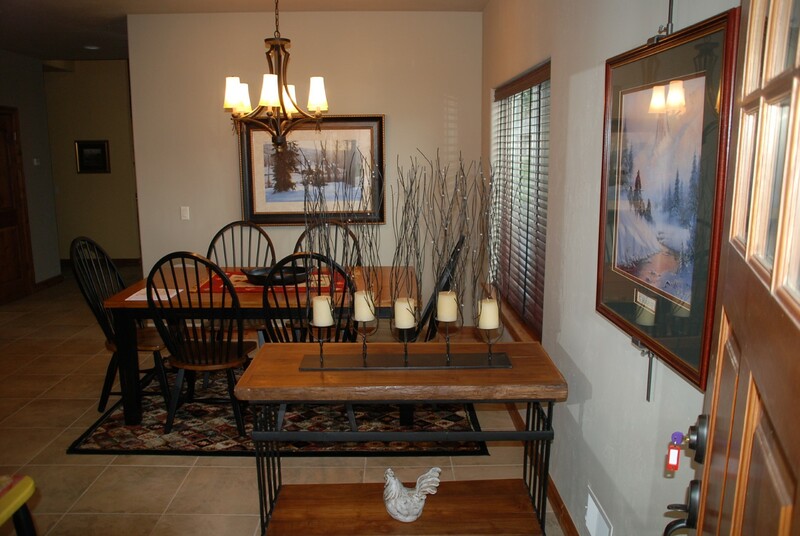 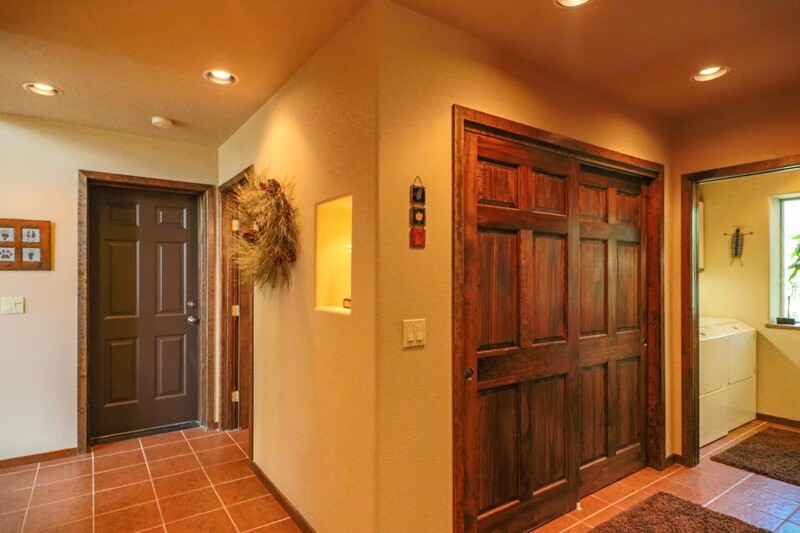 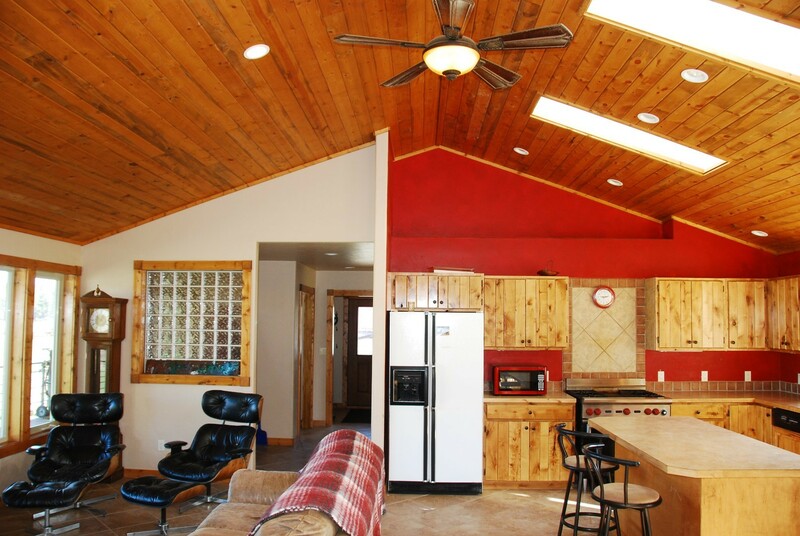 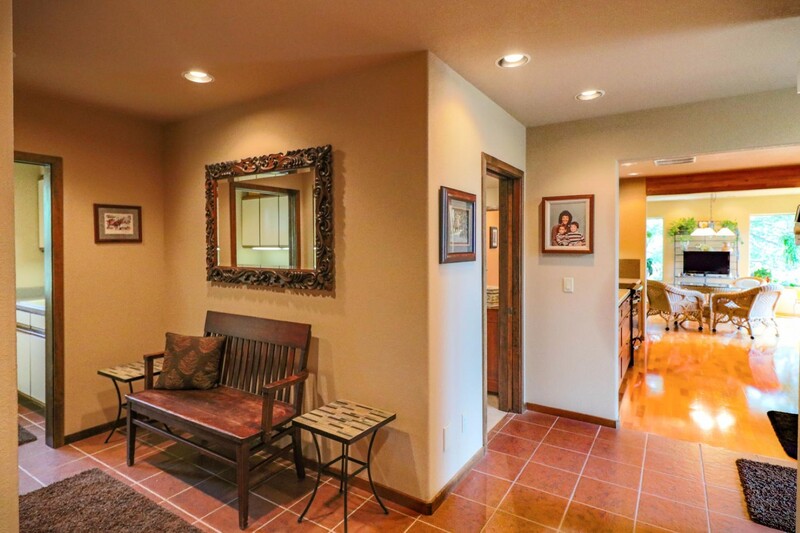 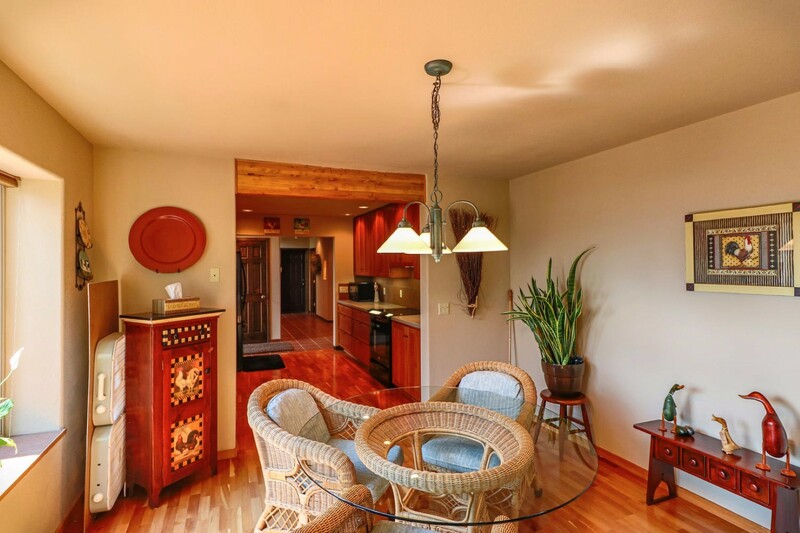 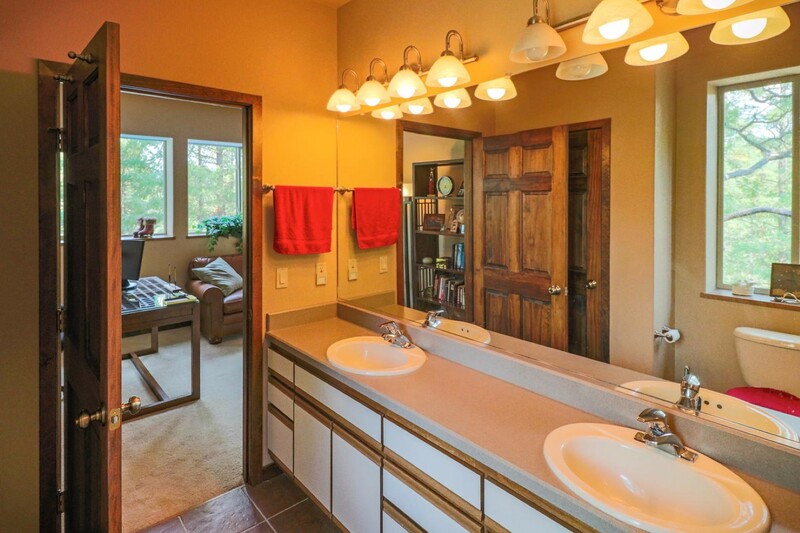 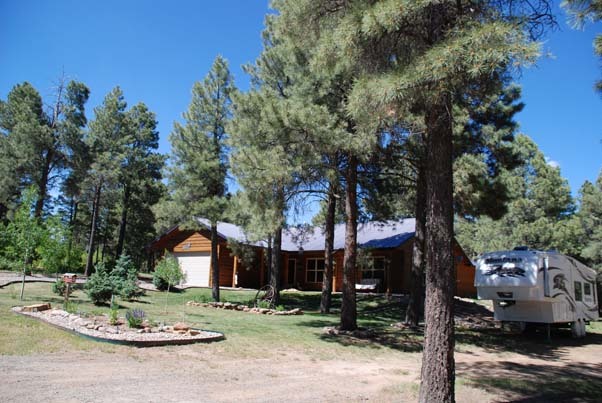 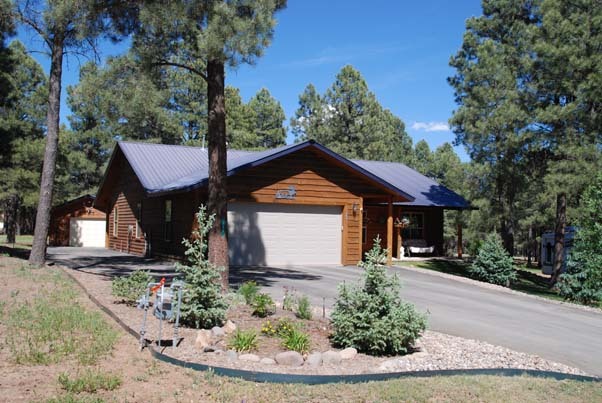 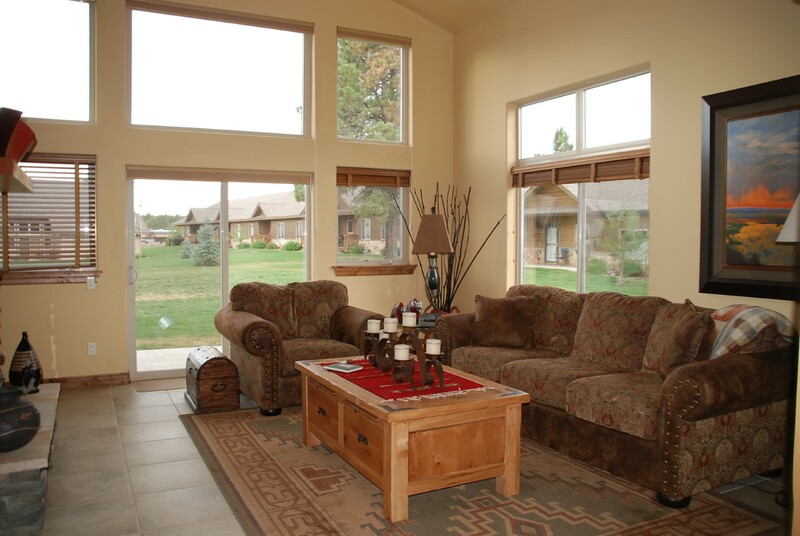 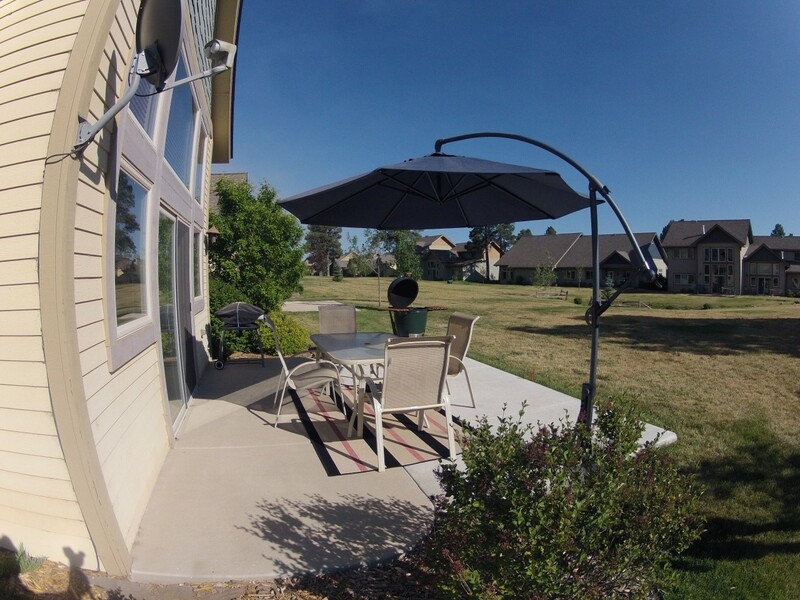 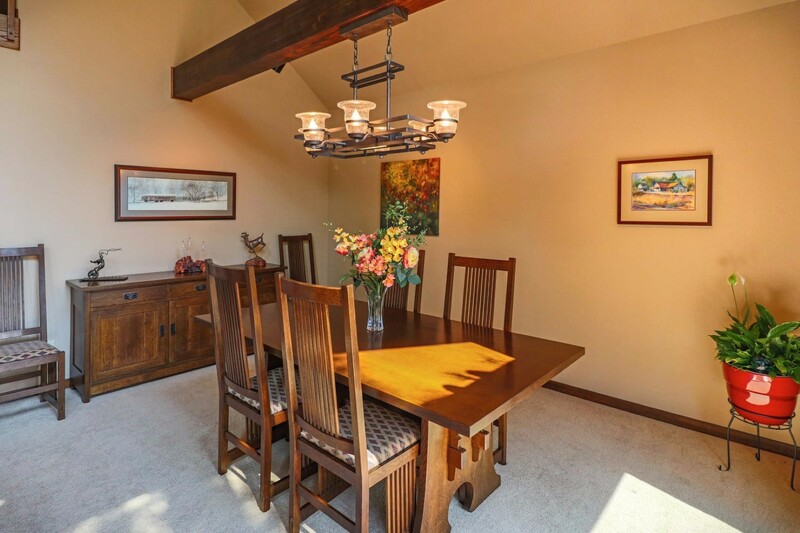 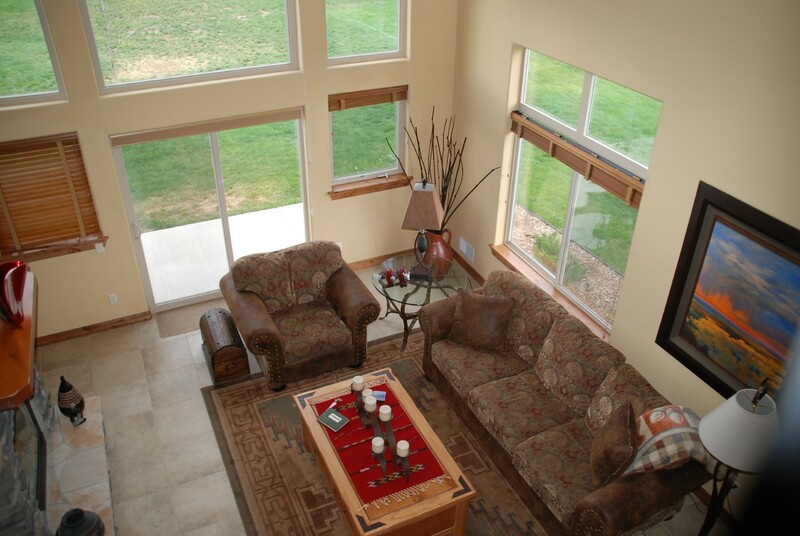 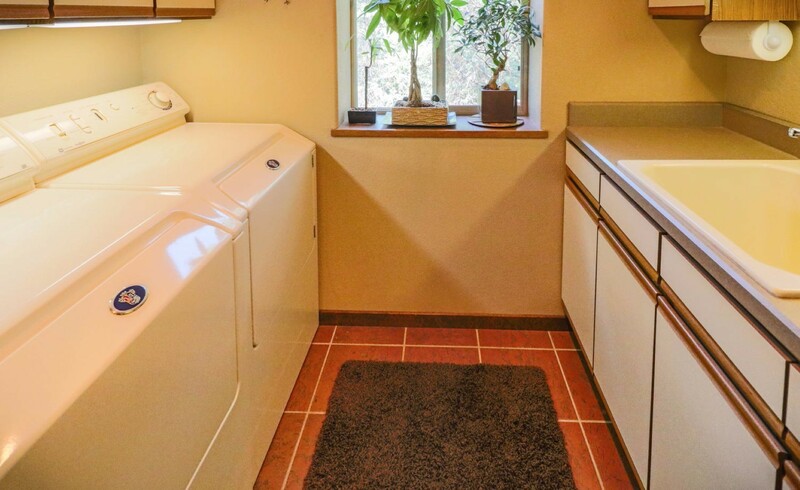 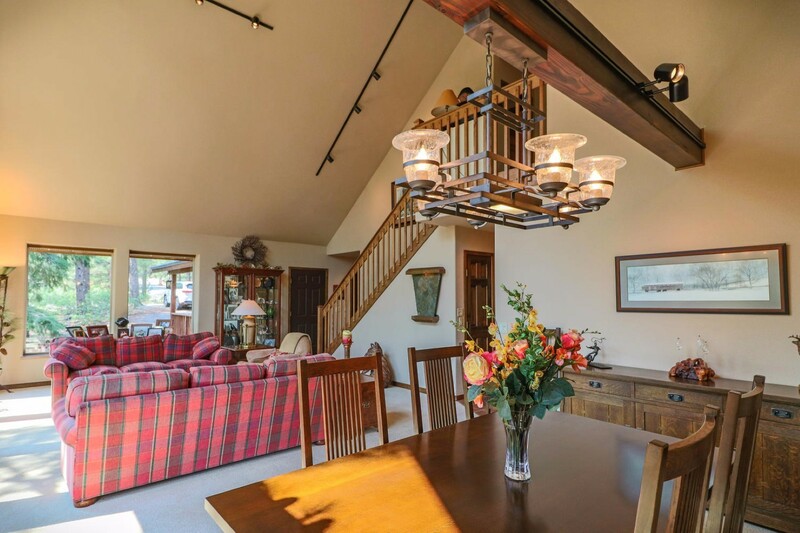 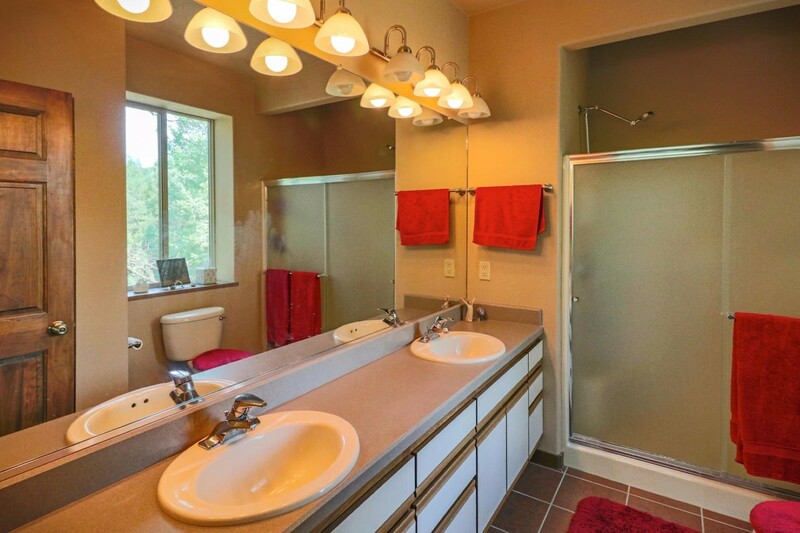 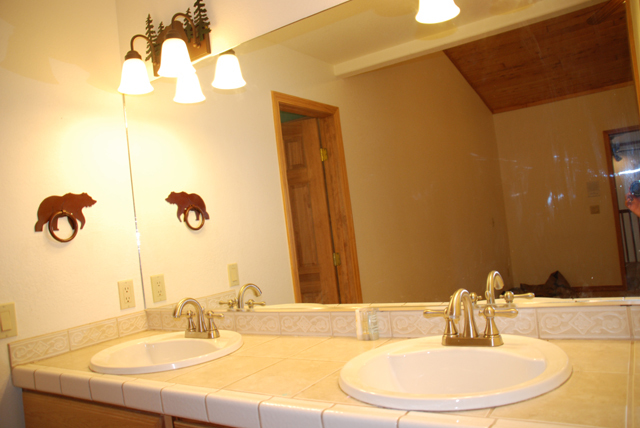 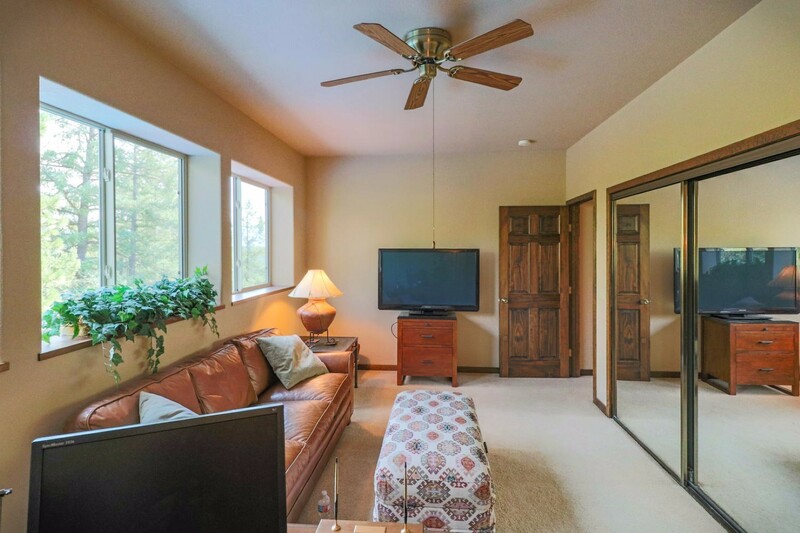 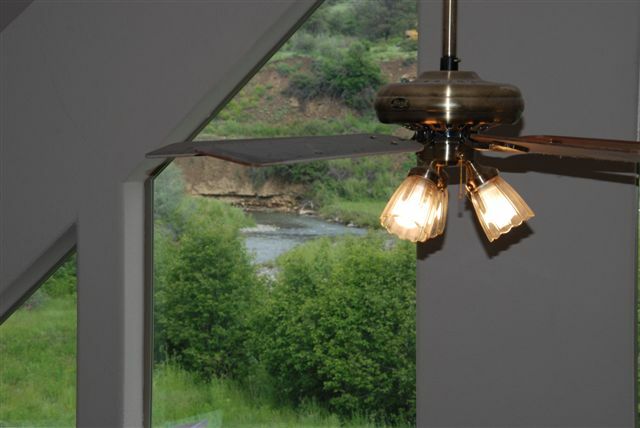 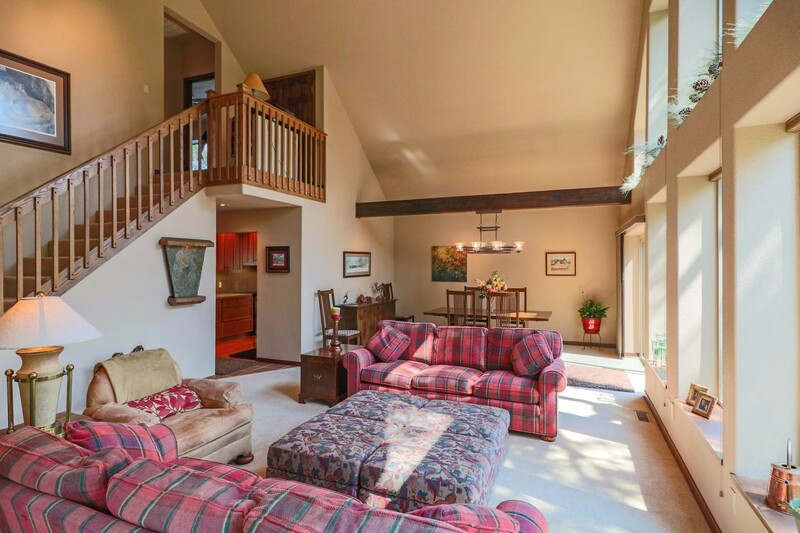 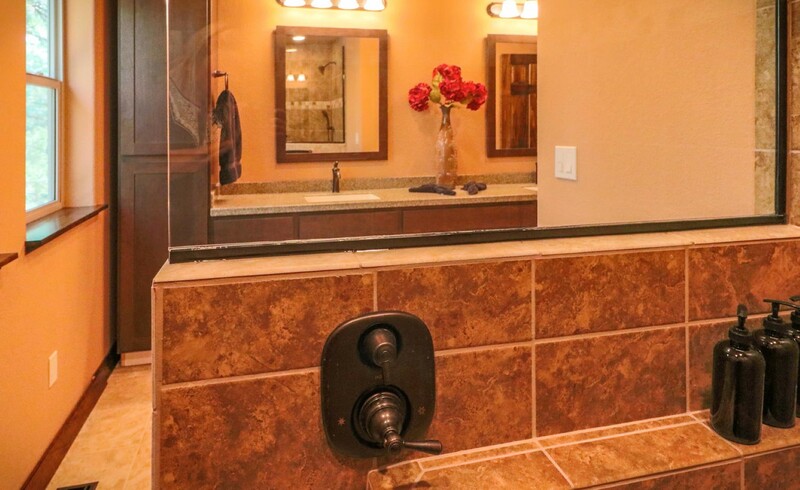 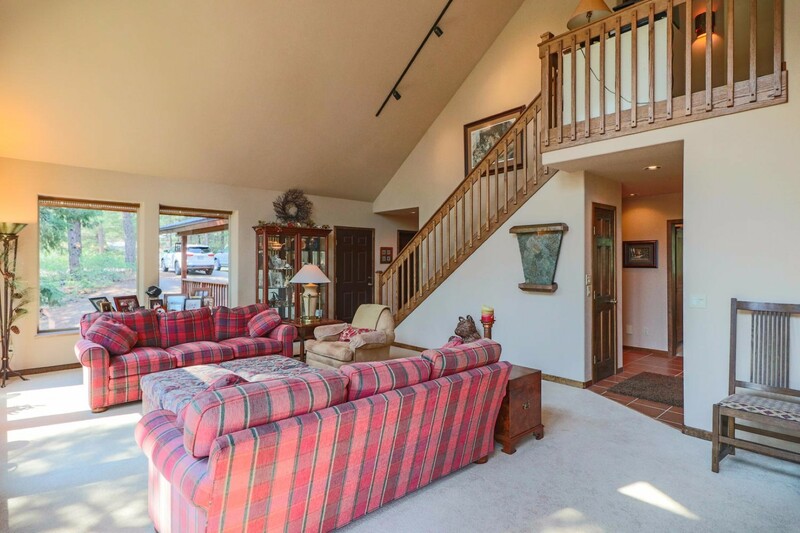 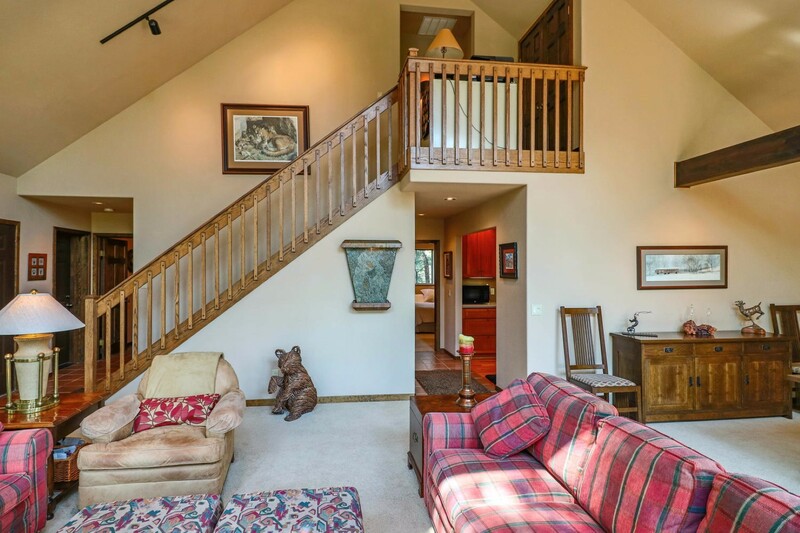 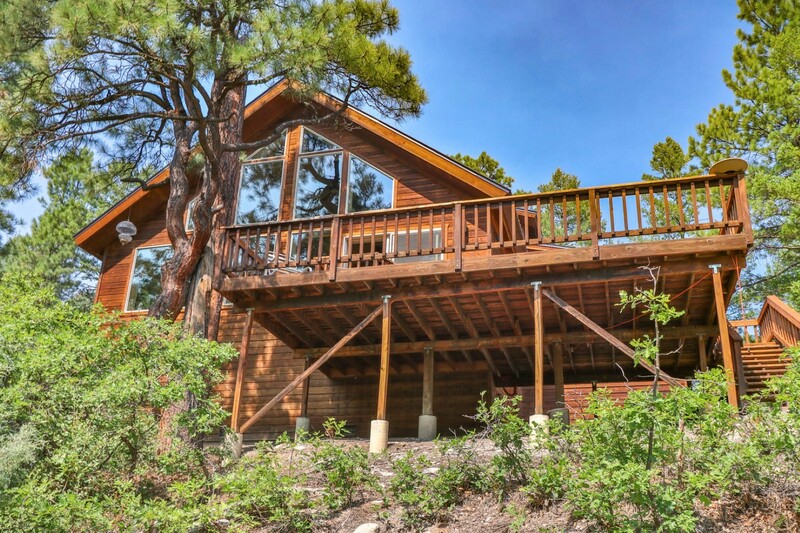 Currently viewing the tag: "Pagosa Springs Homes For Sale"
This beautiful home rests on 6.2 wooded acres in Pagosa’s premier subdivision of Timber Ridge Ranch. 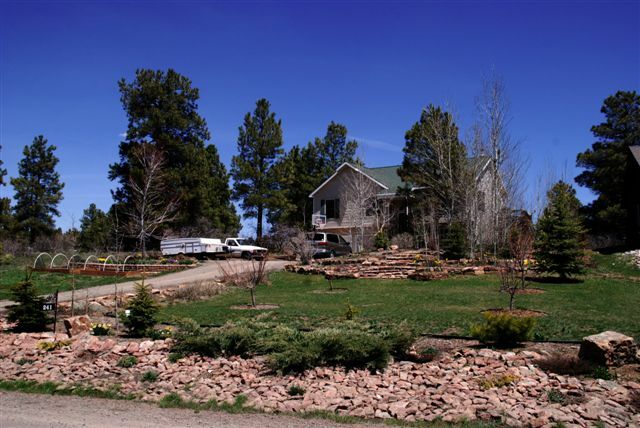 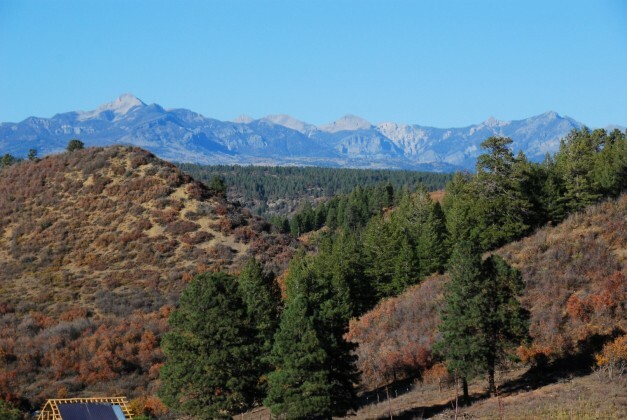 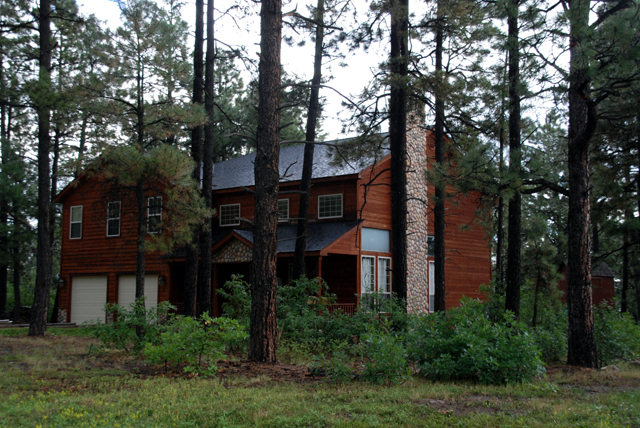 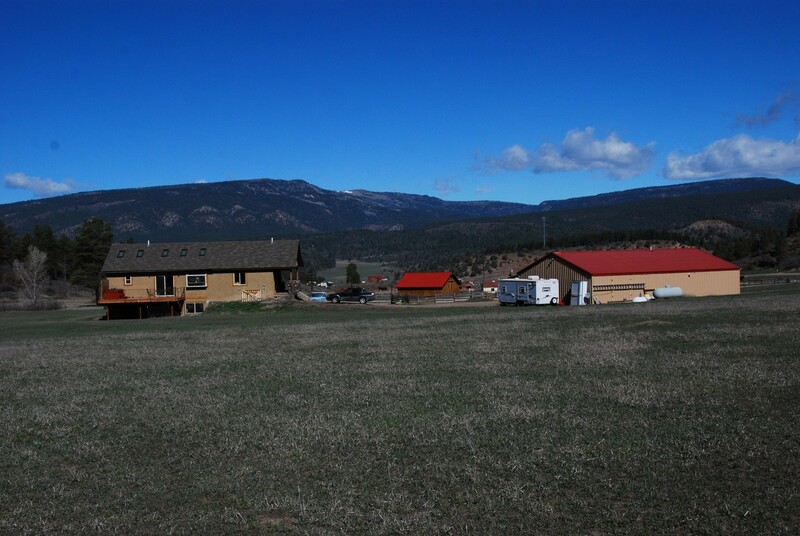 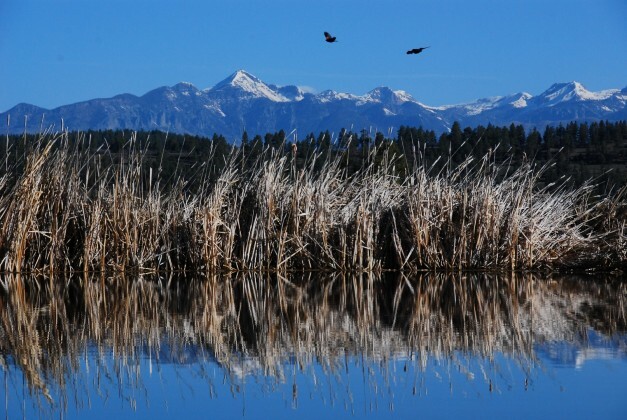 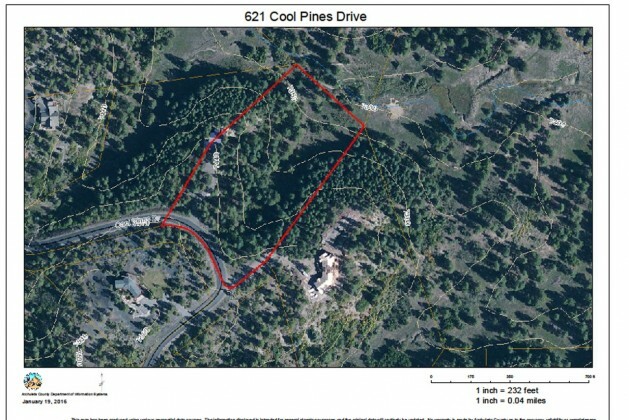 Timber Ridge is one of the few neighborhoods with all roads paved and features city water and sewer which is unique for properties in Pagosa with acreage. 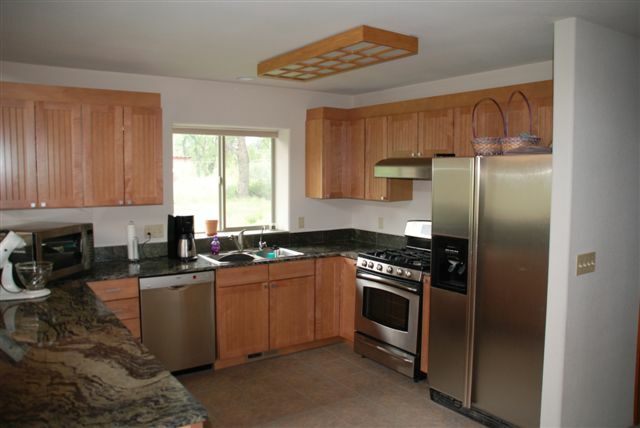 This is a 5-Star energy efficient, 3BR, 3-1/2 BA home with first floor master. 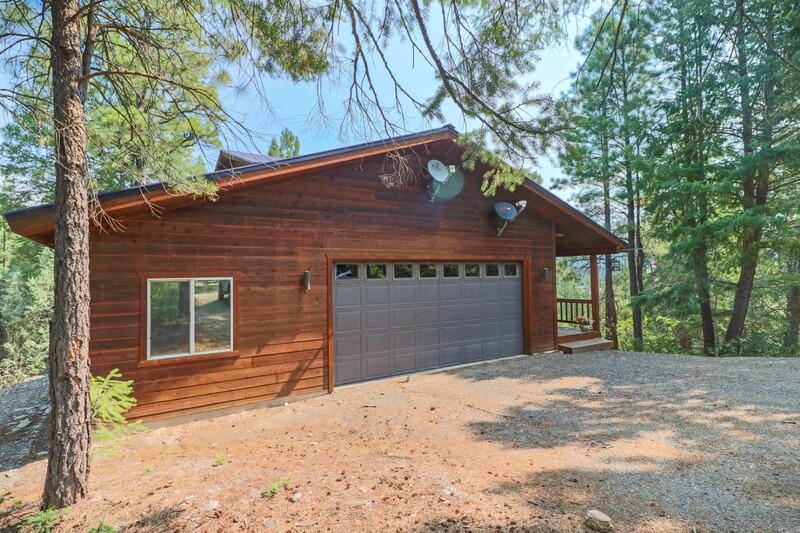 The home has mountain views, generous decking, and is extremely private, yet very convenient to shopping and medical facilities. 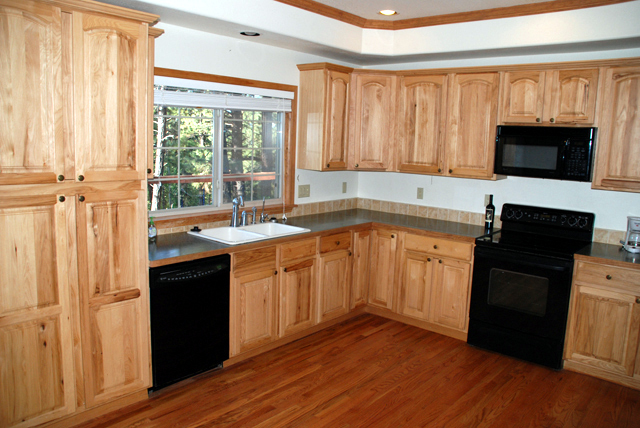 The kitchen features cherry cabinets and cherry flooring. 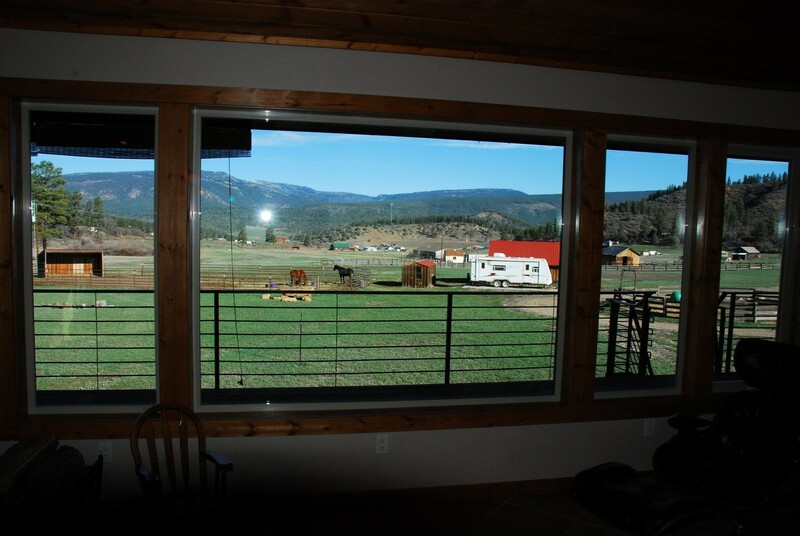 The living and dining rooms have giant southeast-facing windows to enjoy the views and capture solar exposure during the winter months. 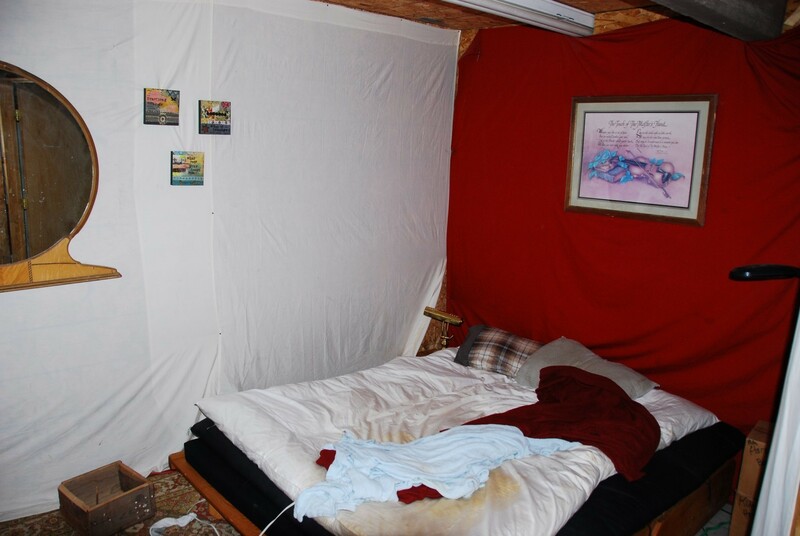 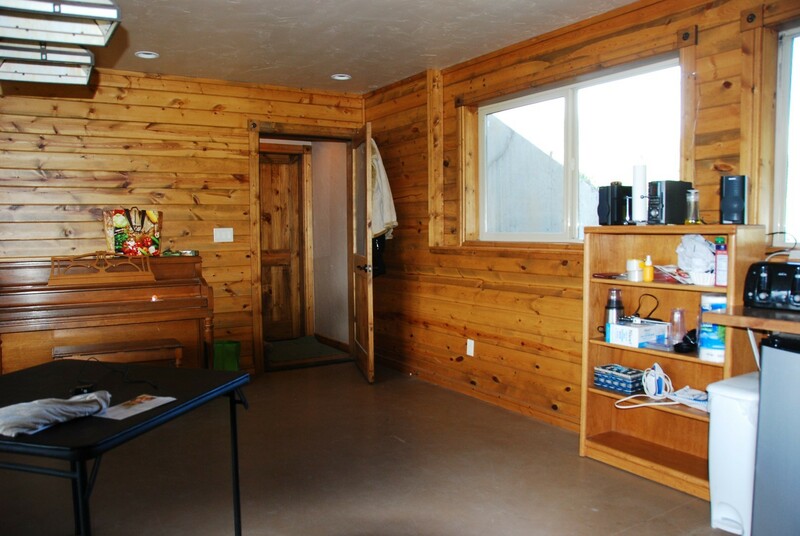 The walls are 12” thick which equates to a 30% reduction in heating expenses. 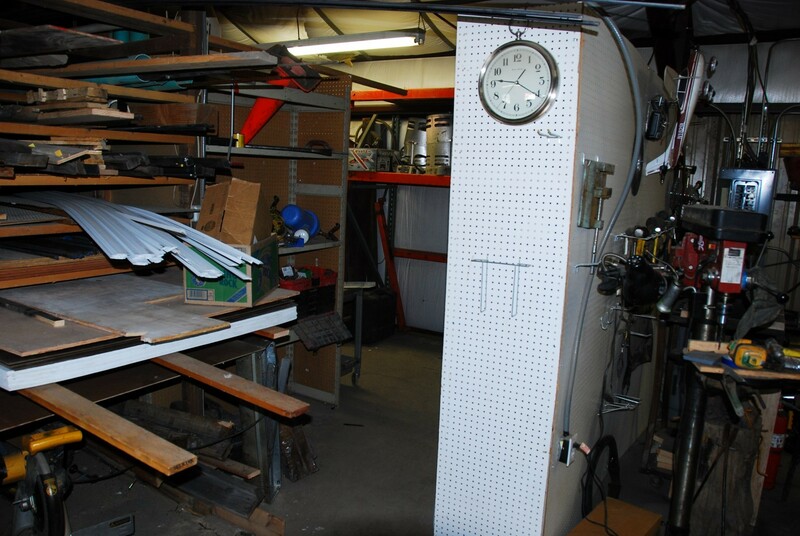 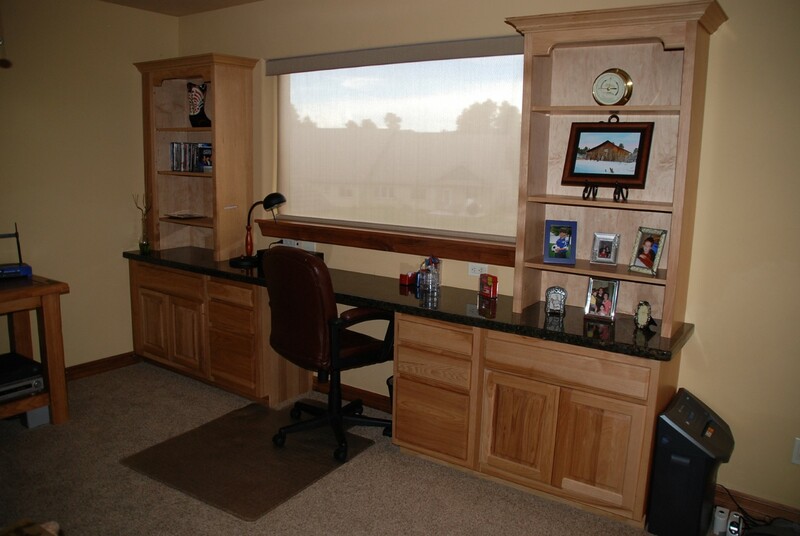 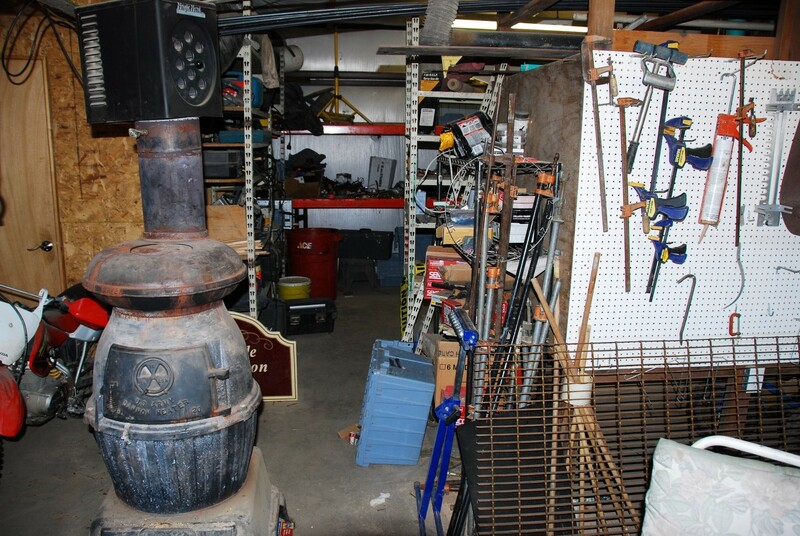 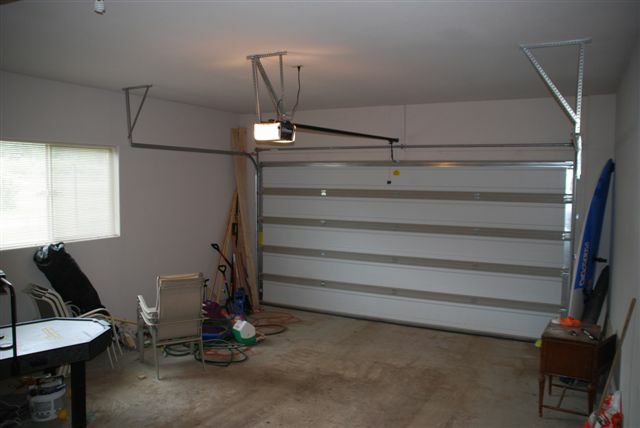 The oversized 2-car garage has additional attic storage above and an adjoining 9’ x 23’ storage/workshop. 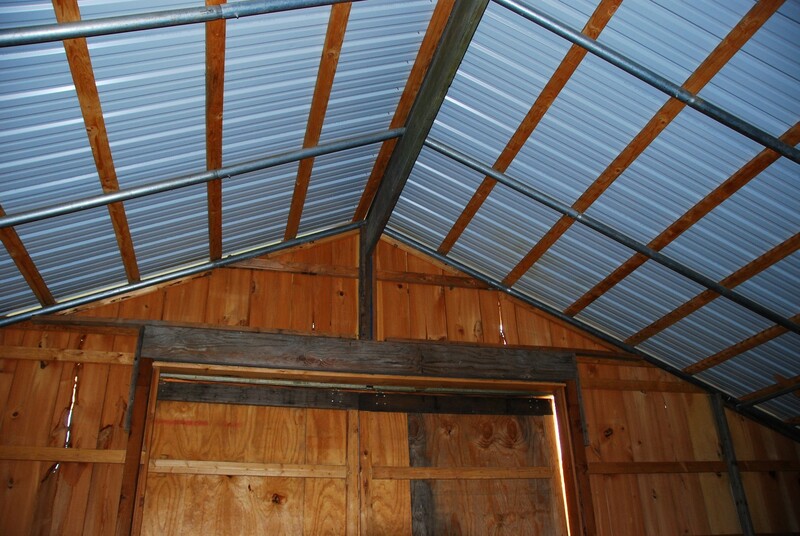 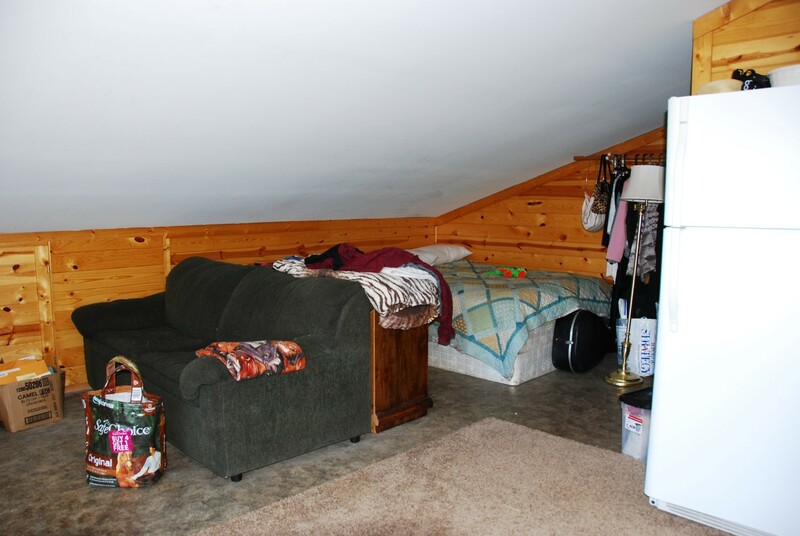 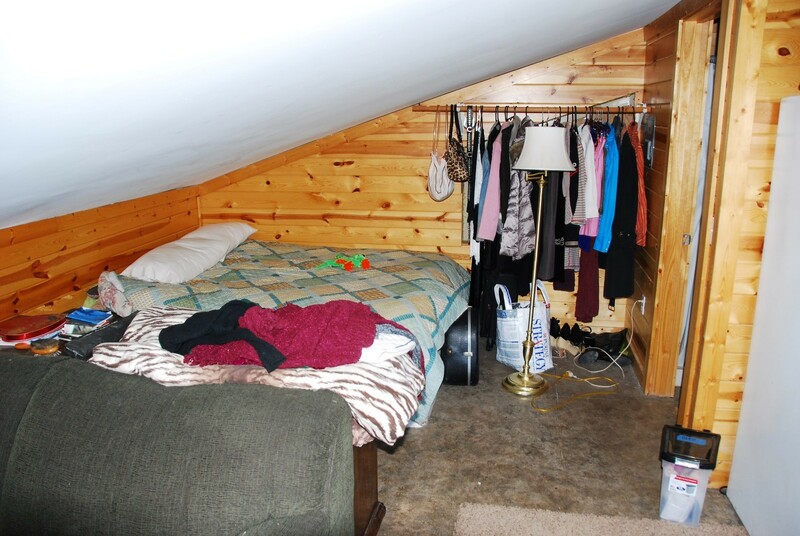 The moisture-free crawl space offers additional storage with some of the area up to 9’ tall. 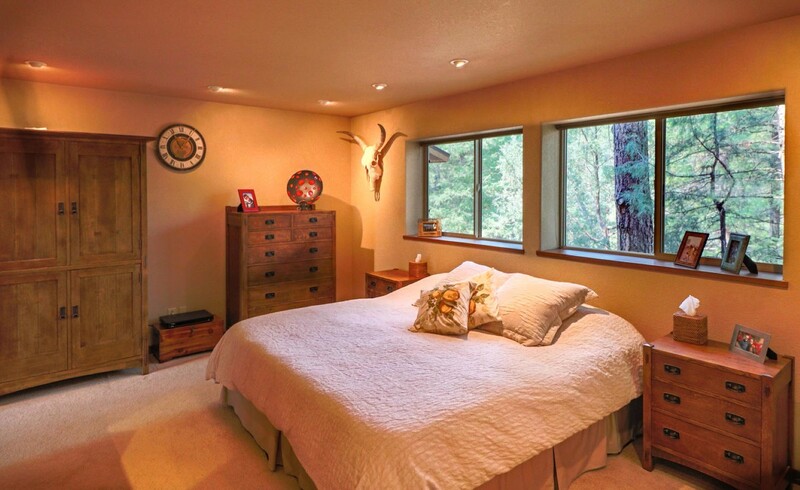 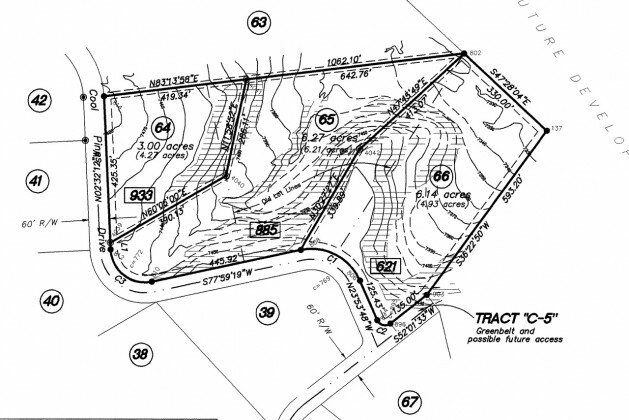 The 6 acres are heavily wooded with deer paths leading to a sun-filled meadow on the property. 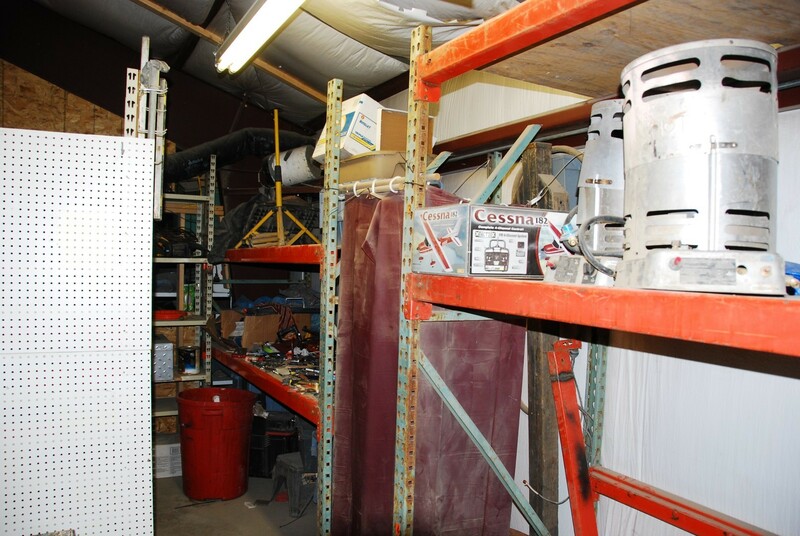 Additionally, the home is equipped with a whole-house vacuum system and the 1,000-gallon underground propane tank conveys with the sale (not rented) so you can buy your propane from whichever company is offering the best rates. 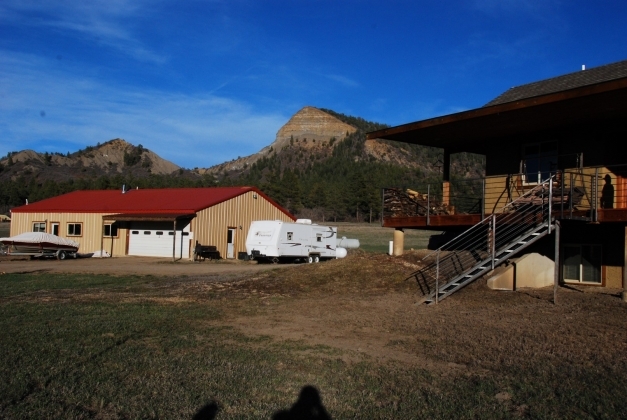 This is a spectacular horse property in a gorgeous setting with a tack shed, horse pin, 50-foot round pen and 2400 sf shop with a car lift and additional 500 sf apartment above. 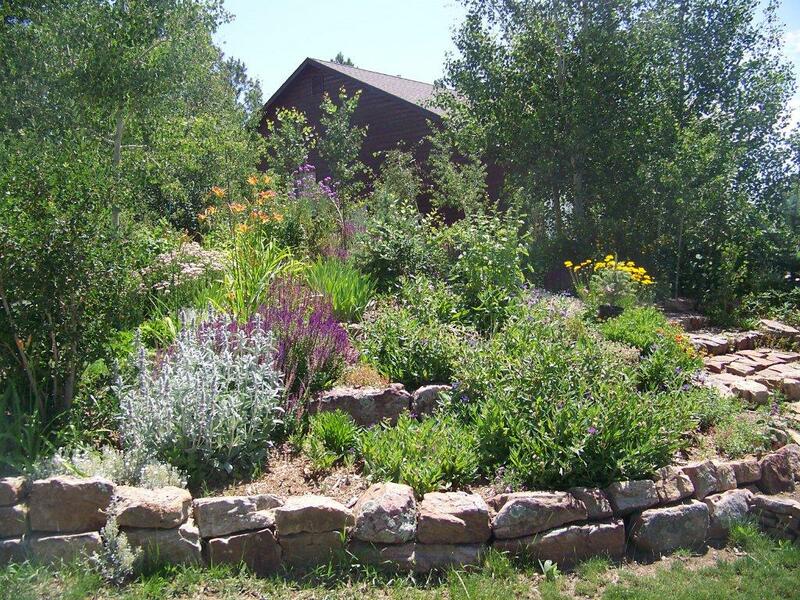 The well produces 9 gallons/minute of sweet water and is permitted for three homes, one acre of irrigation and domestic animal water also. 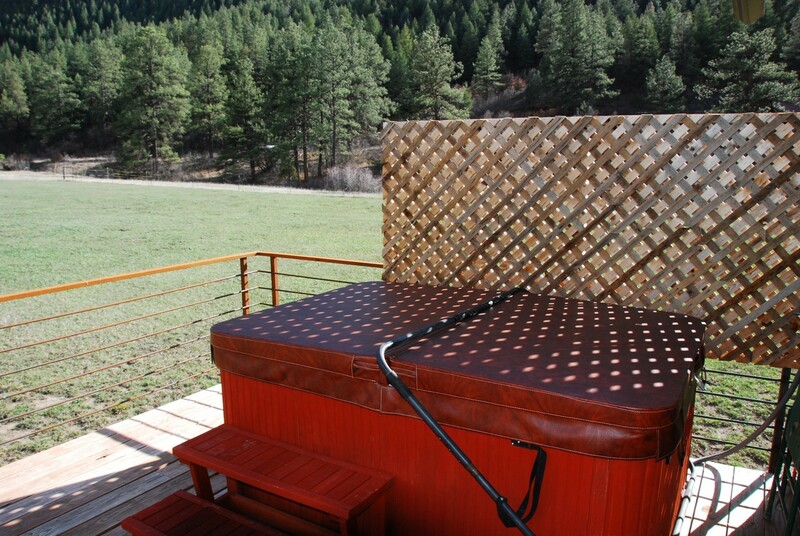 This valley is known for its sweet water and the owner installed a high-tech iron filter as well. 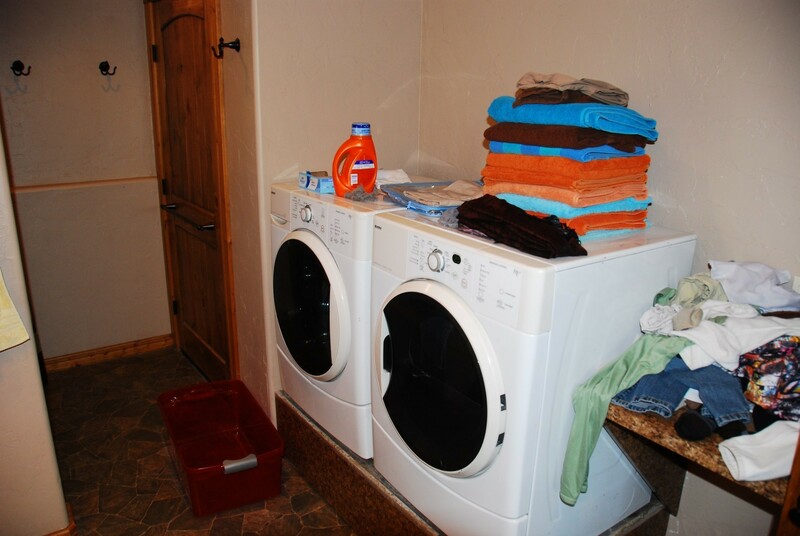 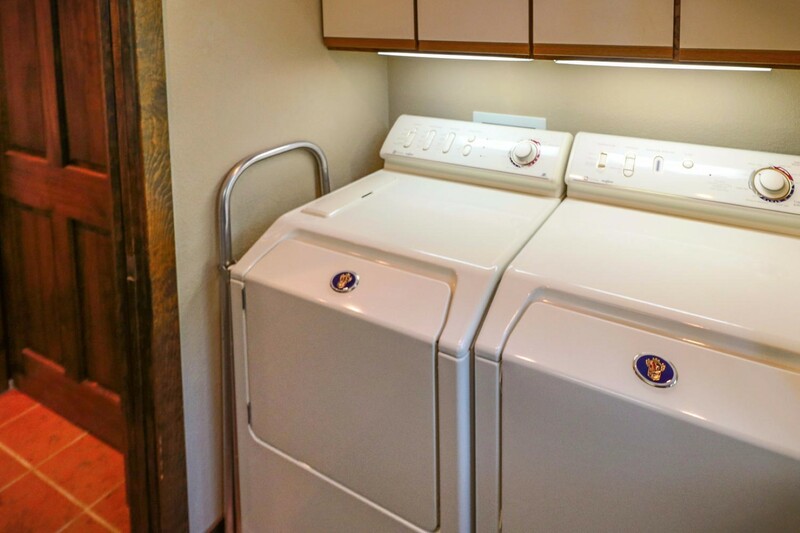 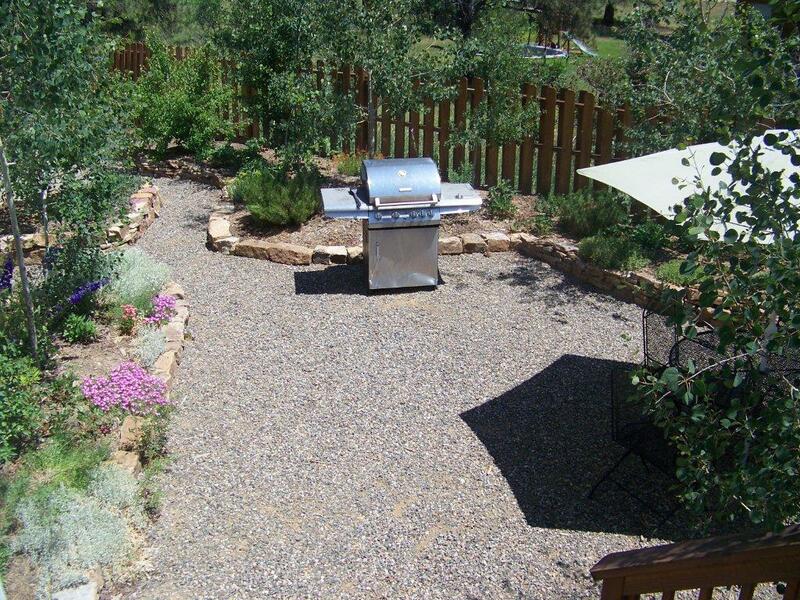 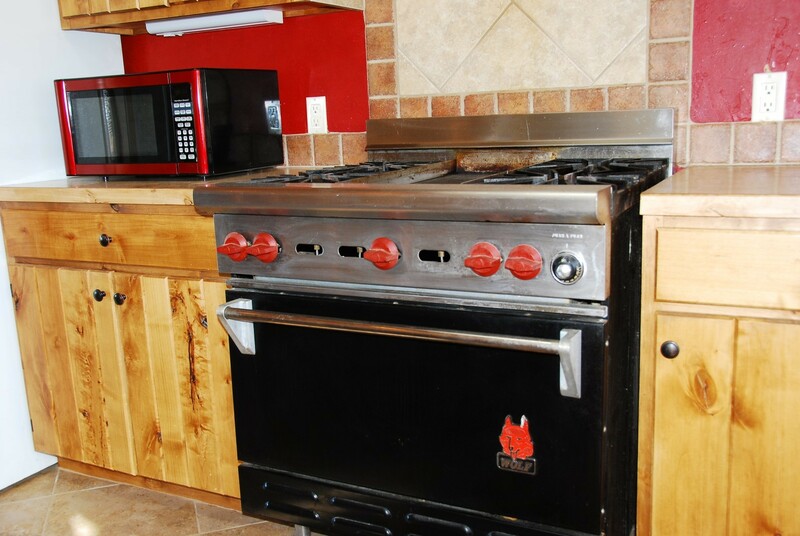 All appliances on site are included, including the commercial-grade Wolf oven/range and three sets of washer/dryers. 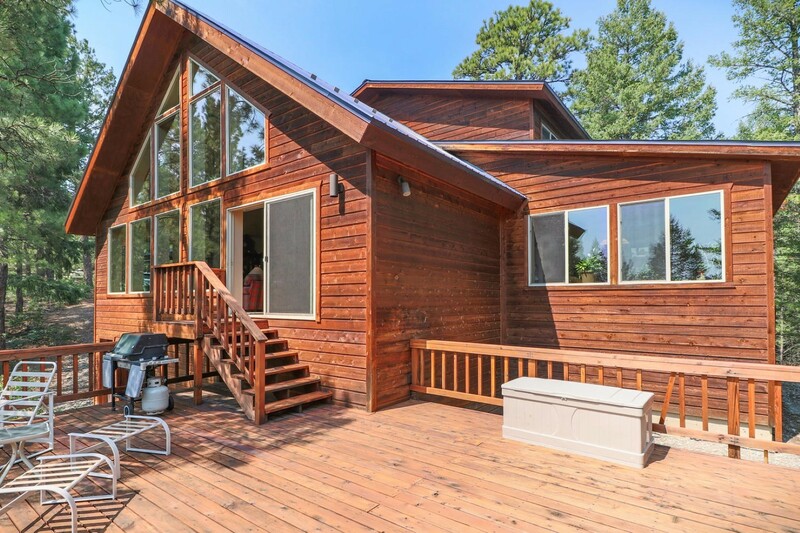 The home also features 640 sf of covered decking with gorgeous views and additional uncovered deck in the rear with great views and hot tub, knotty alder cabinet, cathedral ceilings with five sky lights and instant hot water at the kitchen sink for quick tea and coffee. 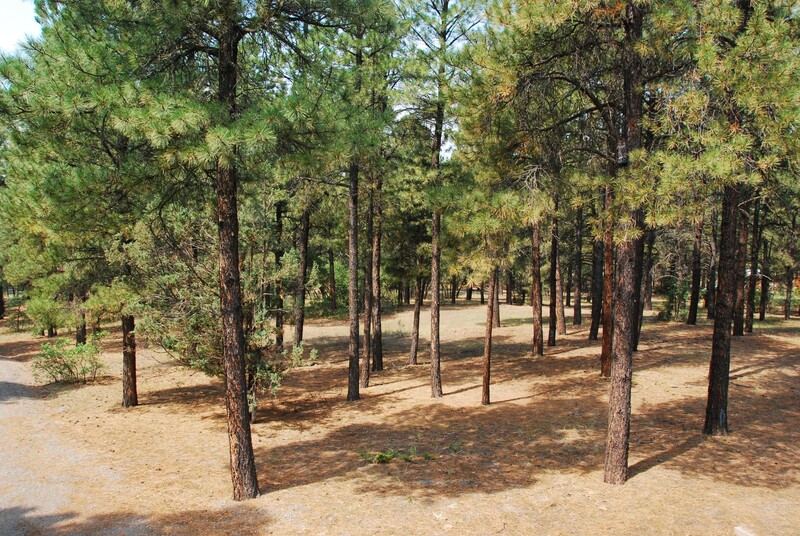 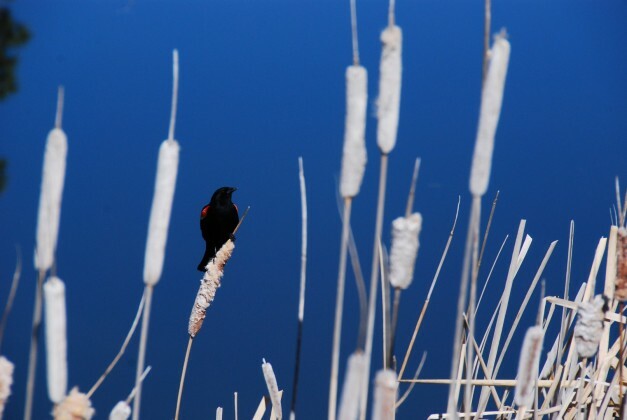 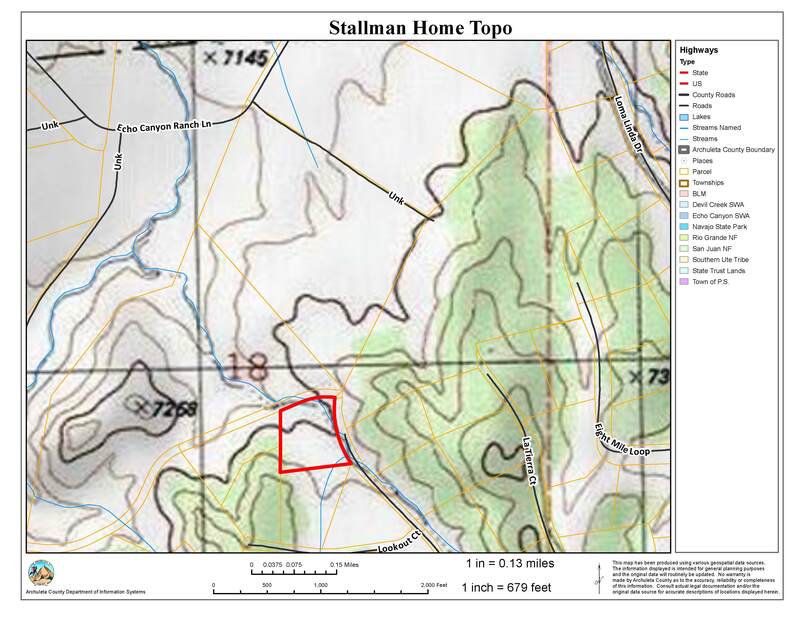 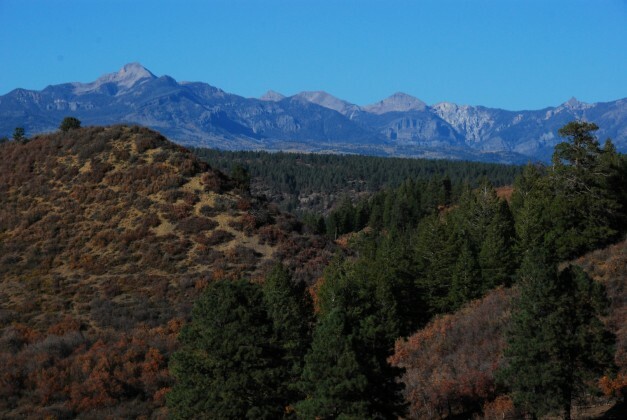 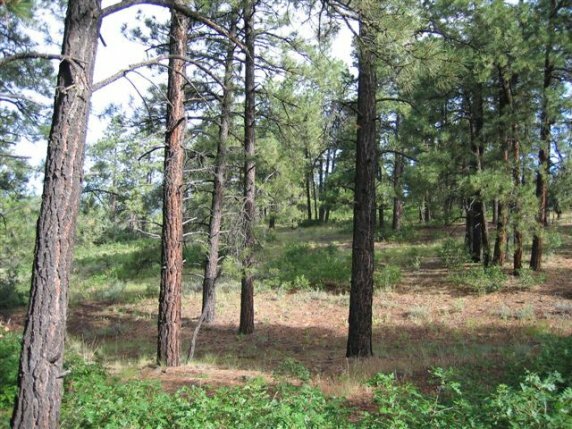 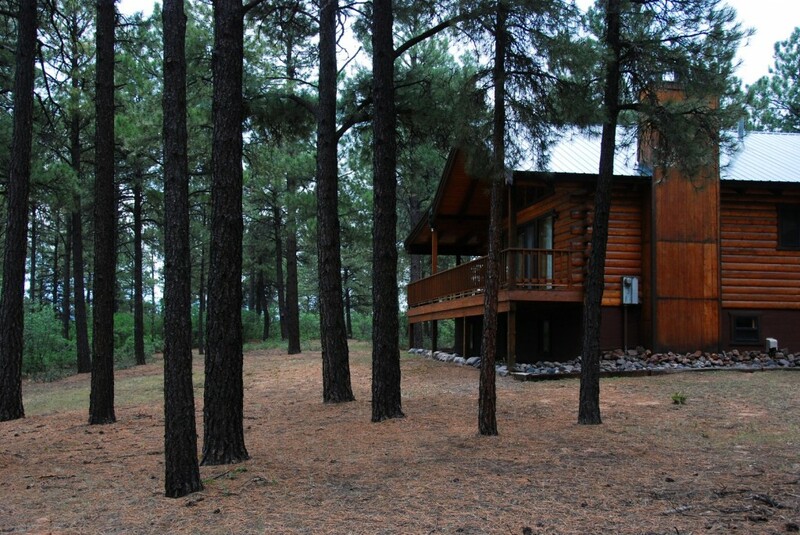 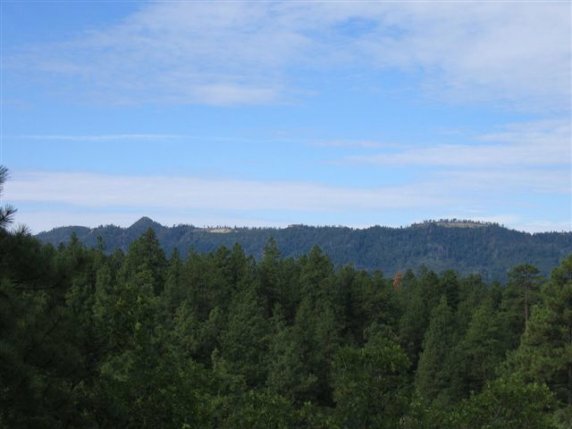 The property is adjacent to 126 acres of greenbelt and close to millions of acres of National Forest. 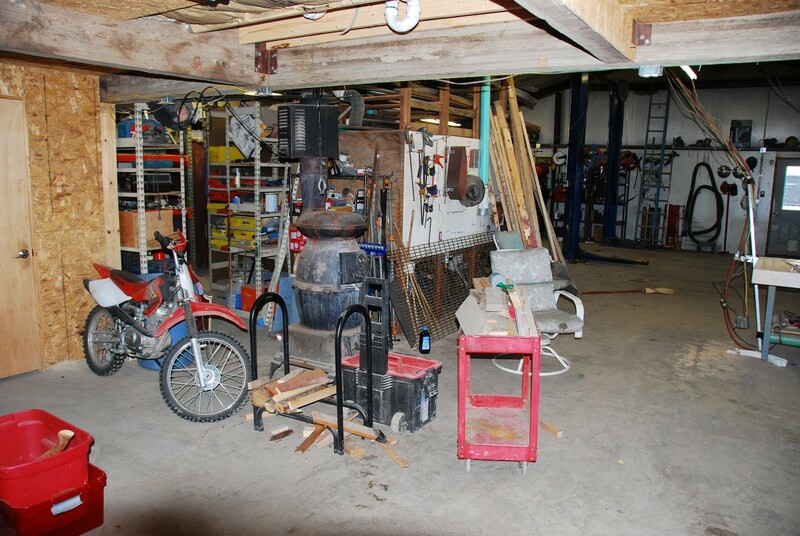 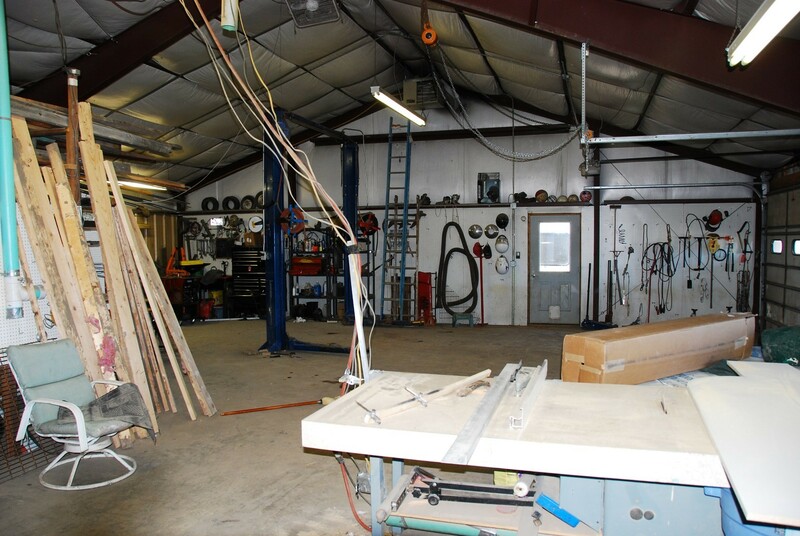 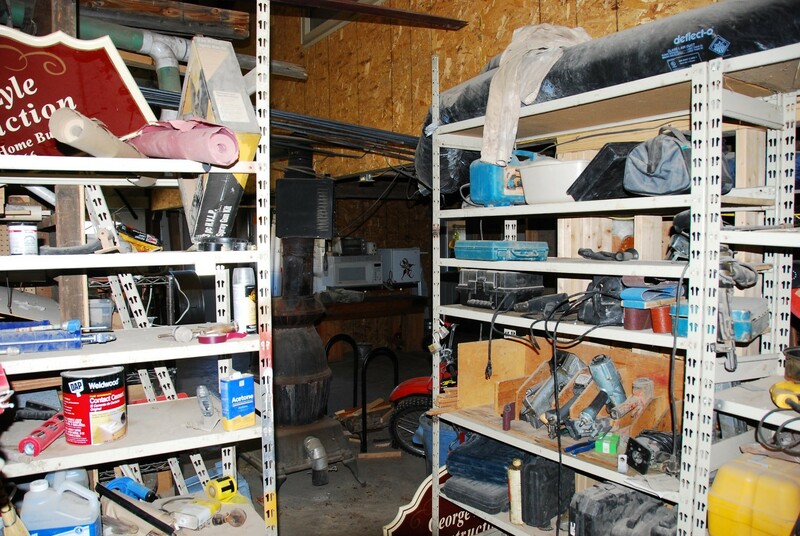 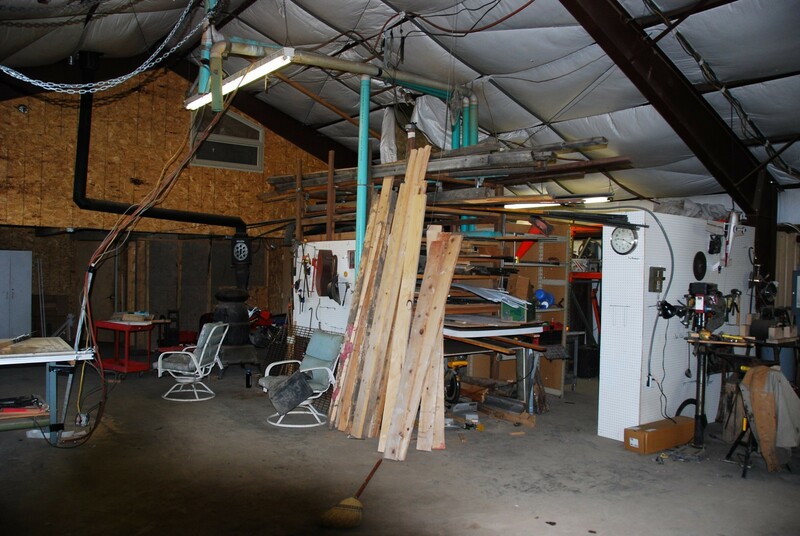 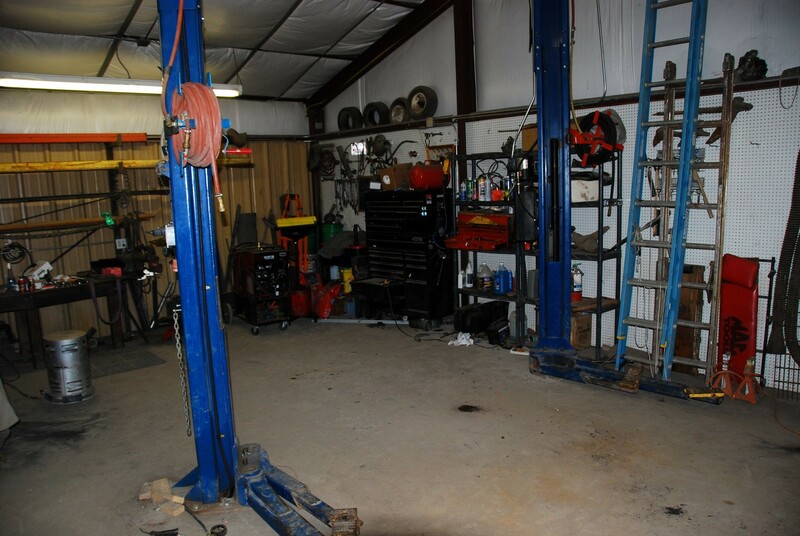 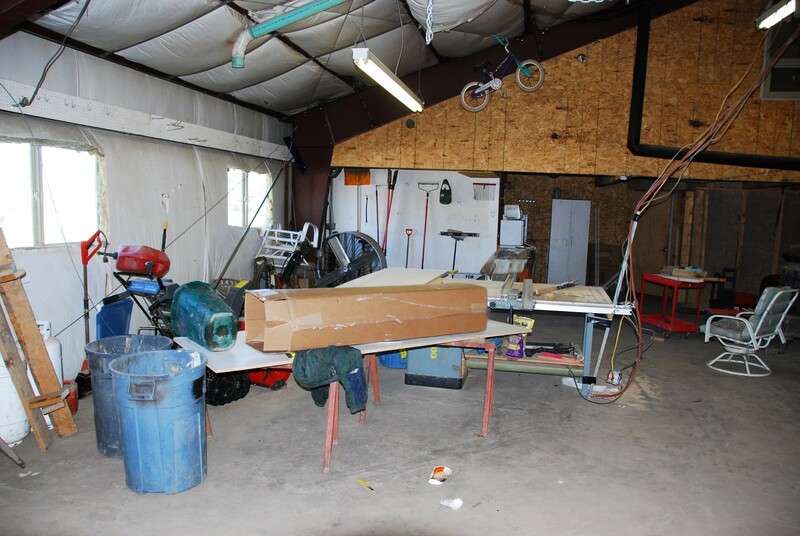 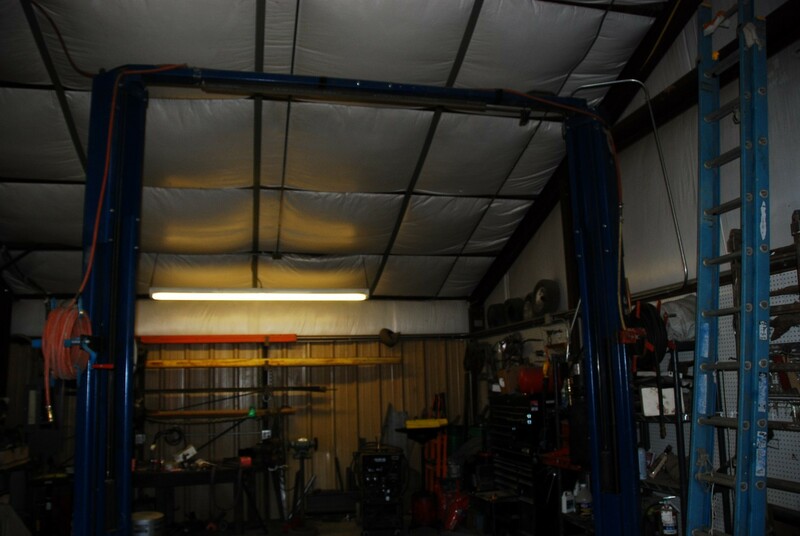 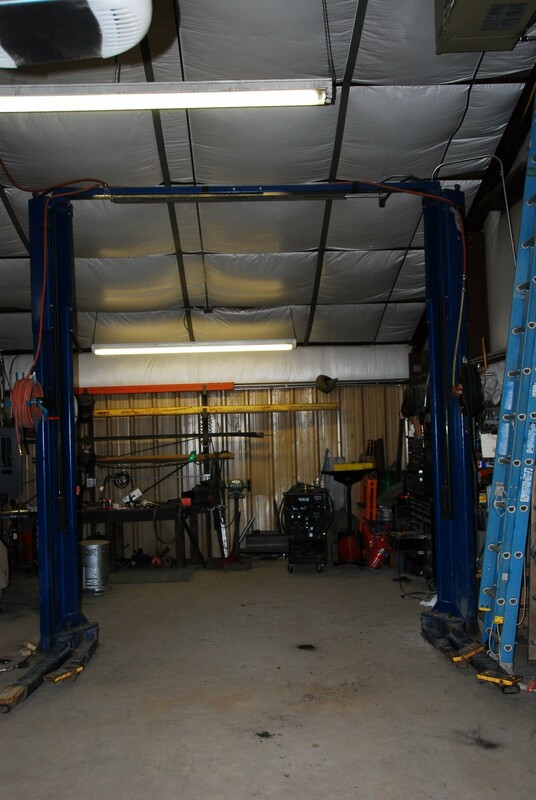 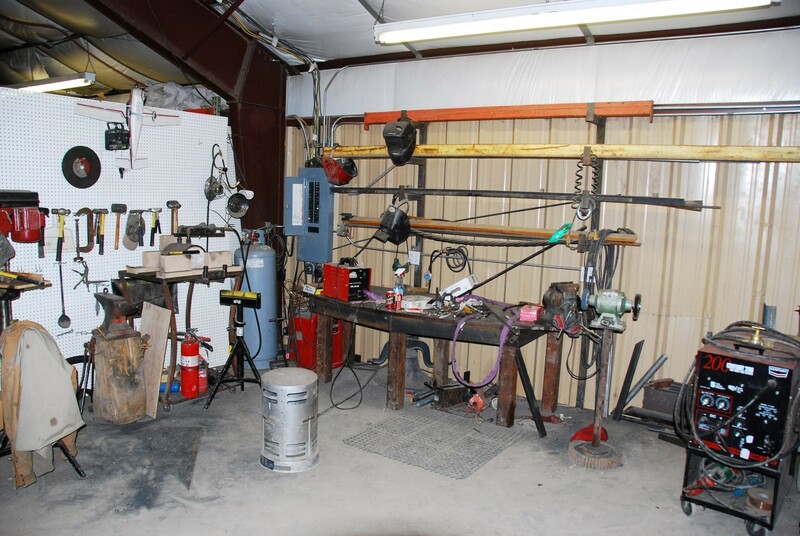 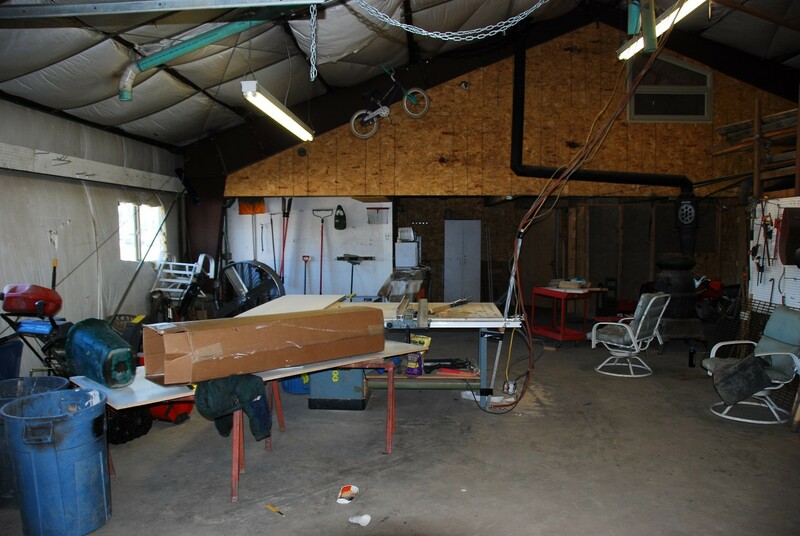 The shop is heated with an overhead gas furnace and includes the following: Lots of electrical outlets including 220 service, welding set-up including electrical and metal walls, vehicle lift, full bath with shower and office. 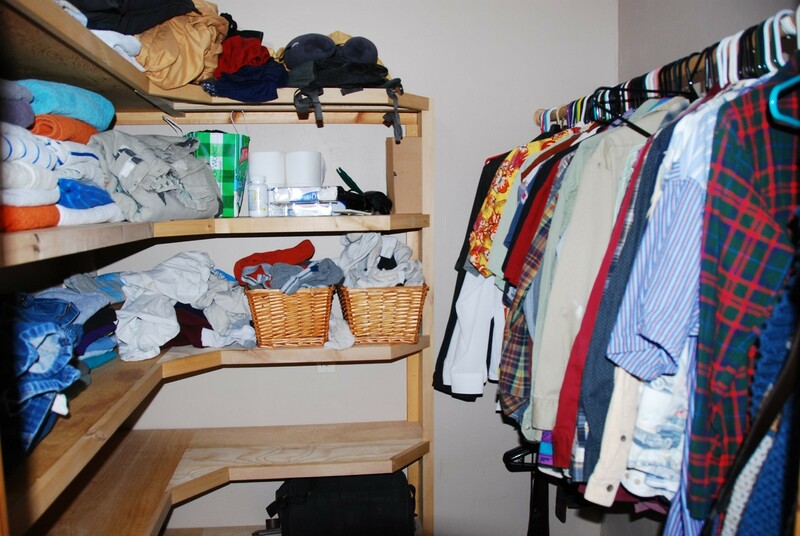 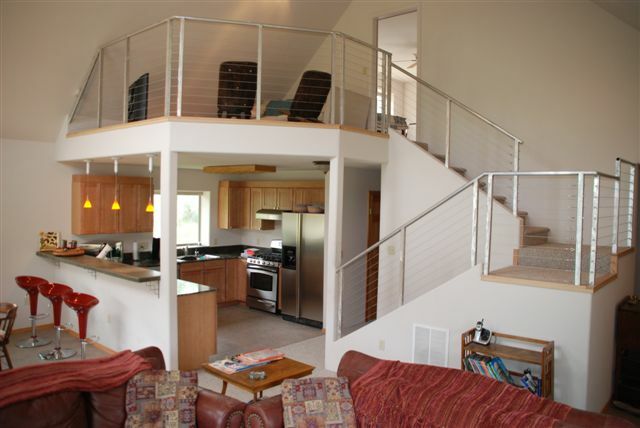 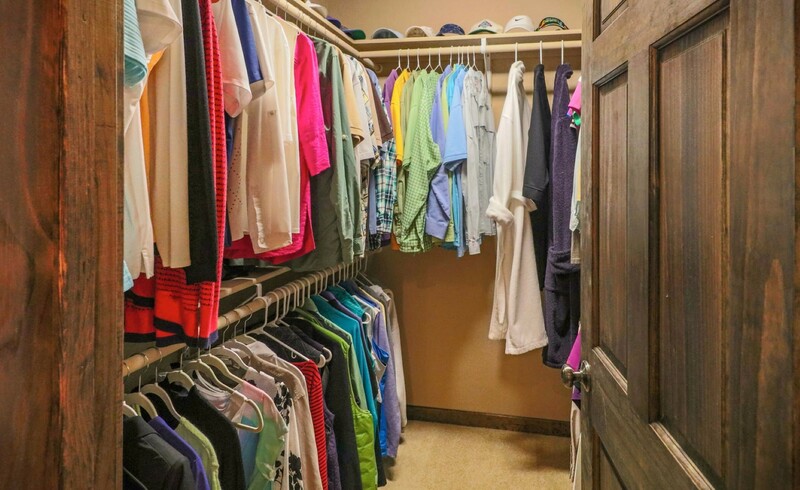 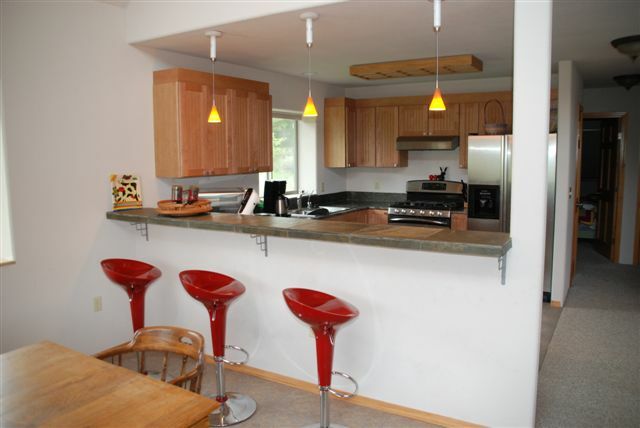 The 500 sf apartment above the shop has a separate entrance and full kitchen and bath. 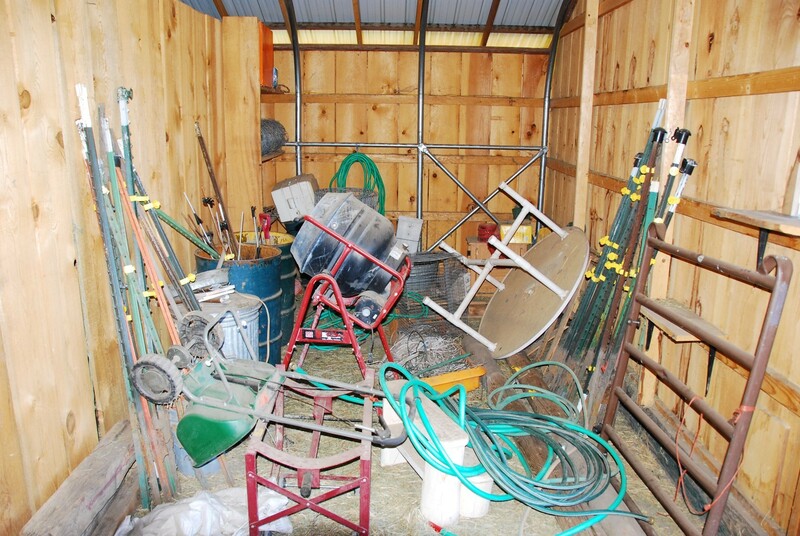 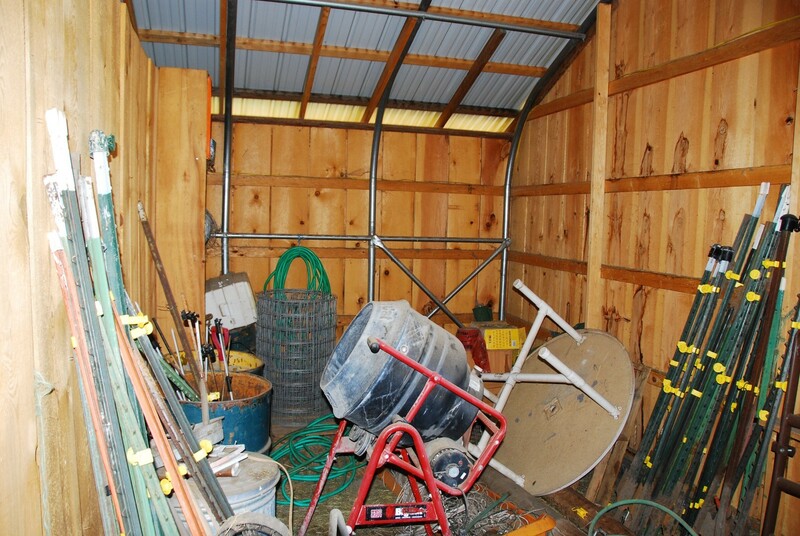 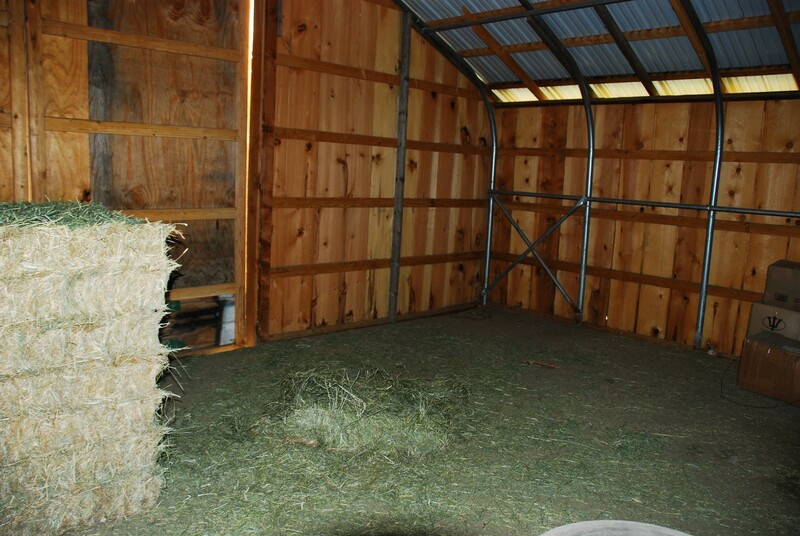 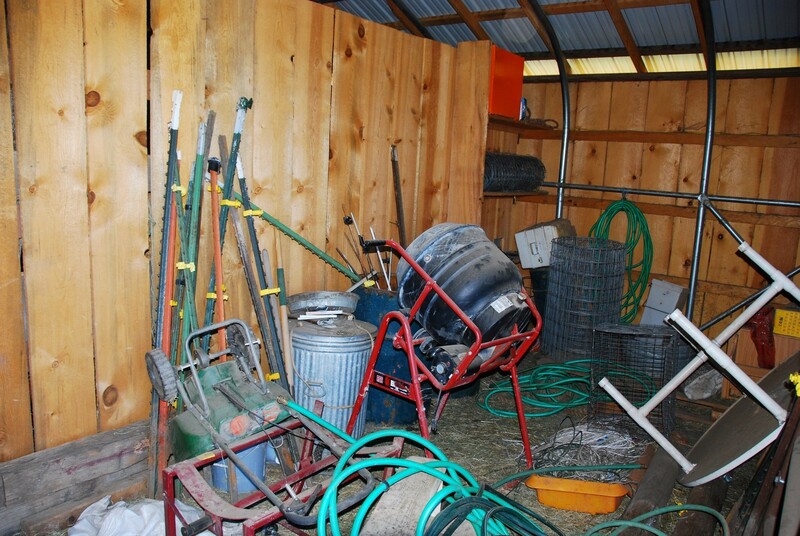 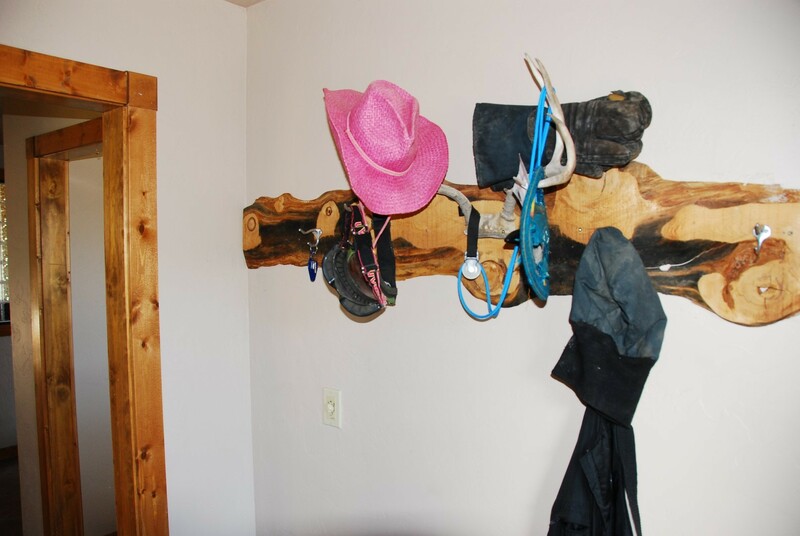 The equestrian set-up includes the barn with 3 rooms with electric and water, outlets and light, hay storage and a grain room and utility room. 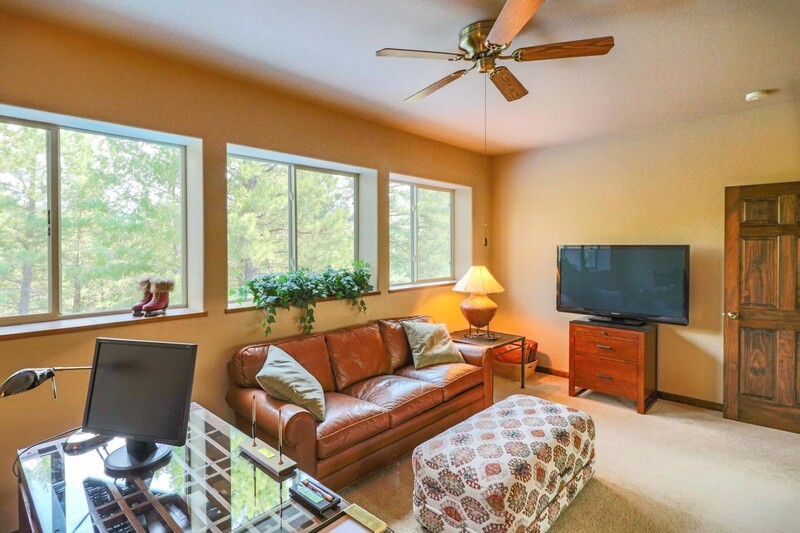 The home is bordered by lots of greenbelt, includes four lots that the buyer can subdivide and lies at the end of an obscure cul-de-sac so you rarely see a car you don’t recognize. 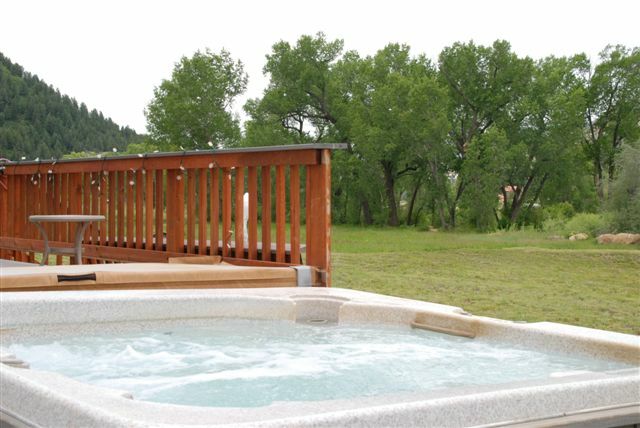 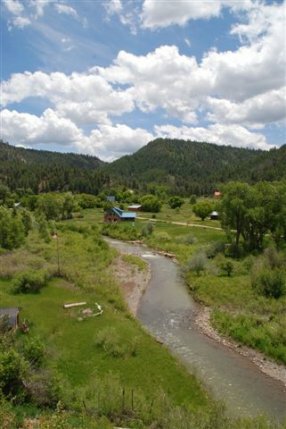 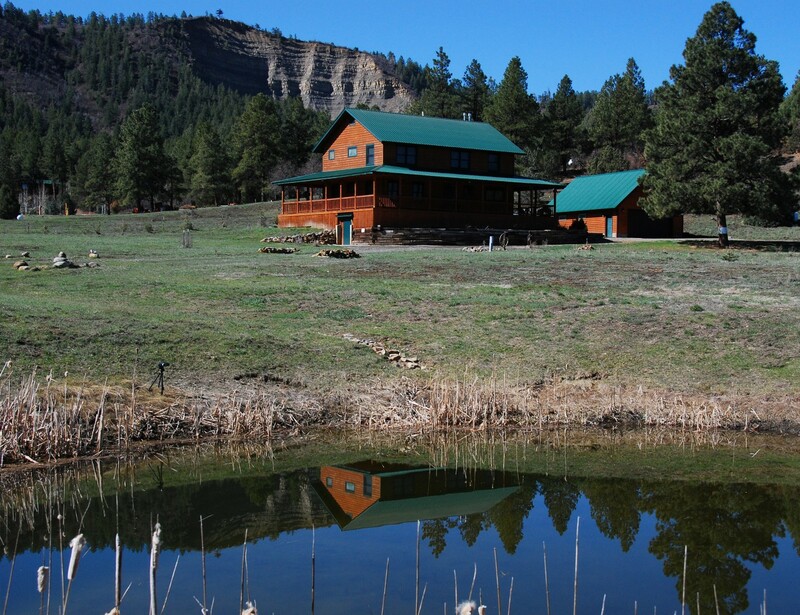 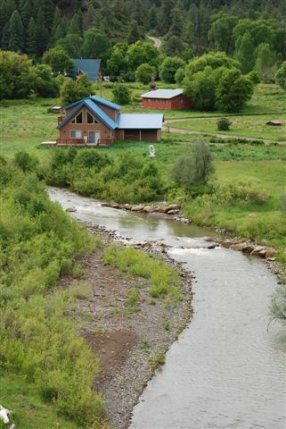 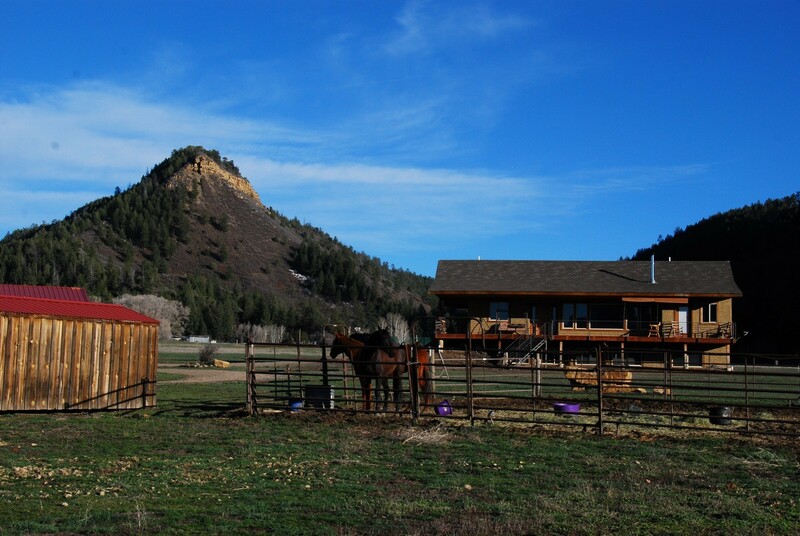 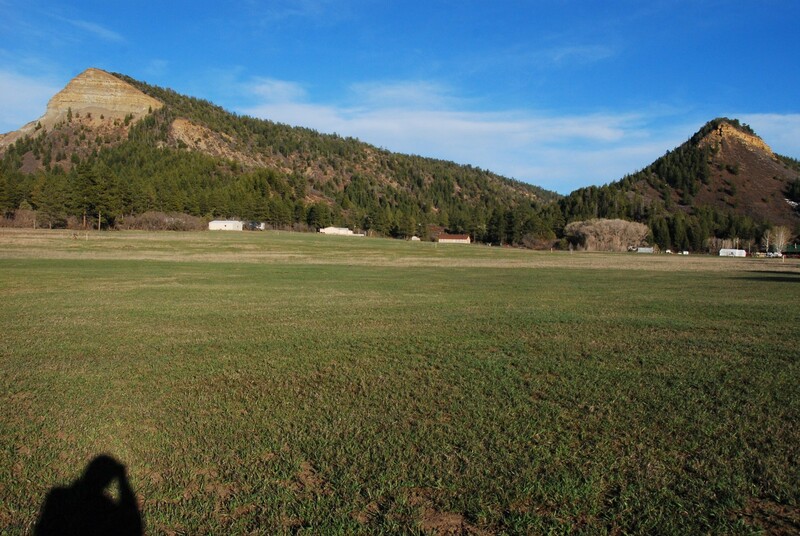 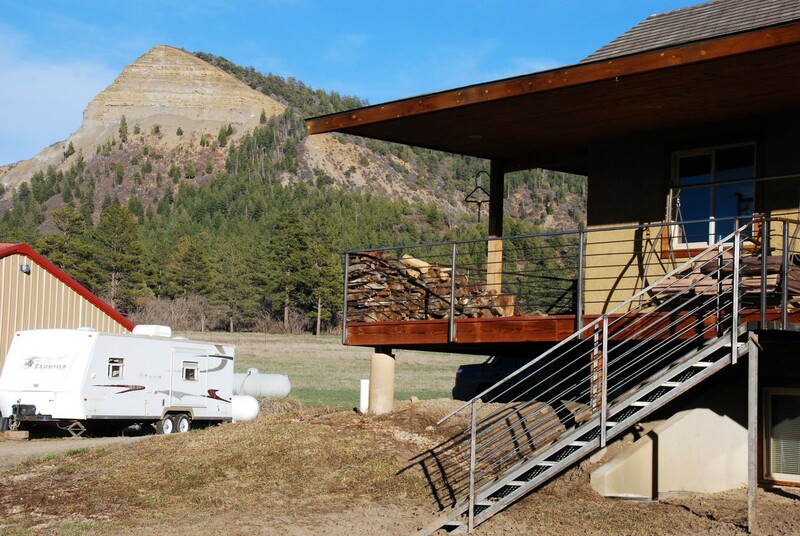 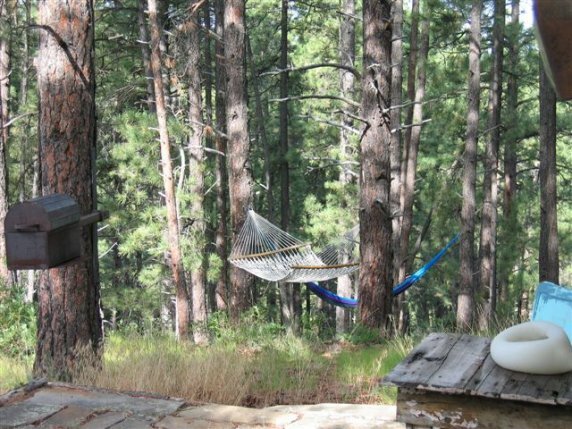 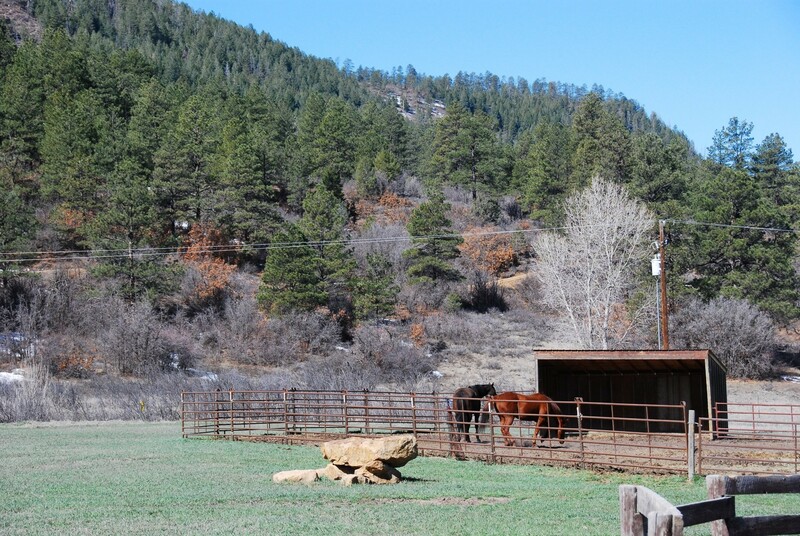 This is the perfect set-up in a tranquil and gorgeous setting just minutes to the shopping amenities and millions of acres of San Juan National Forest. 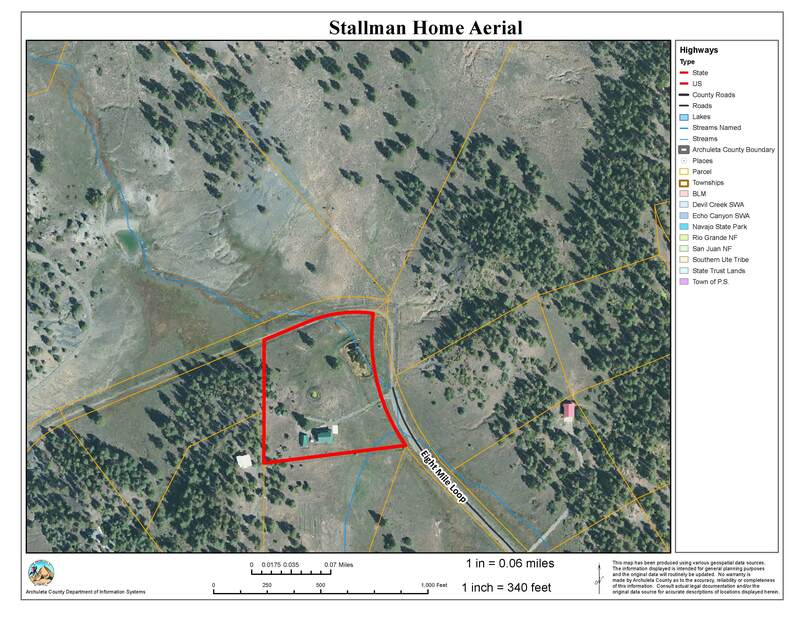 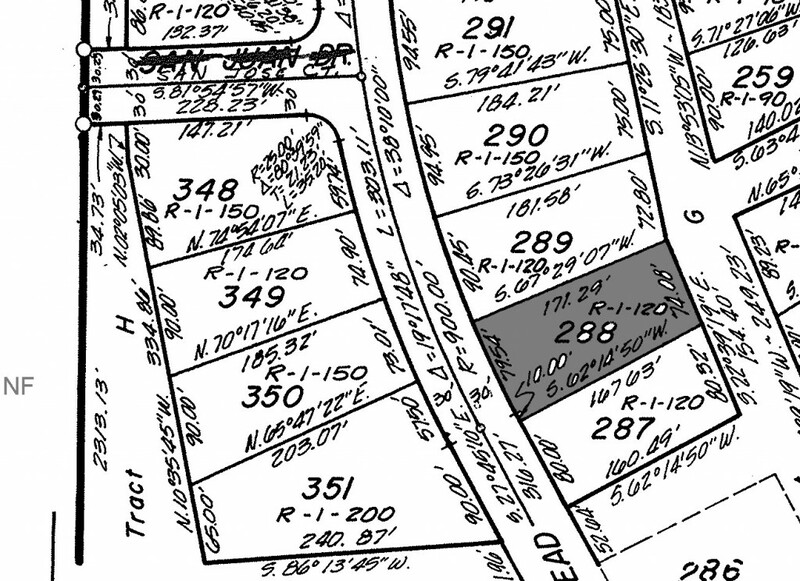 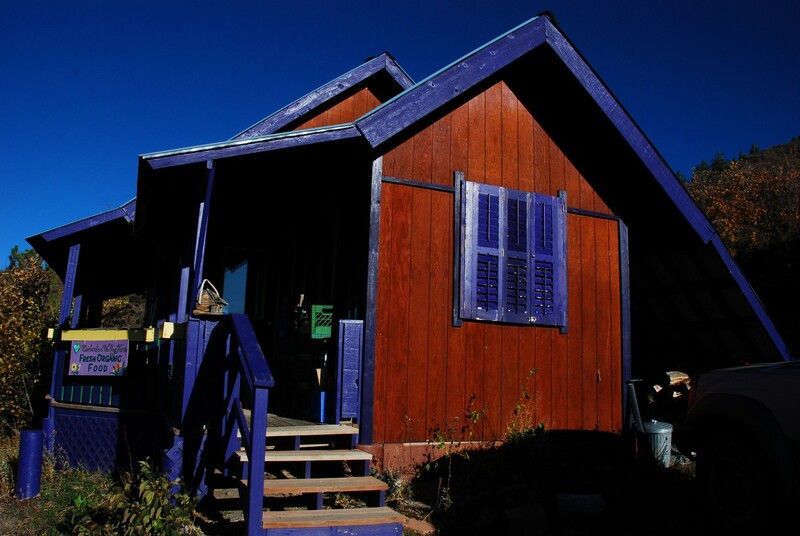 Property includes the following four parcel numbers: 589309105029, 589309105015, 589309105017, 589309105018. 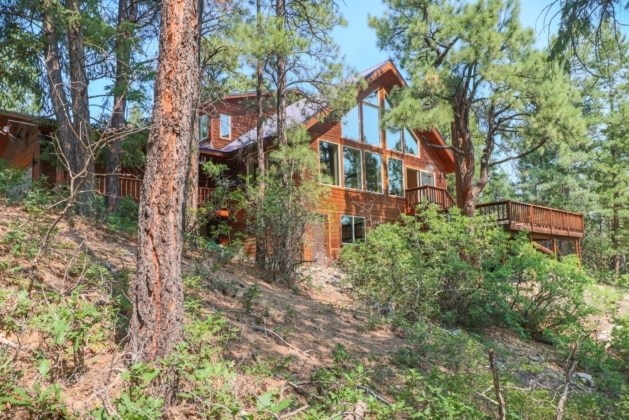 We are proud to announce our new listing: A custom built log-sided home on five acres with a deep, year-round pond and huge, unblockable mountain views. 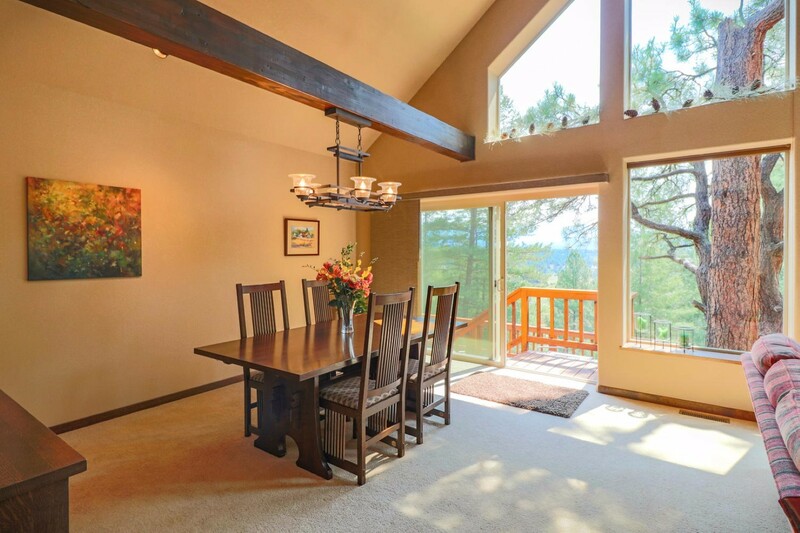 This home features maple hardwood floors, aspen walls and ceilings, and big mountain views from many rooms. 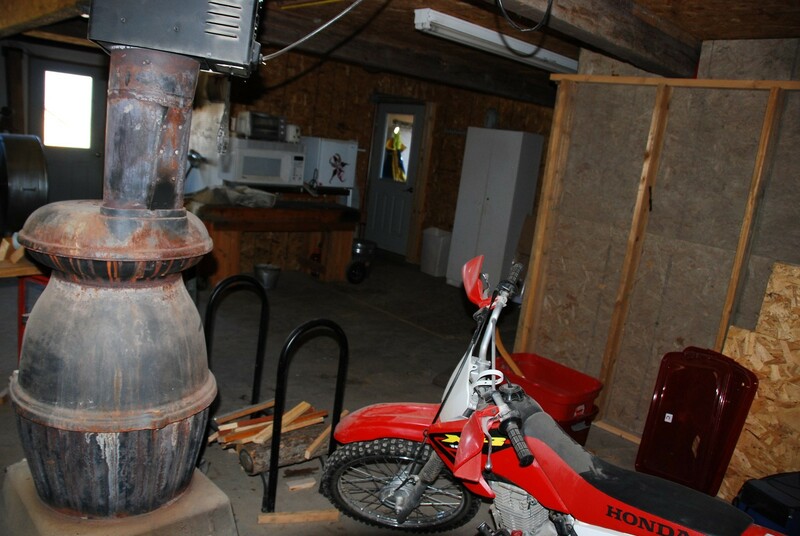 This home also has 2 forced air furnaces, 2 hot water heaters and a pellet stove. 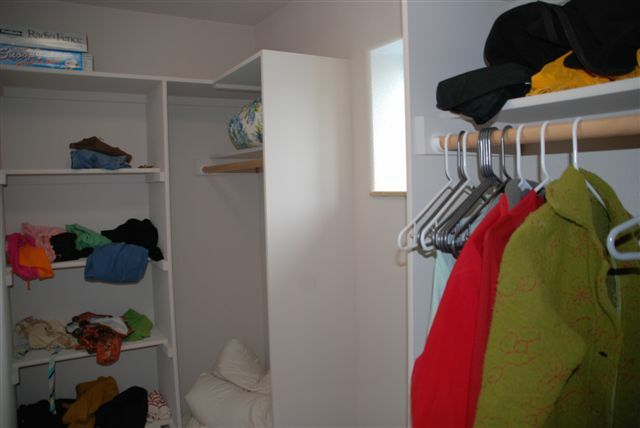 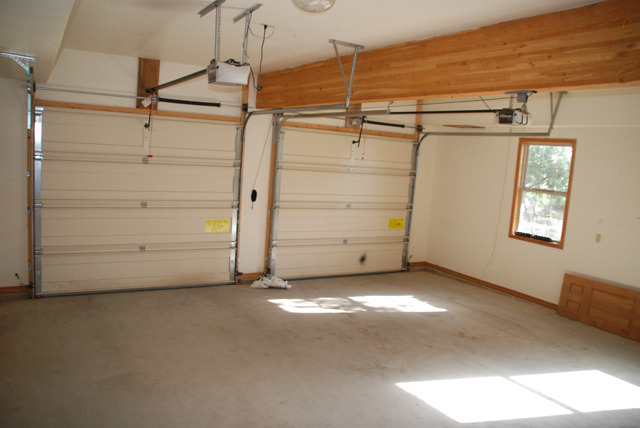 The garage accommodates four cars (24×36) and has extra storage above. 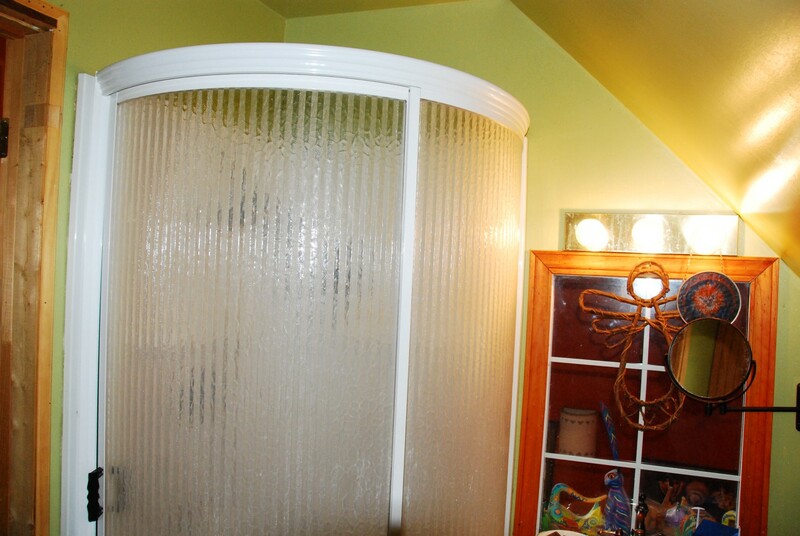 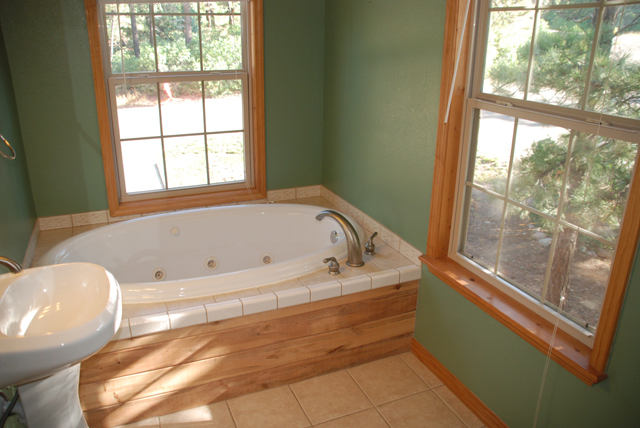 Also included is a generous greenhouse and 50 gallon hot tub/jacuzzi bathtub in the master bedroom. 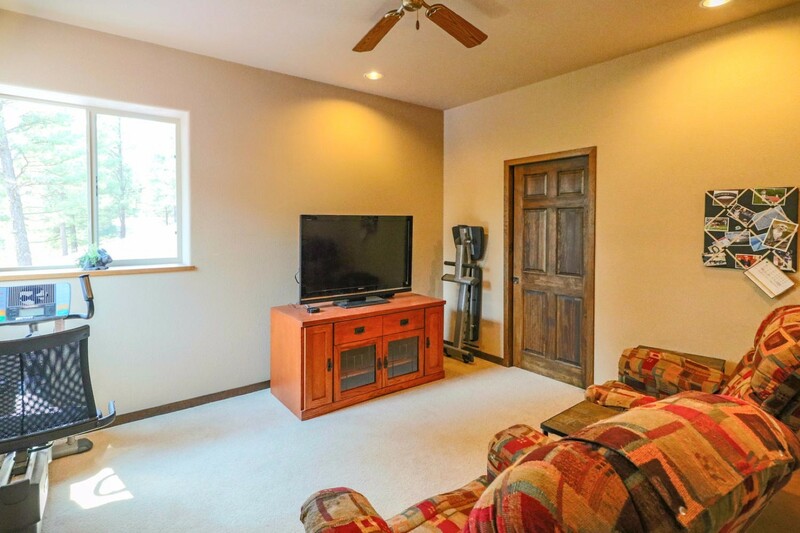 The 1300 sf walk-out basement is insulated and heated and would make a would make a great workshop or additional heated living space. 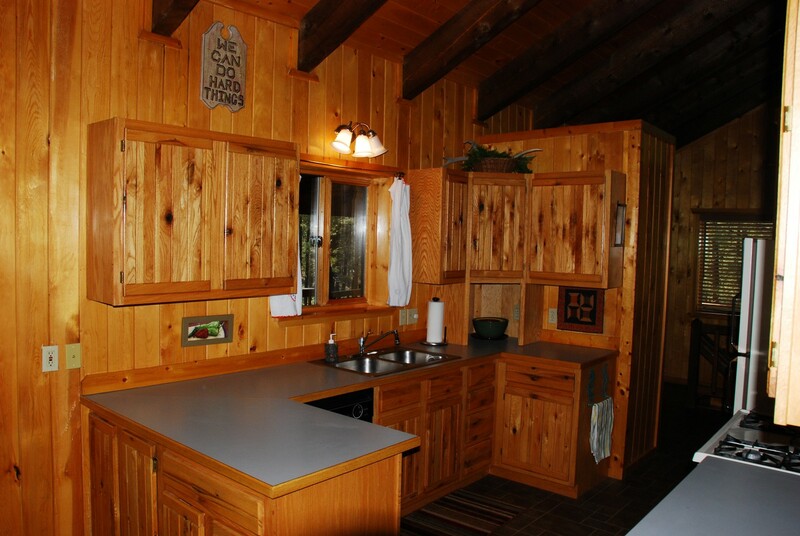 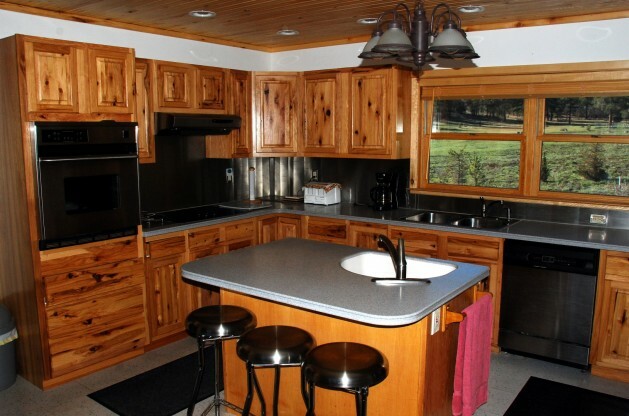 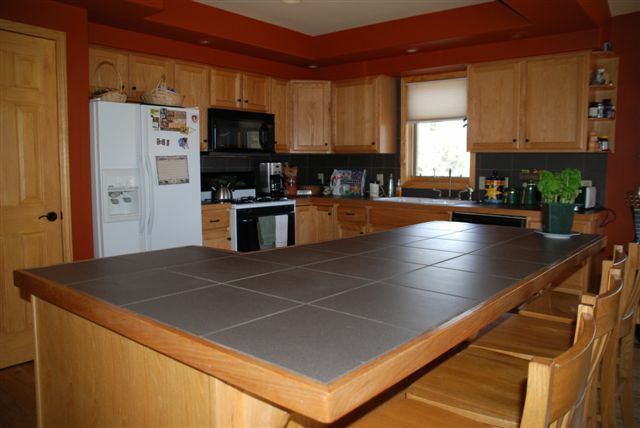 Kitchen includes stainless steel appliances, rustic maple cabinets, Corian island sink and Corian countertops. 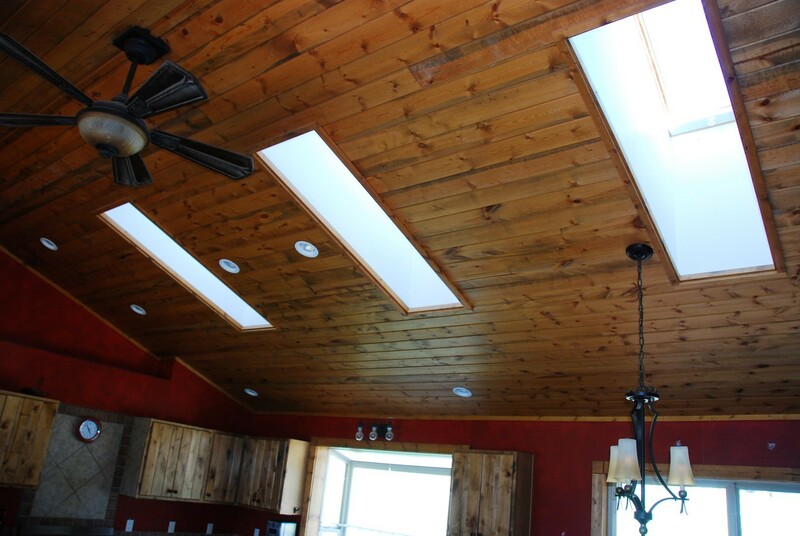 The home also features 85 recessed lights throughout the home along with outside lighting as well. 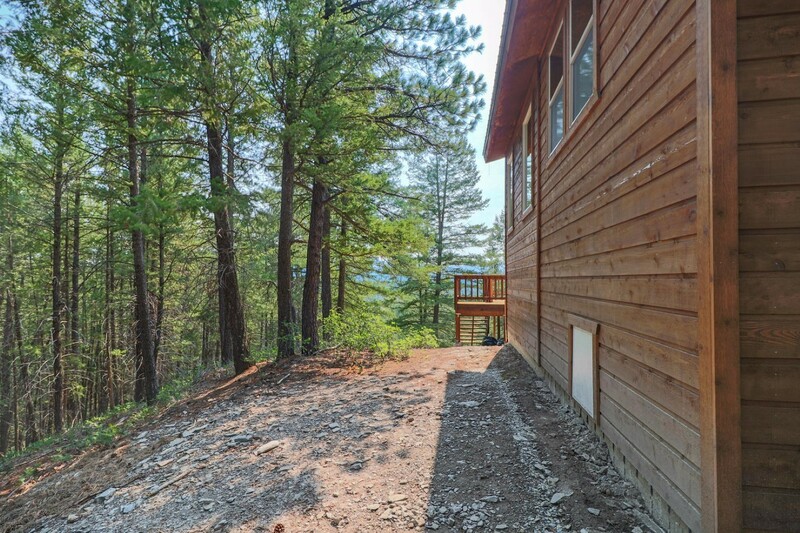 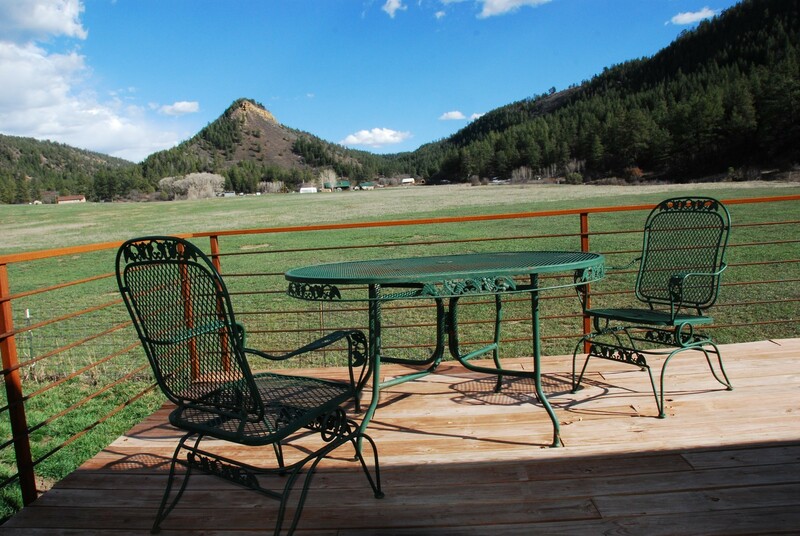 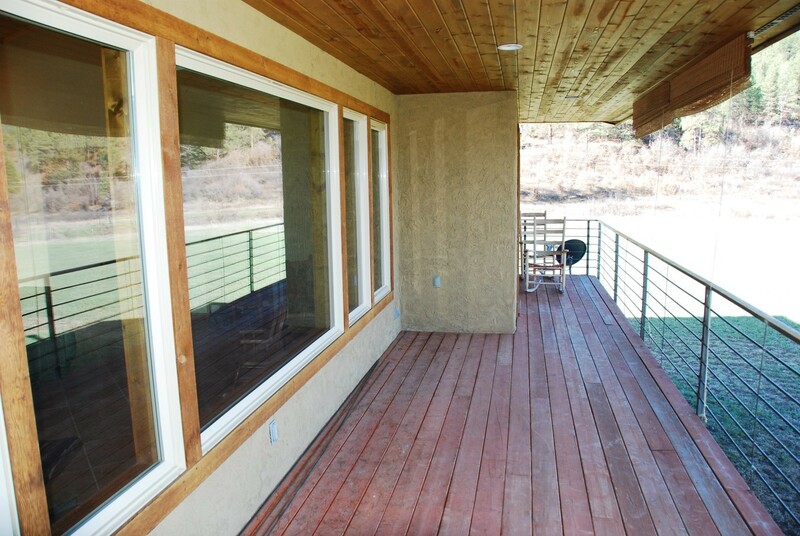 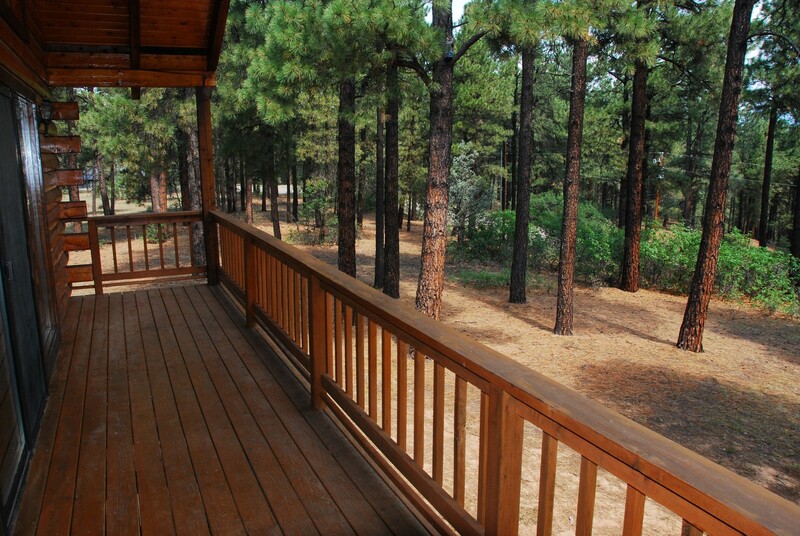 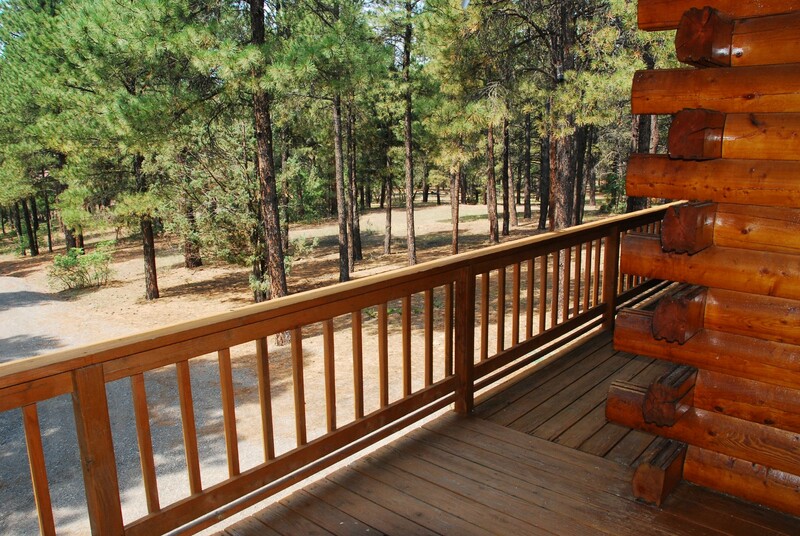 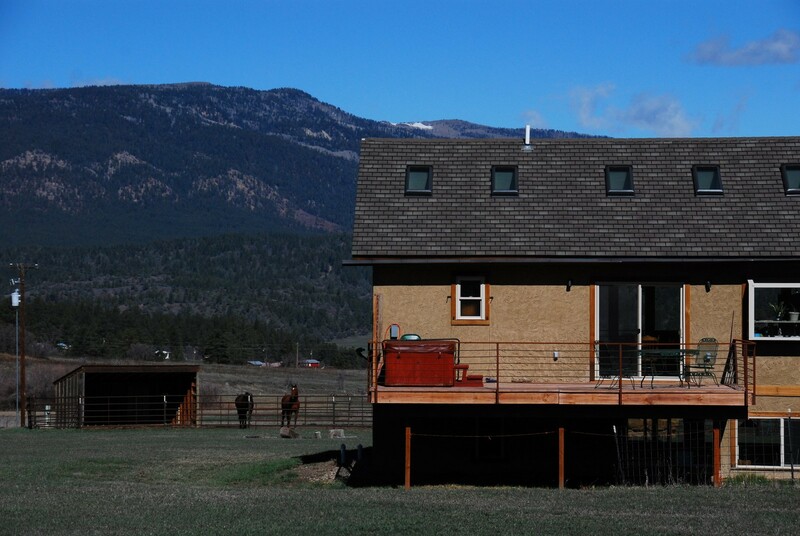 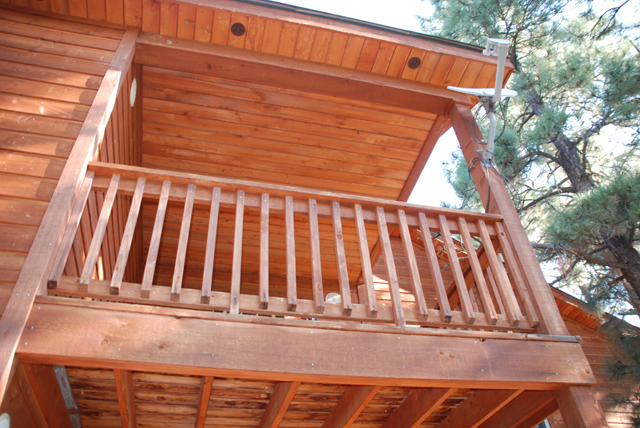 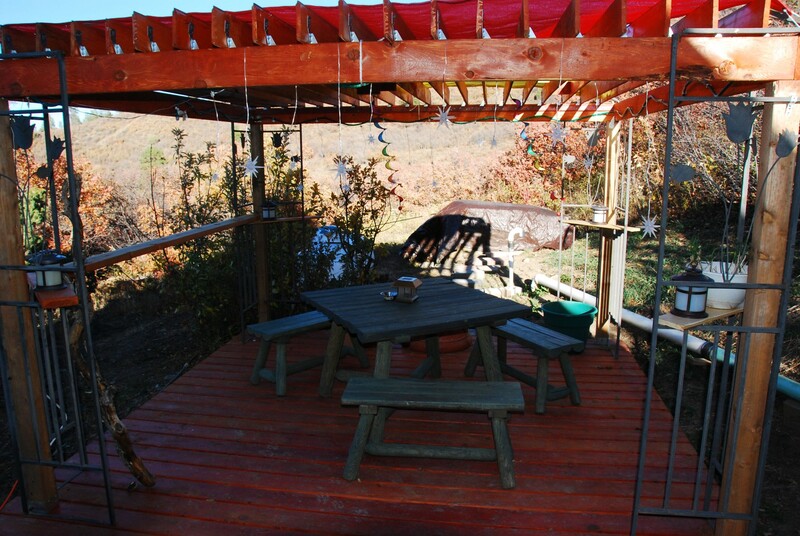 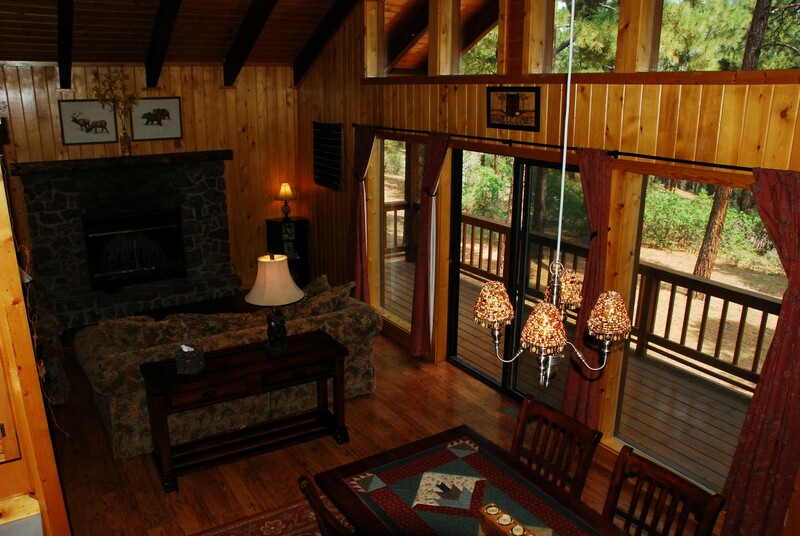 The large, 1100 sf covered redwood deck wraps around 3 sides of the home and offers spectacular mountain views. 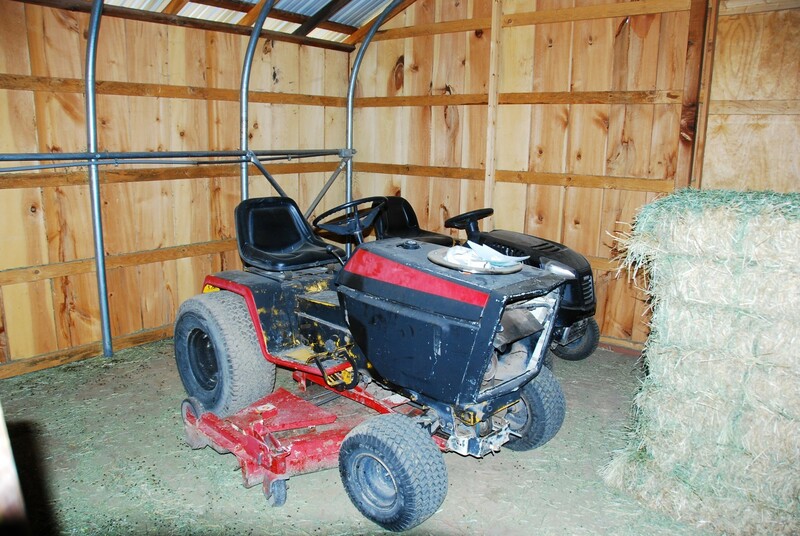 The seller is also including a 24 HP Sears Garden Tractor with a snowblower and snowplow. 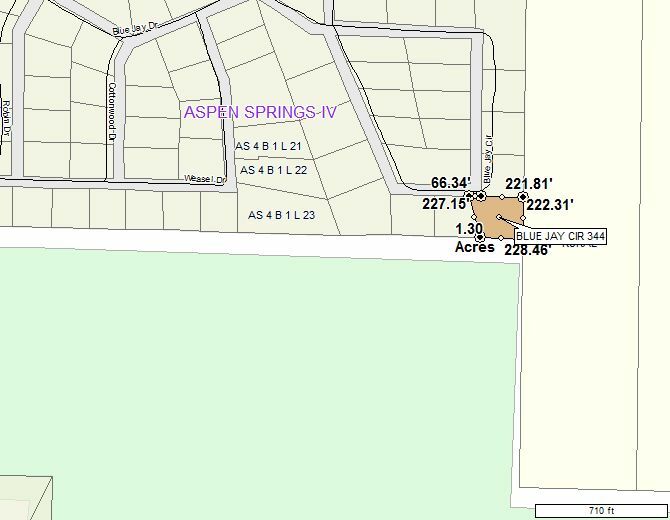 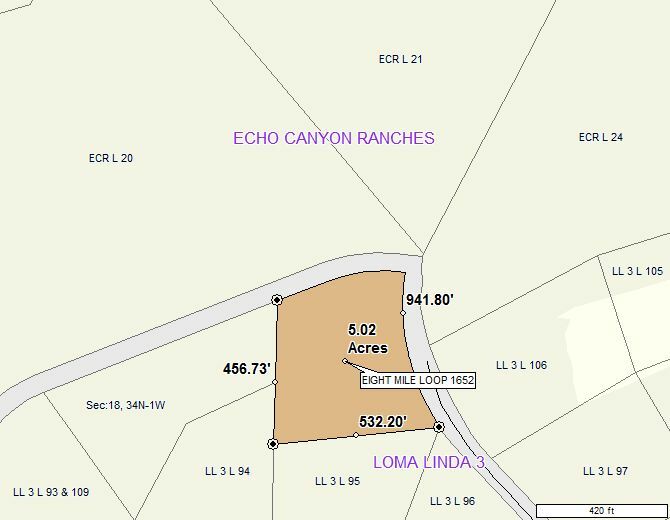 The home is located at the end of the Loma Linda subdivision and adjacent to the Echo Canyon Ranch subdivision which does not allow parcels less than 35 acres. 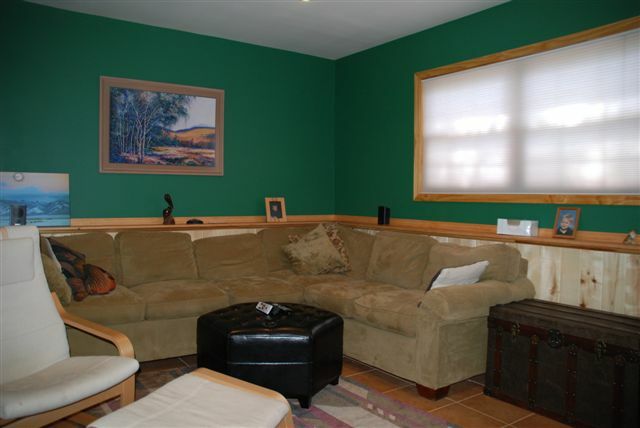 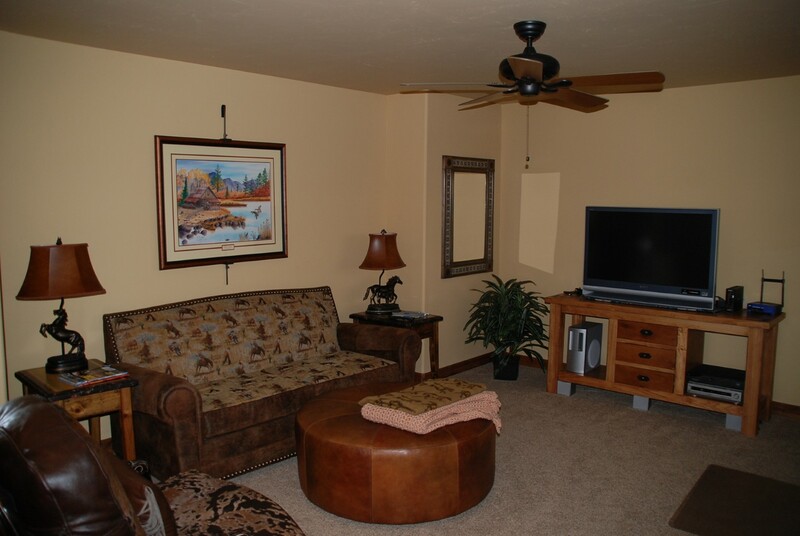 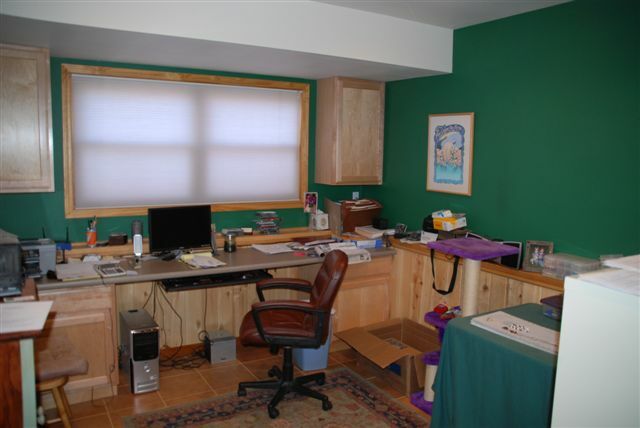 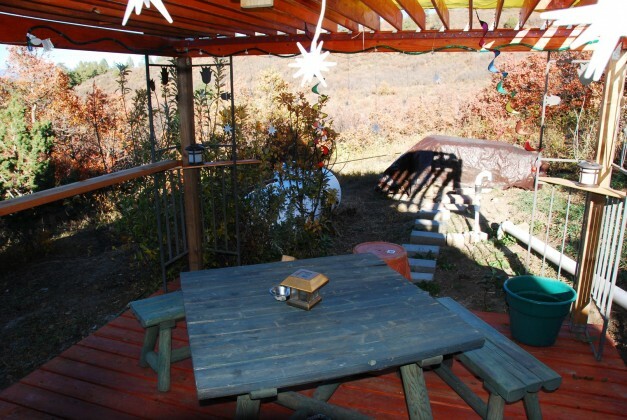 This is a great horse property with much of the property fenced and the all season pond. 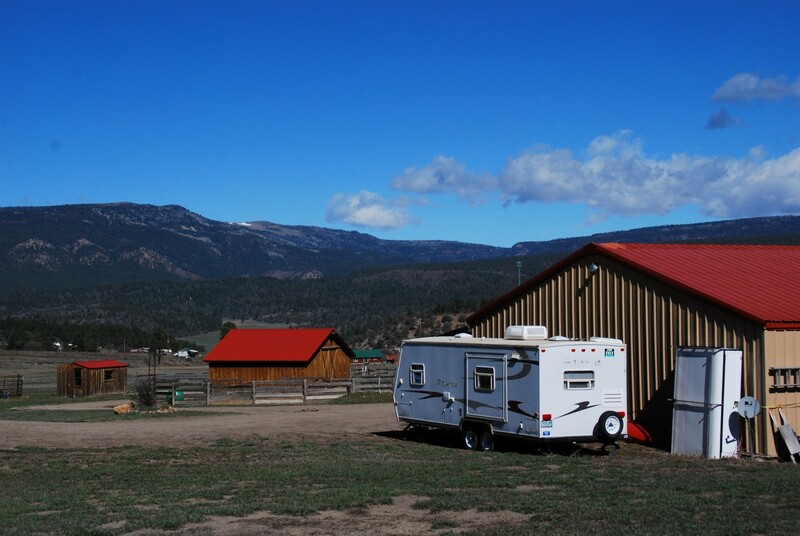 Ride your horses, atv’s and snowmobiles right off the land for summer and winter adventures. 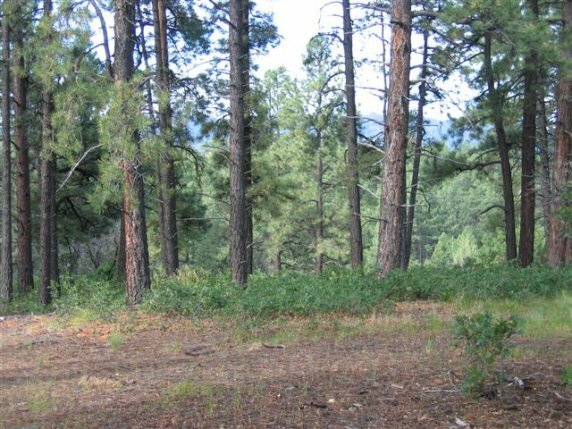 National Forest is very close by. 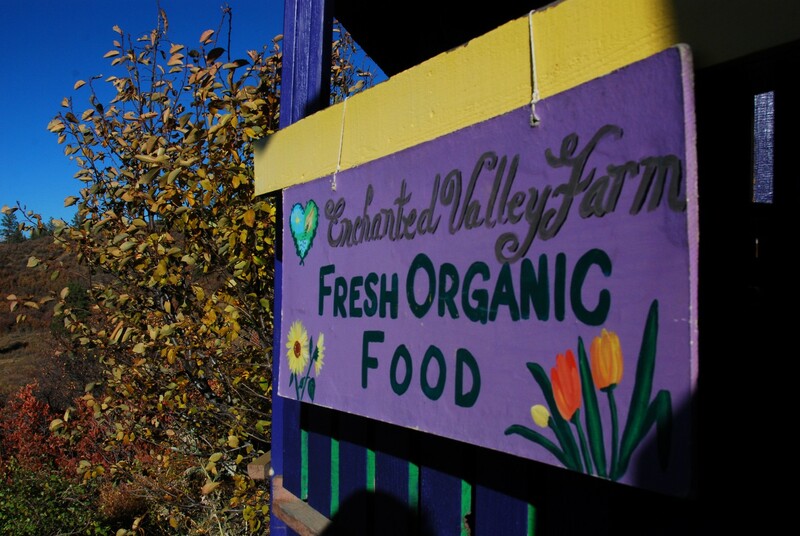 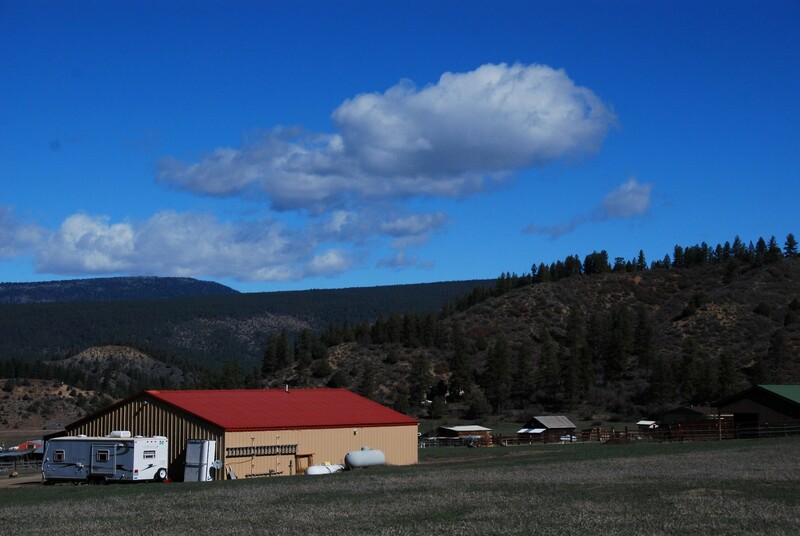 The ladies who created the amazing Enchanted Valley Farm products are eager to start relaxing and traveling and are offering this fantastic opportunity for a discerning buyer: Two homes on a remarkable big-view parcel adjacent to BLM land. 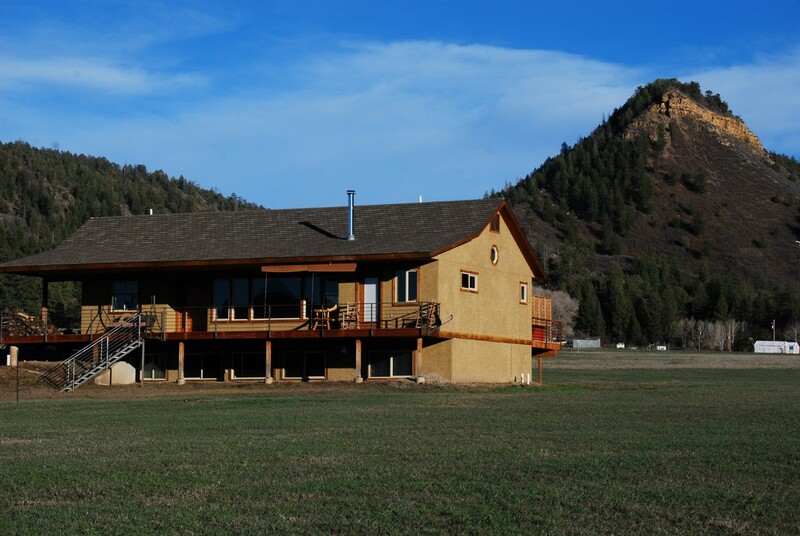 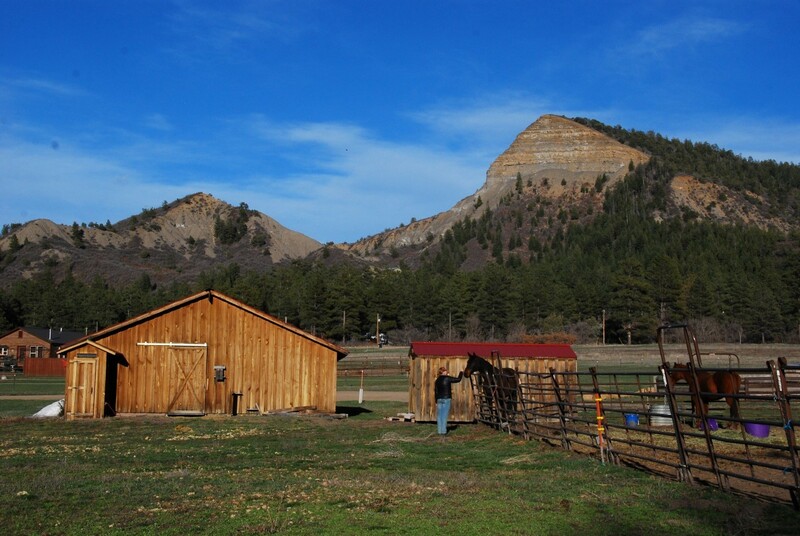 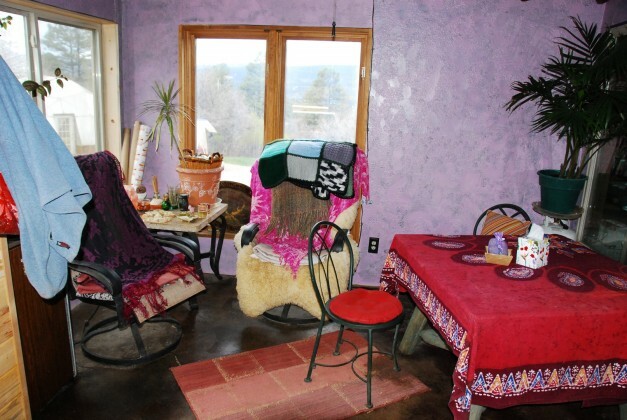 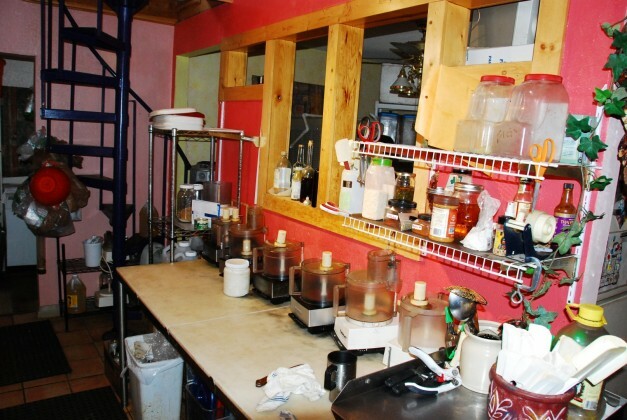 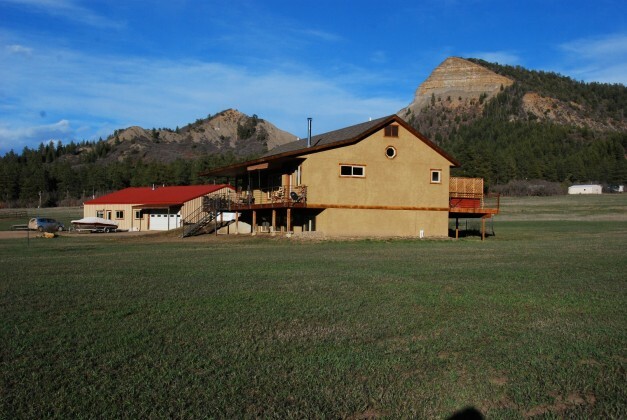 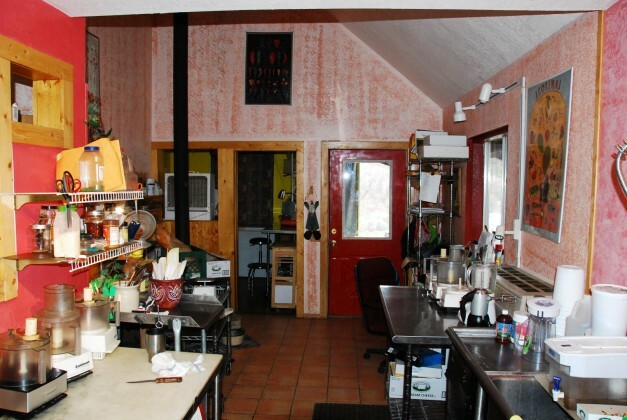 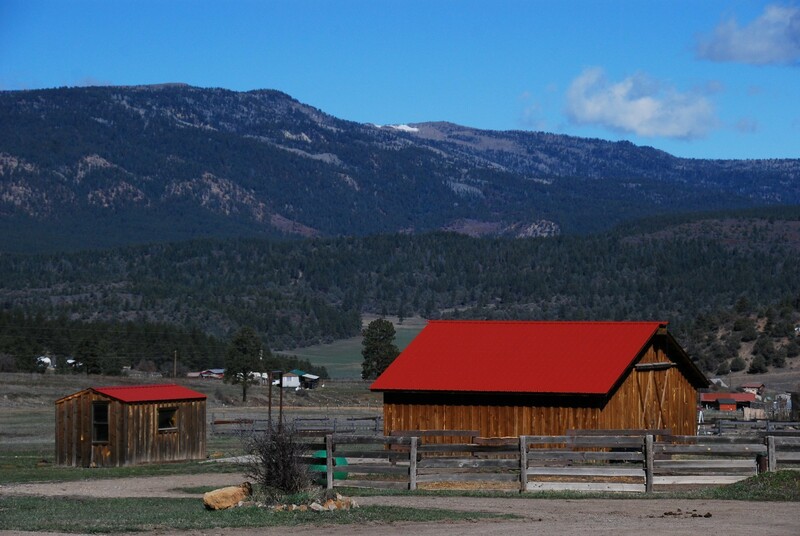 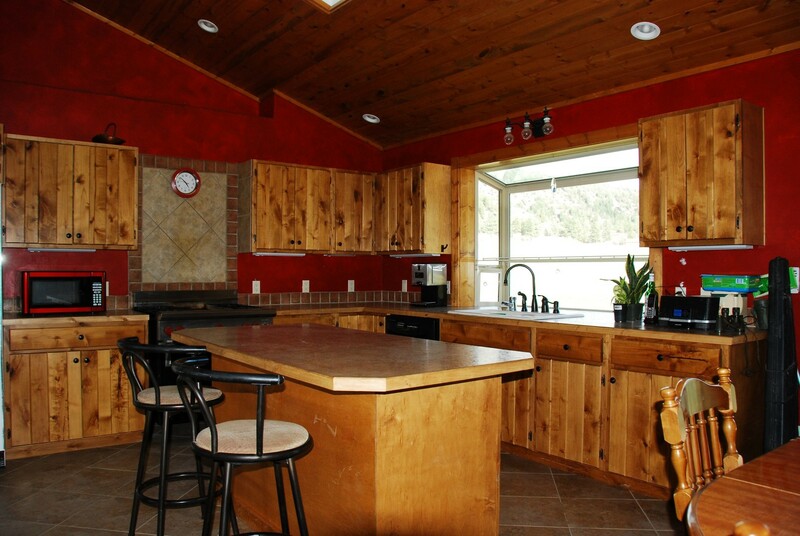 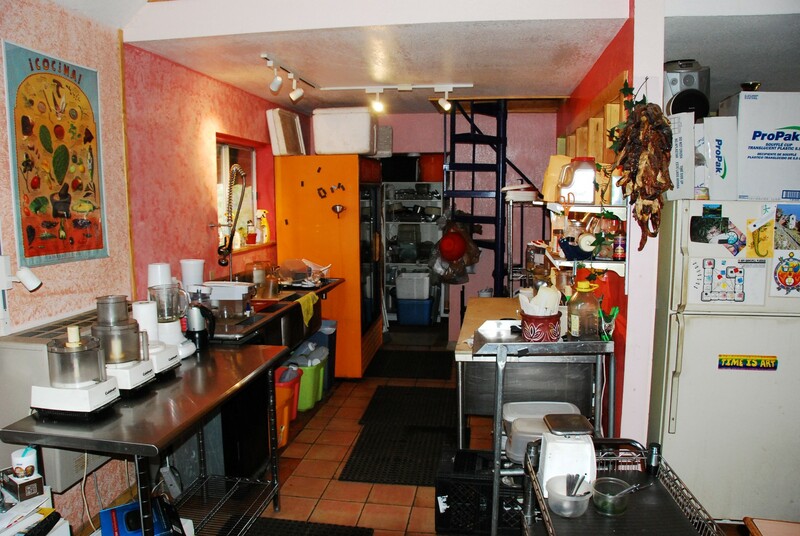 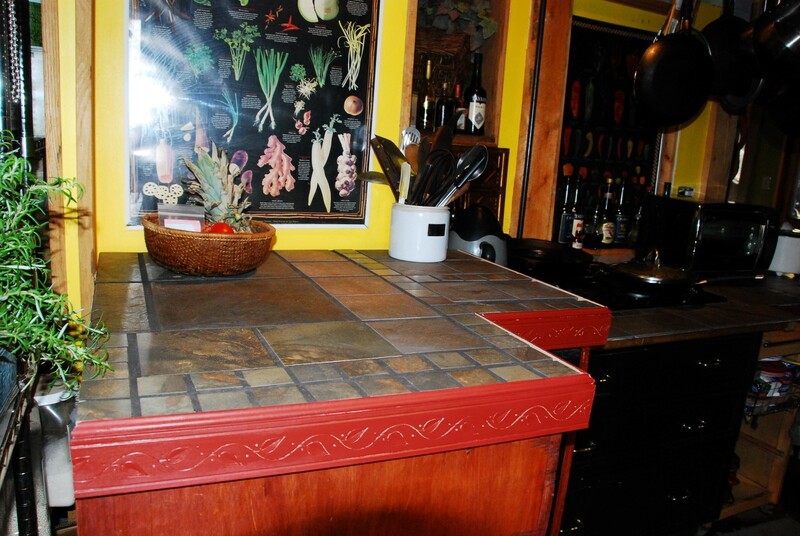 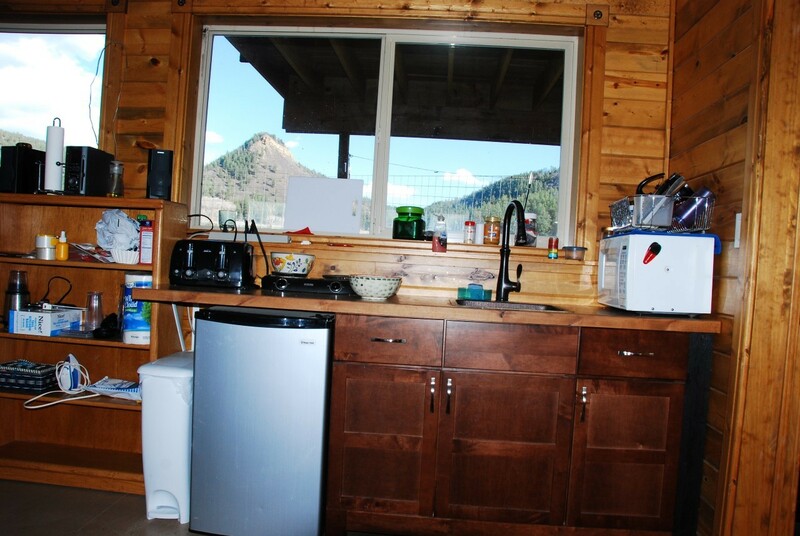 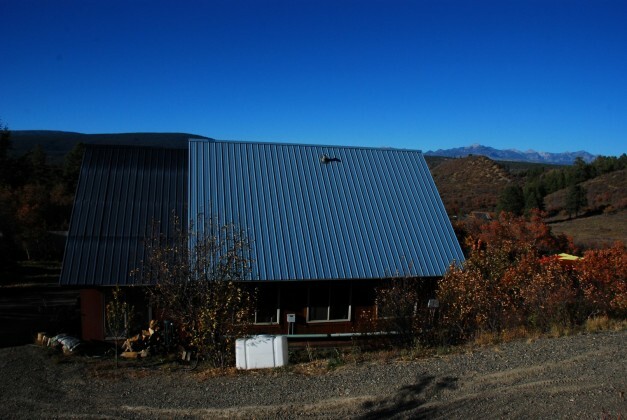 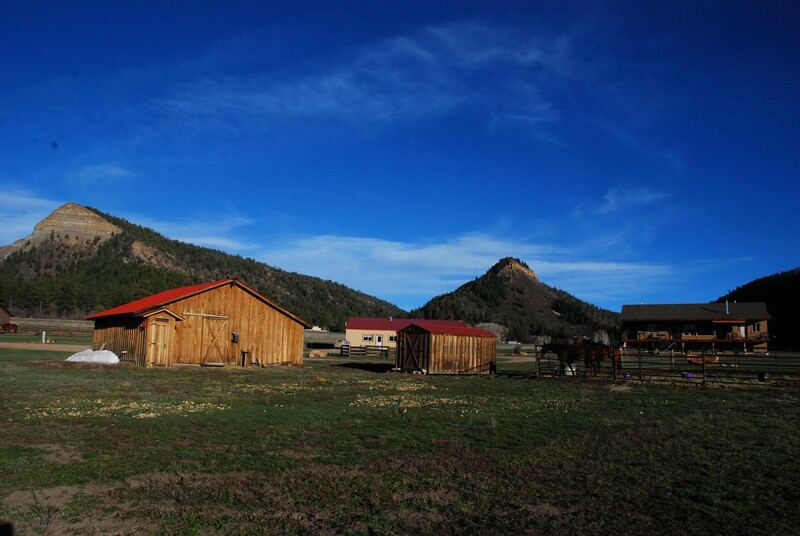 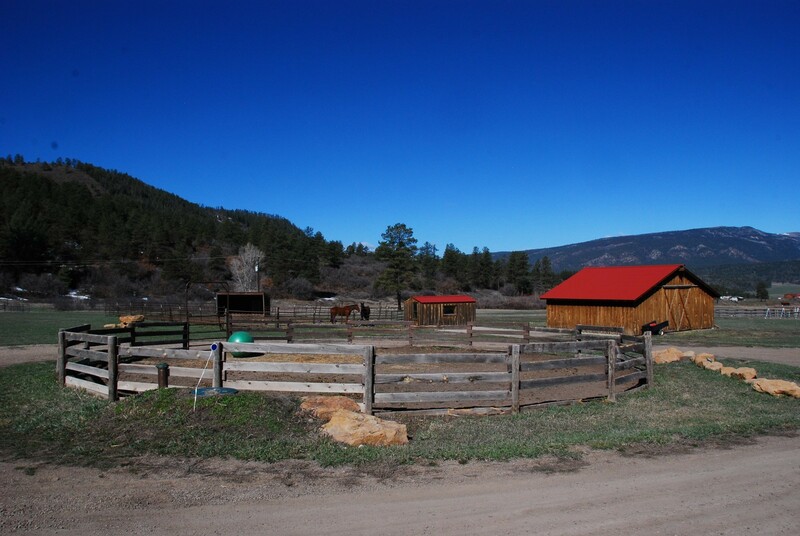 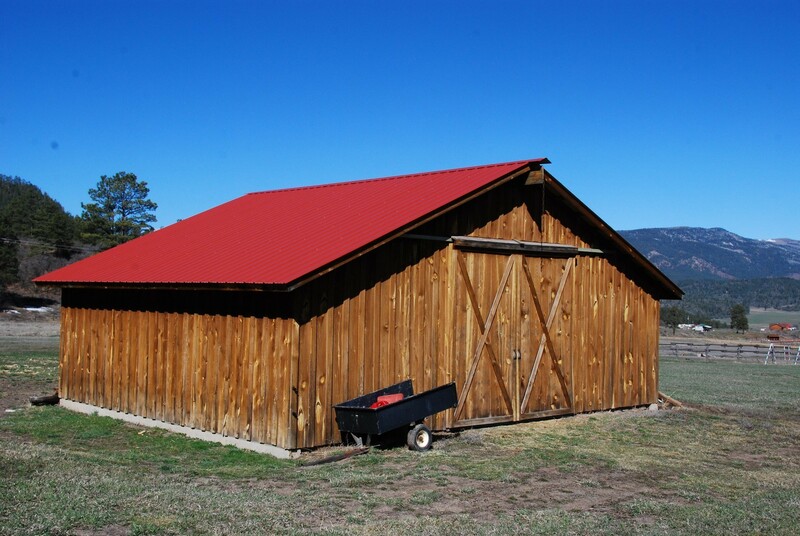 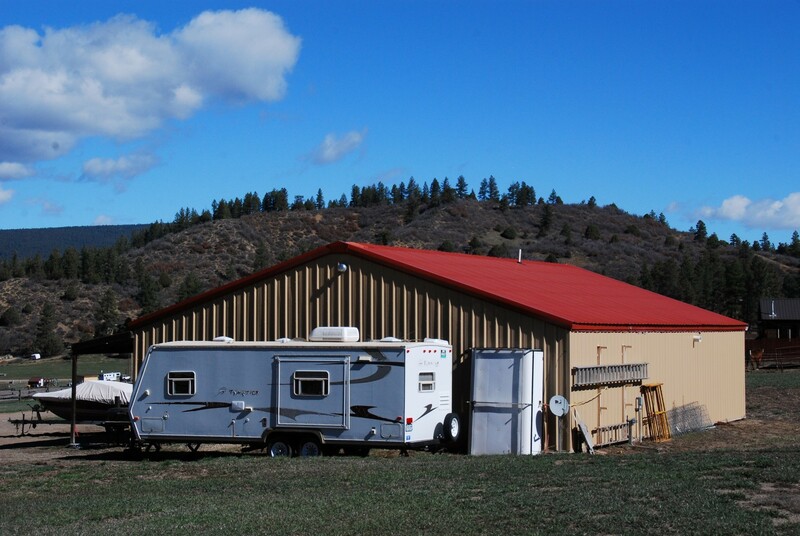 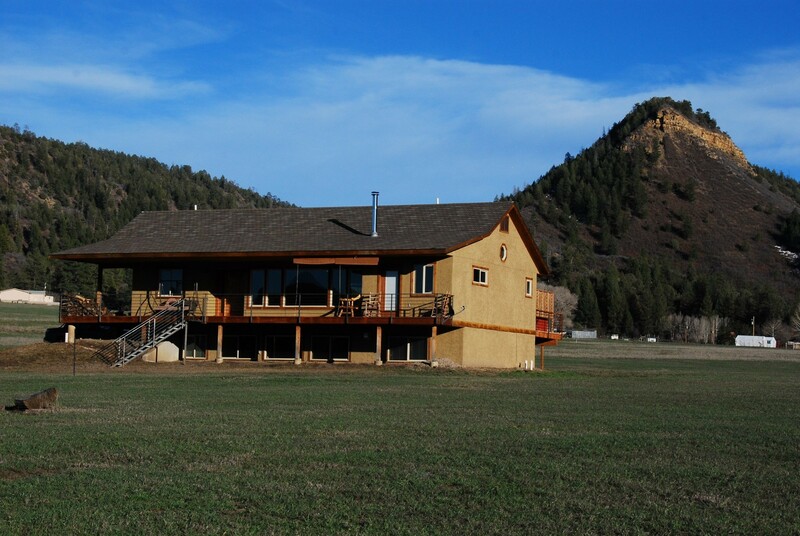 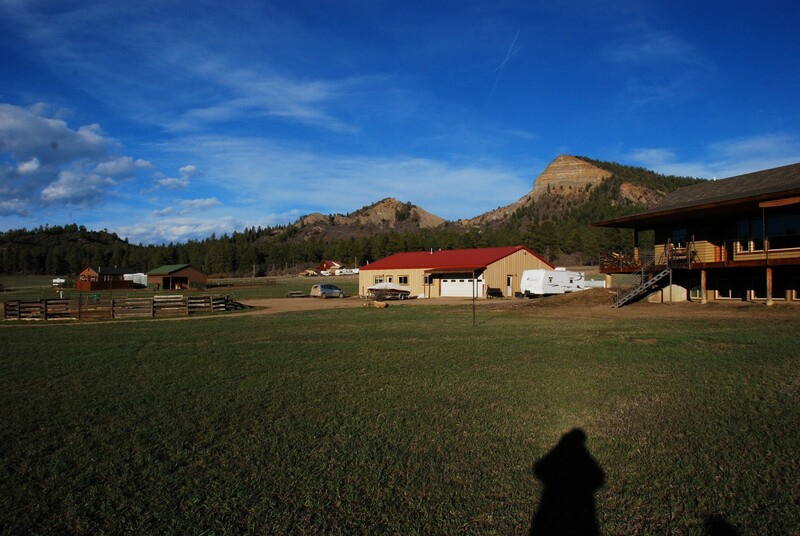 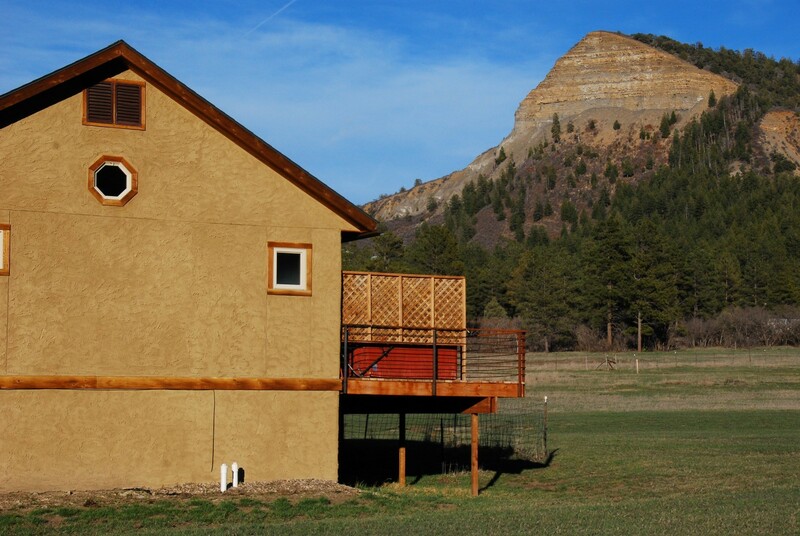 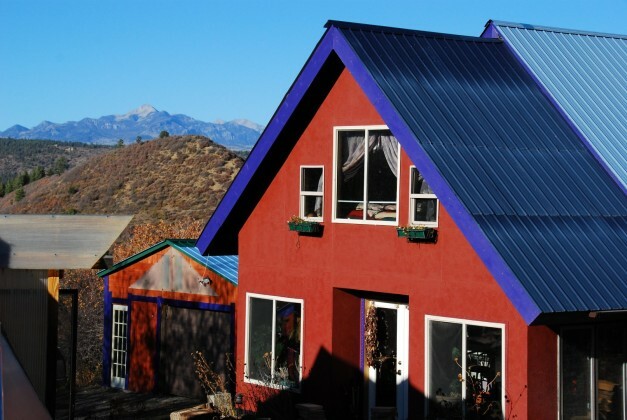 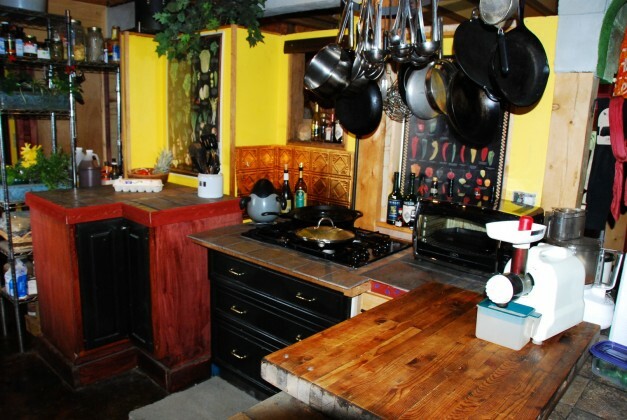 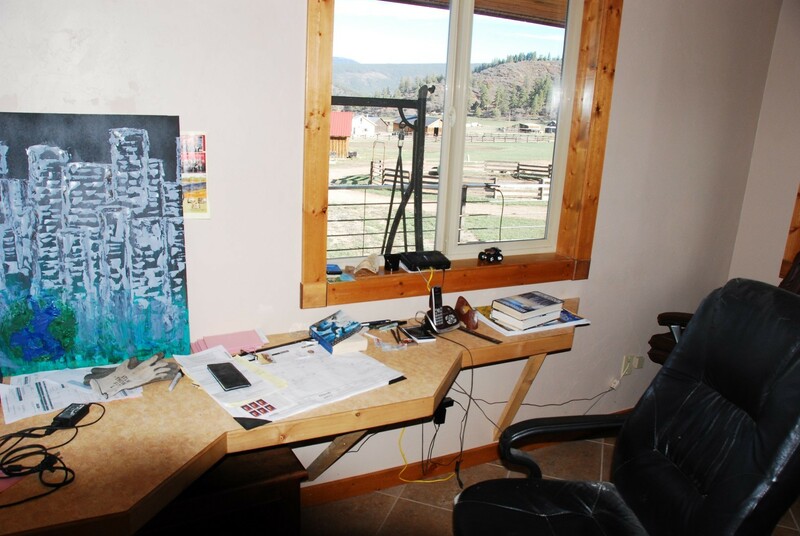 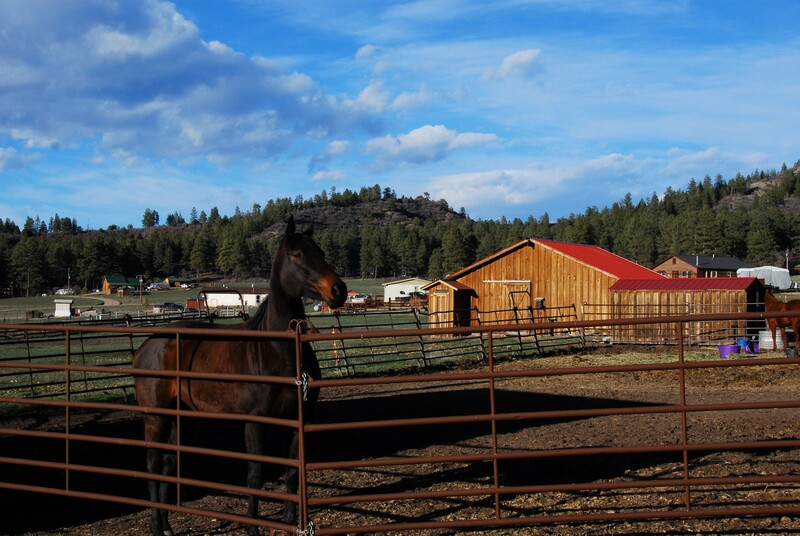 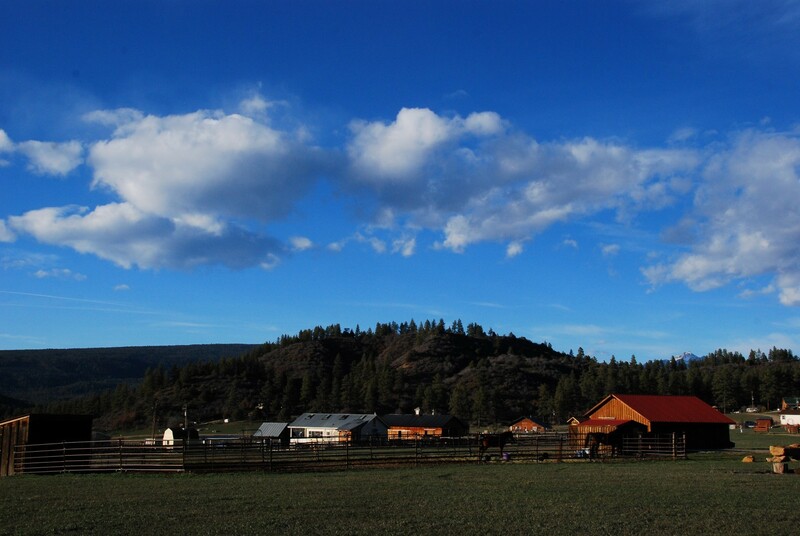 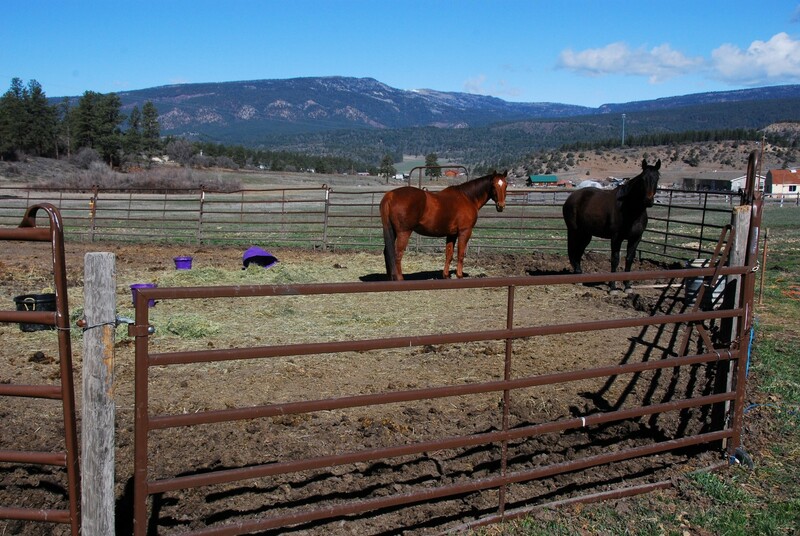 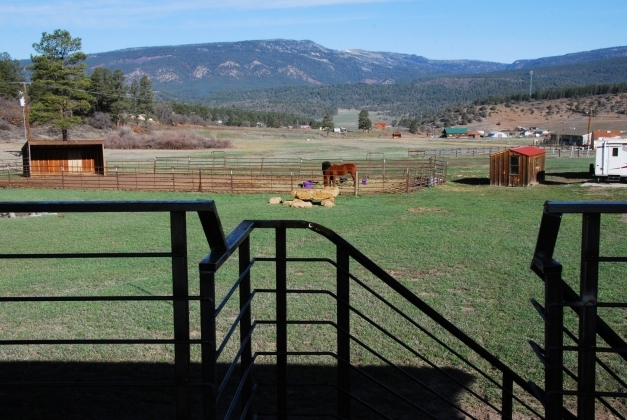 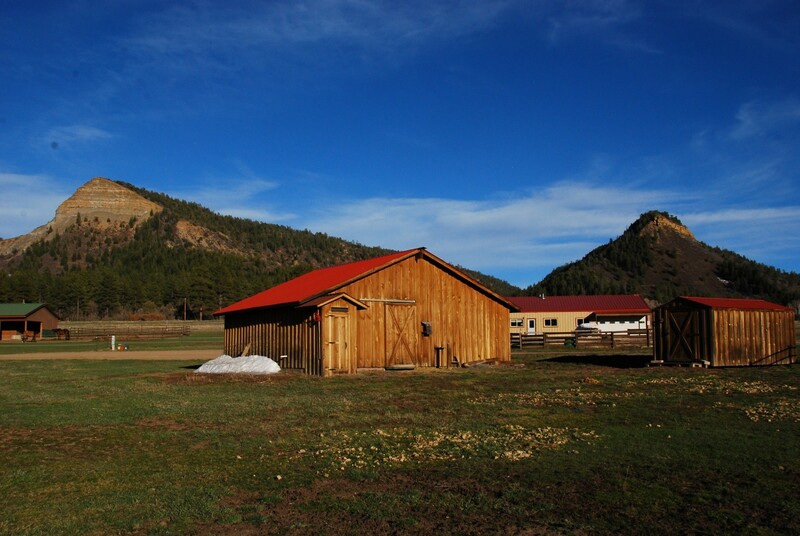 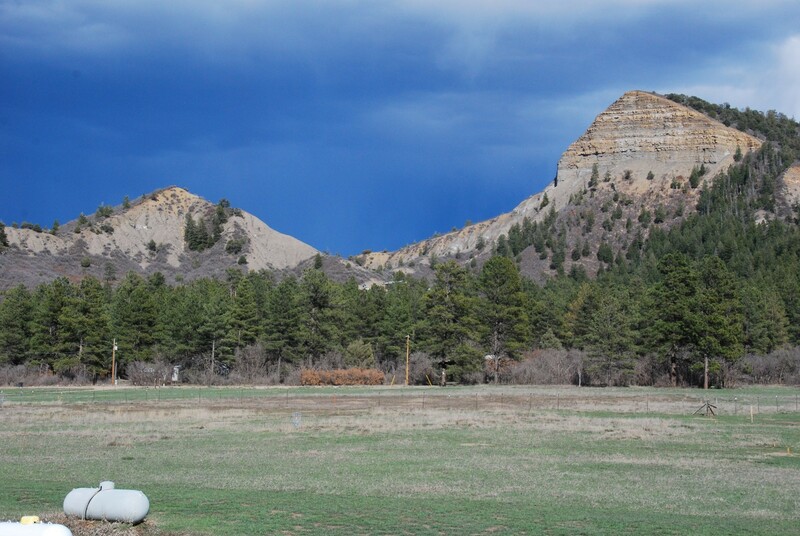 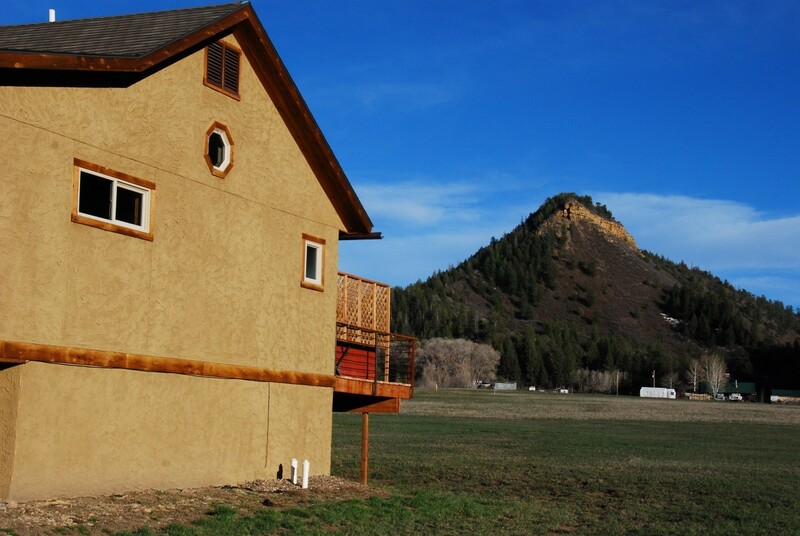 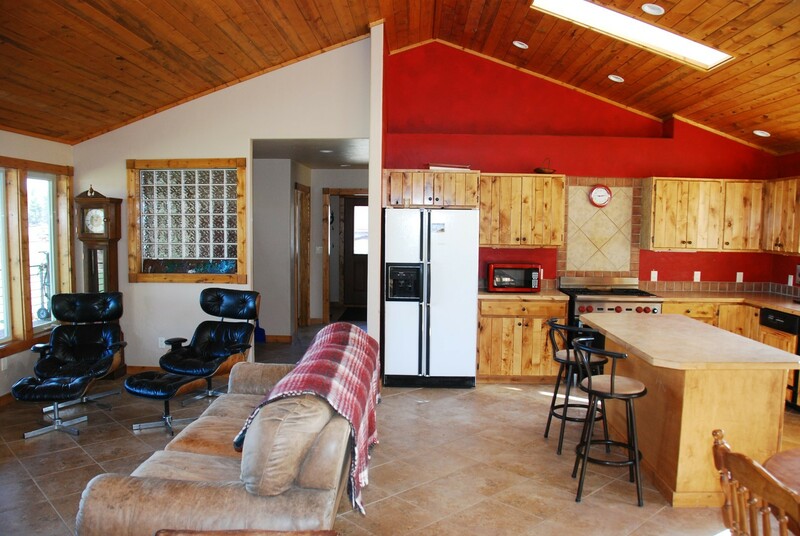 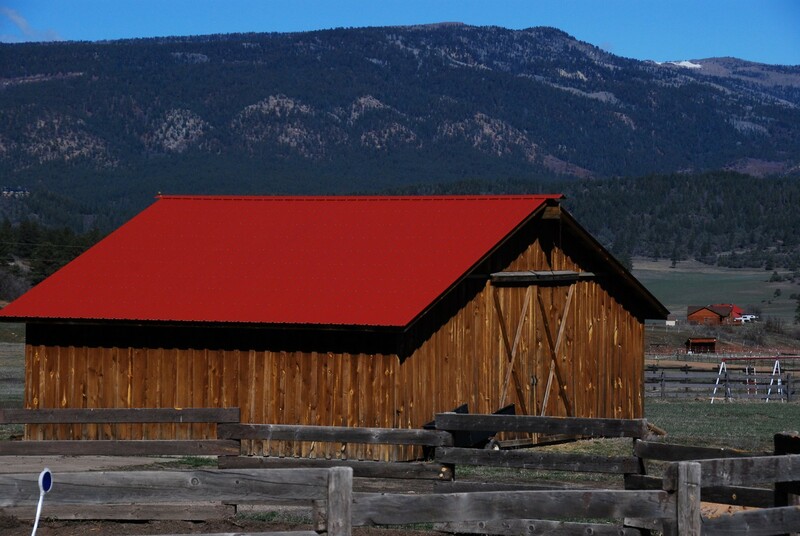 This property is currently well known in the Pagosa community as the “Enchanted Valley Farms” where the owners produce delicious spreads, salad dressings and other items for local natural foods groceries and the Pagosa Baking Company. 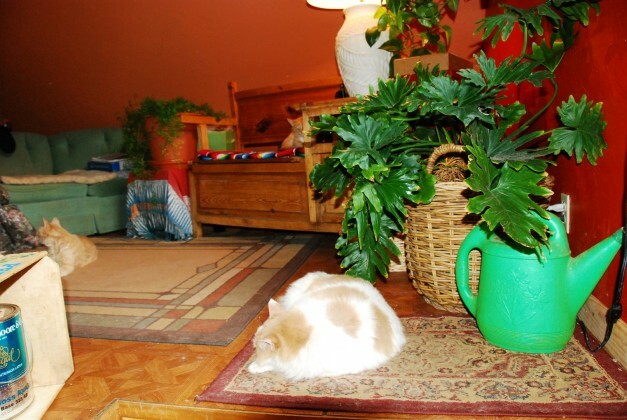 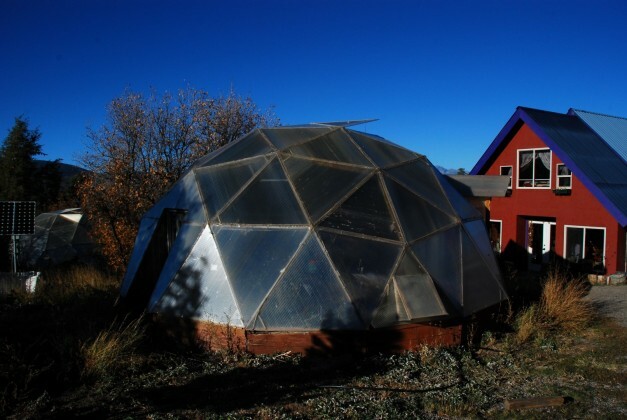 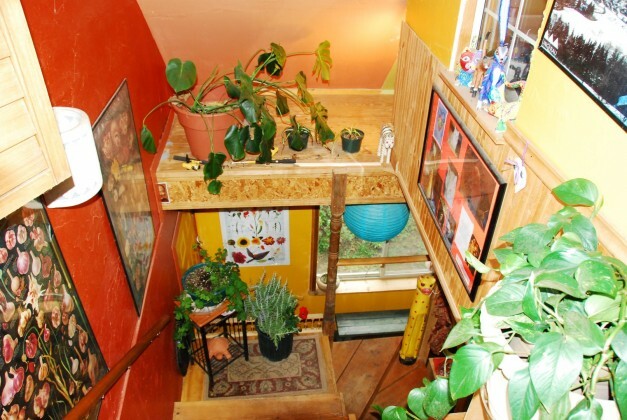 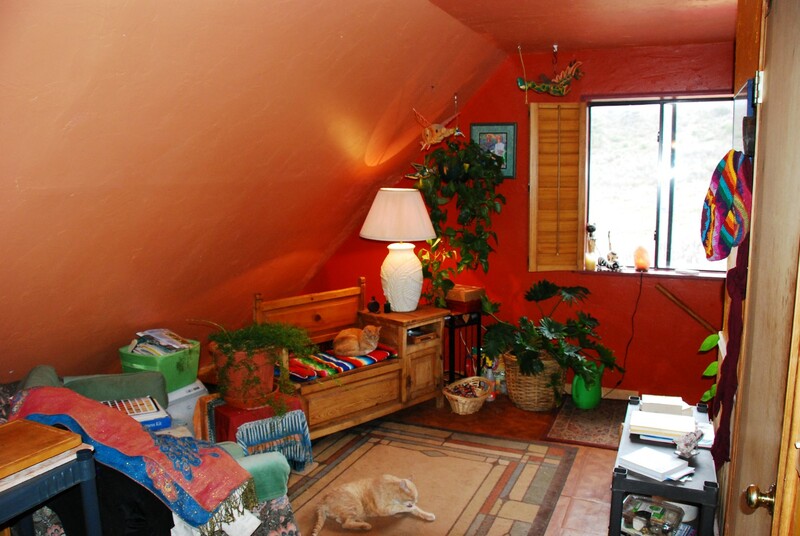 Home sale includes two large Growing Spaces “growing domes” specially made for this climate. 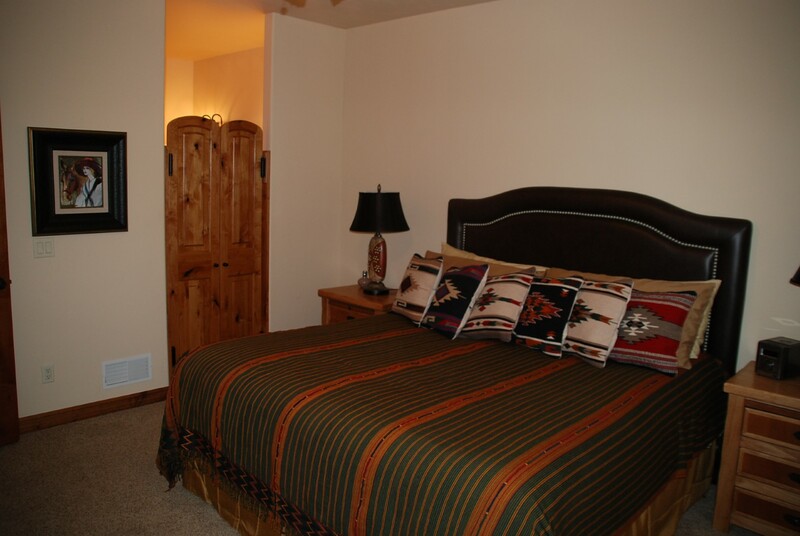 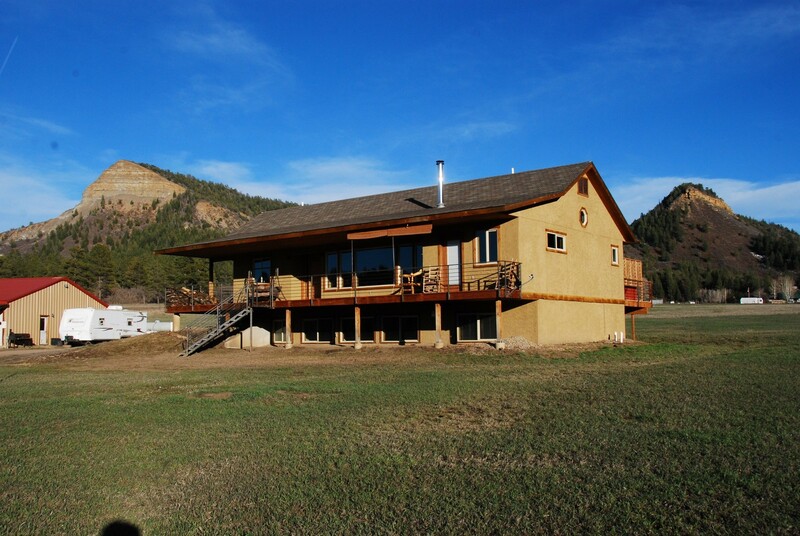 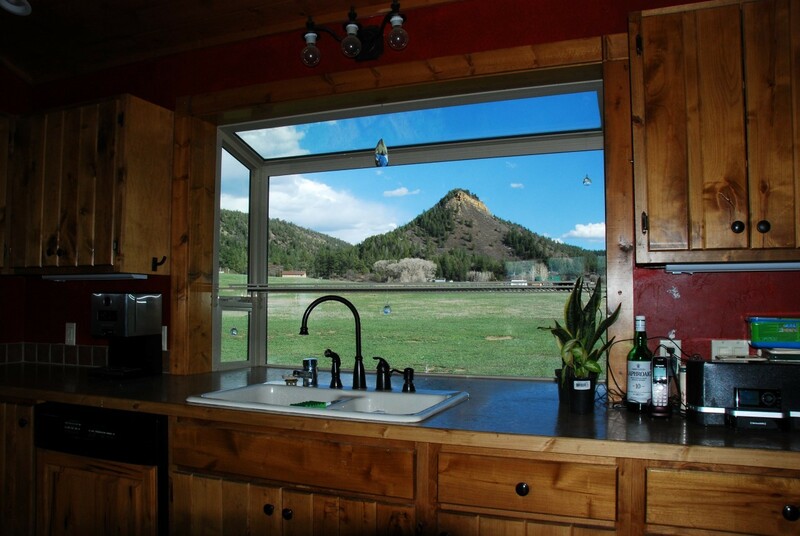 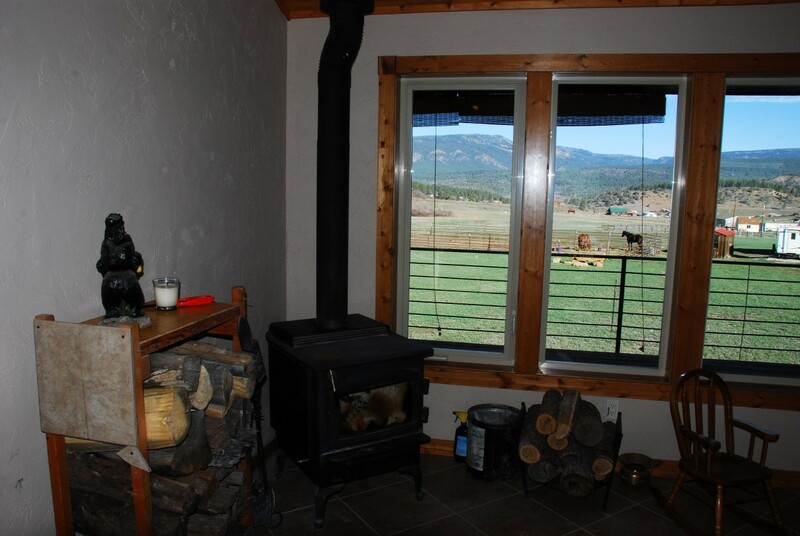 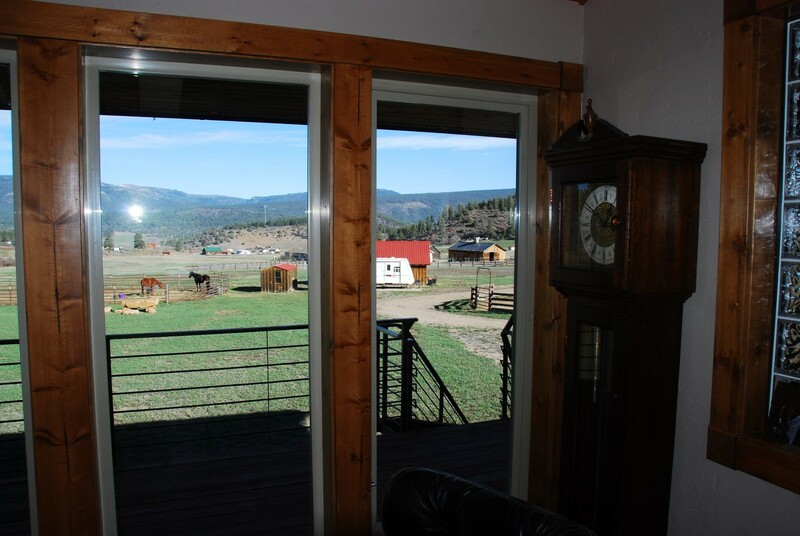 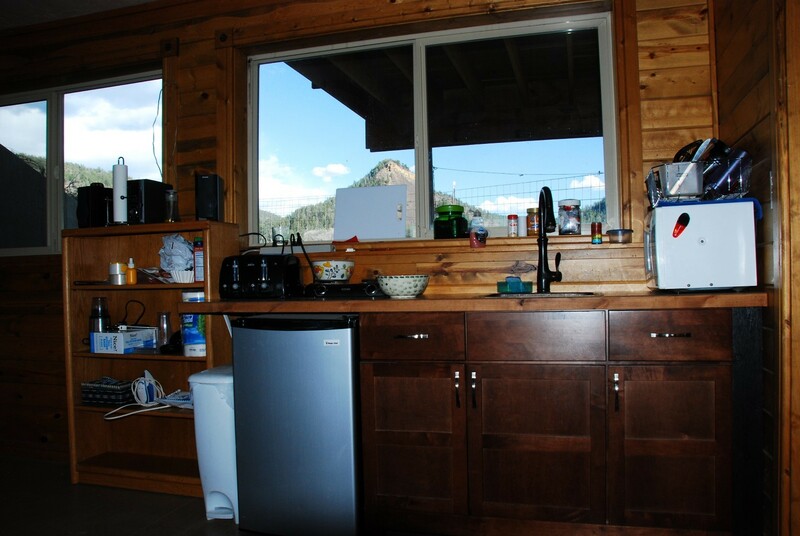 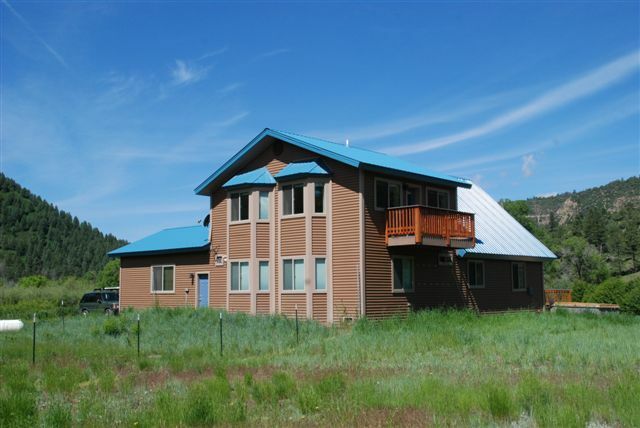 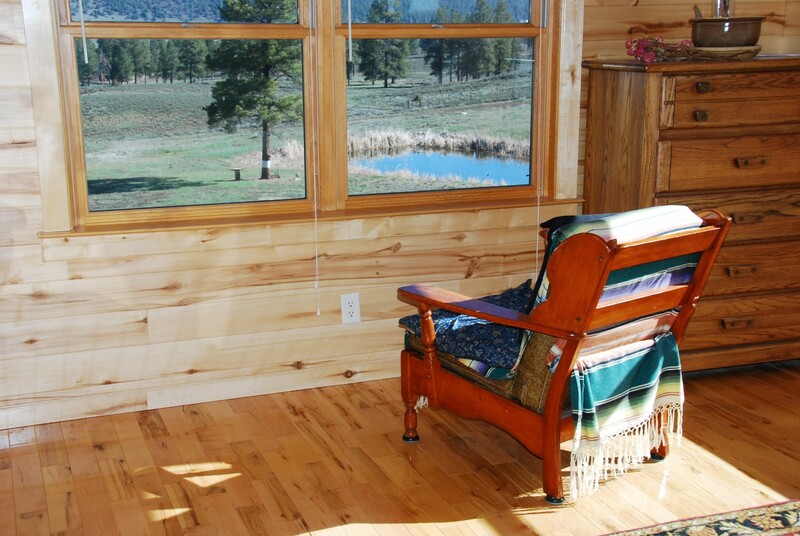 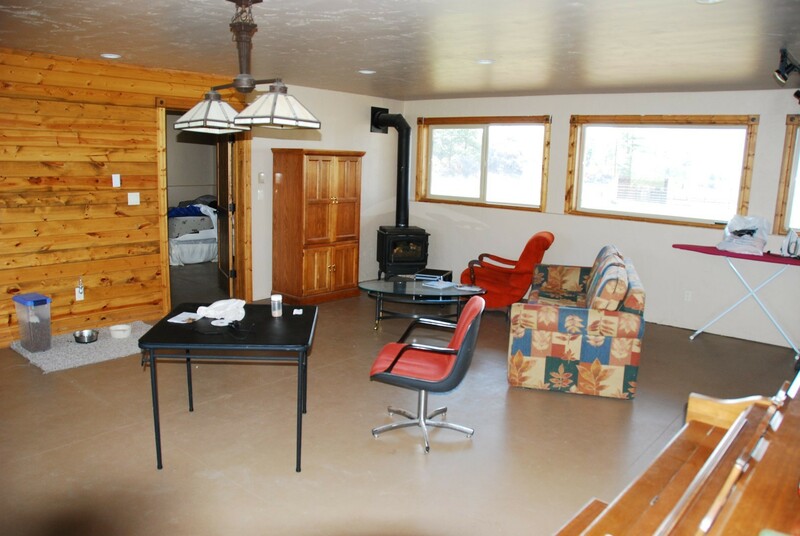 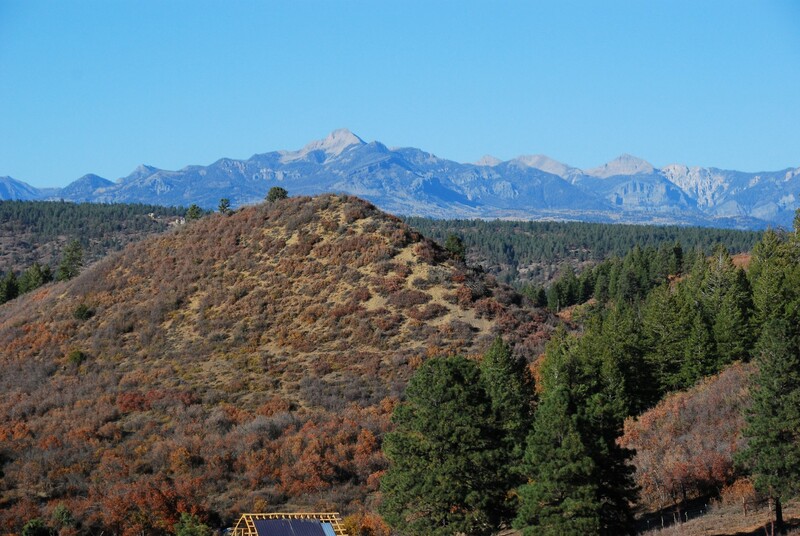 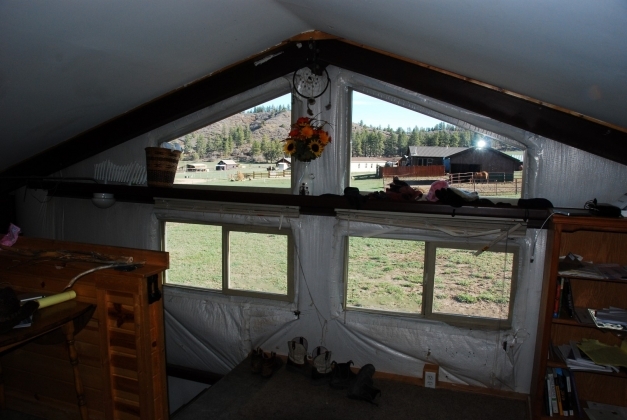 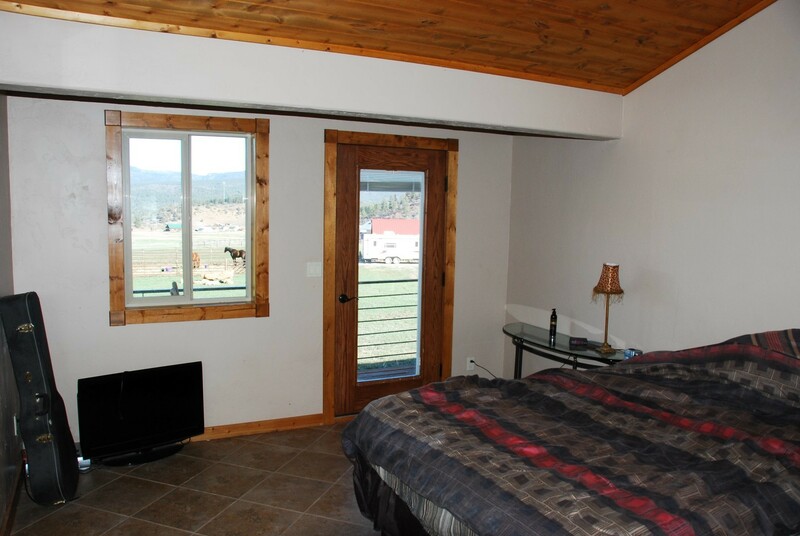 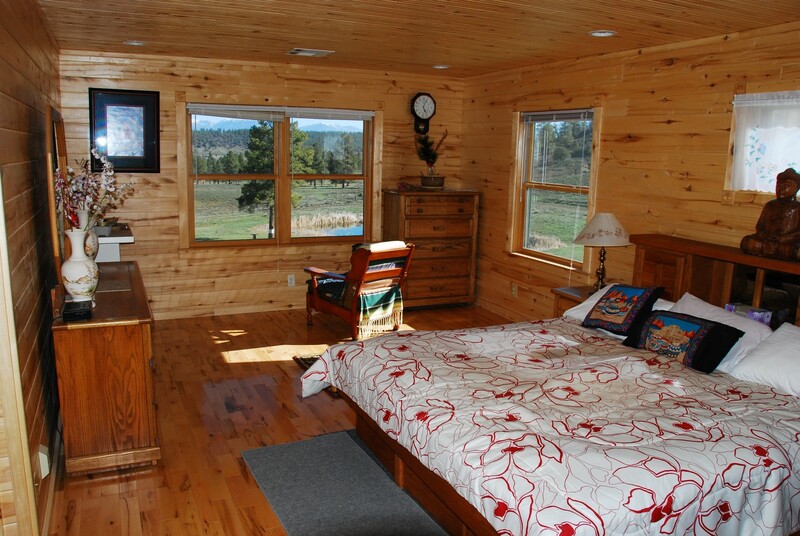 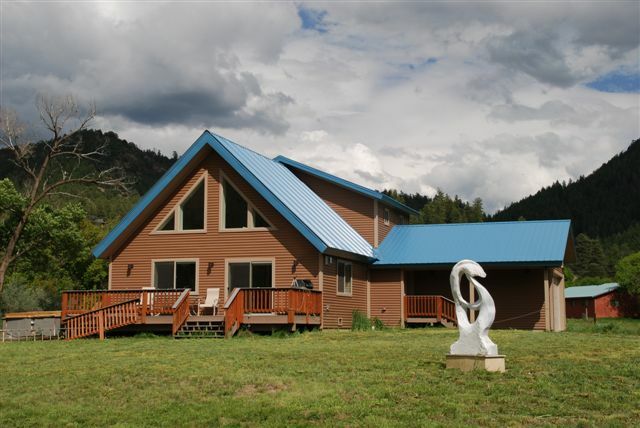 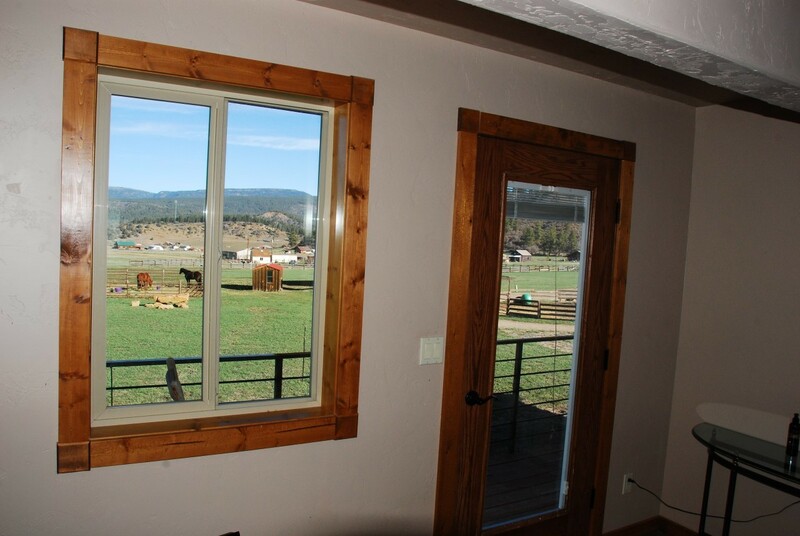 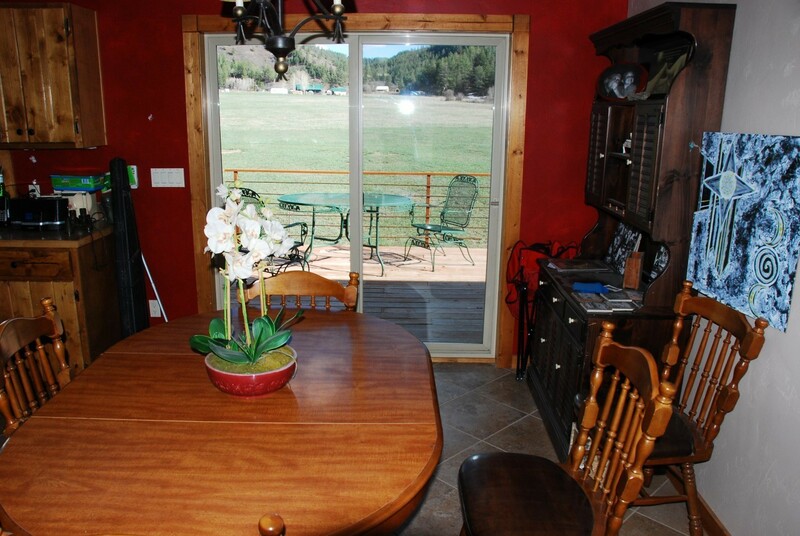 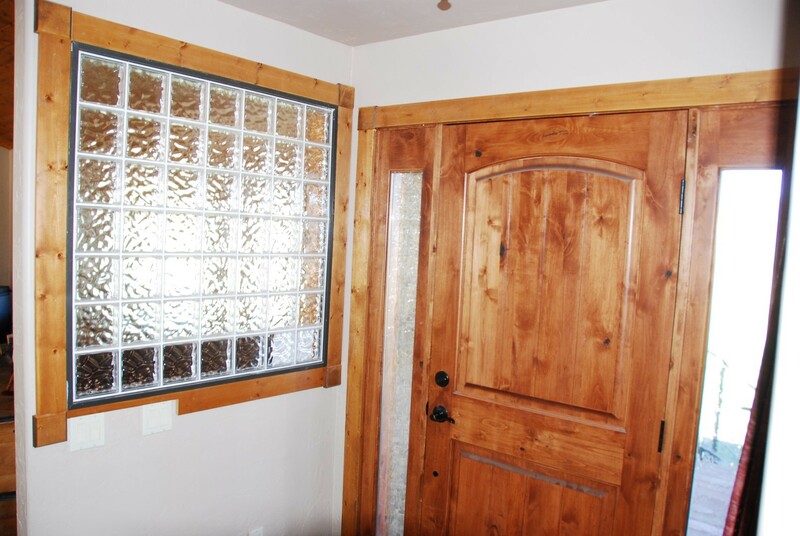 The property features spectacular northern views of Pagosa Peak and the Weminuche Wilderness along with great hiking out your back door on BLM land. 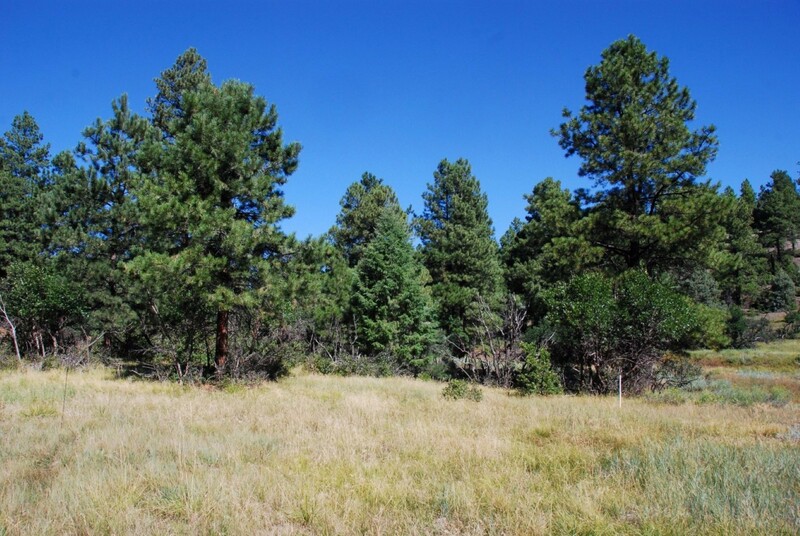 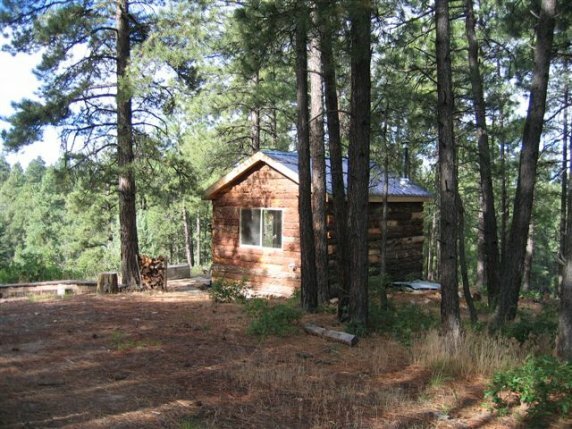 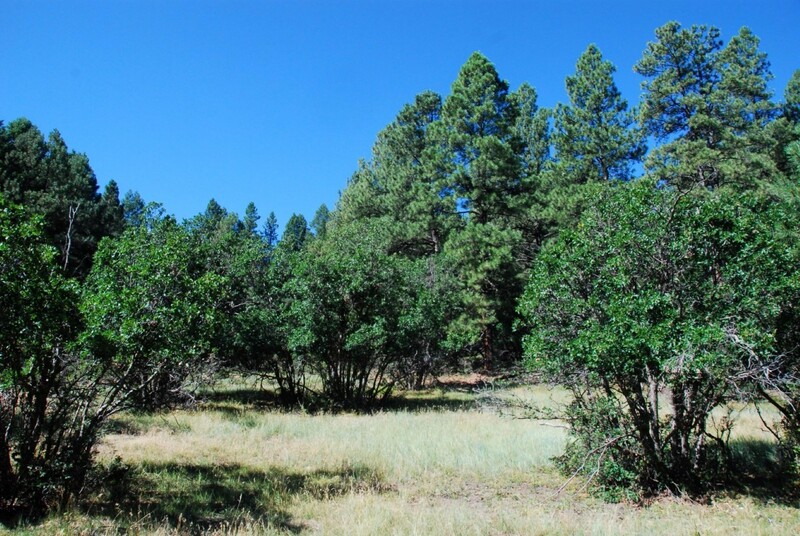 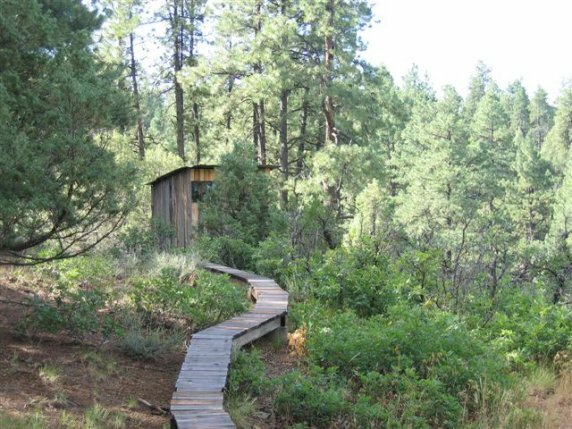 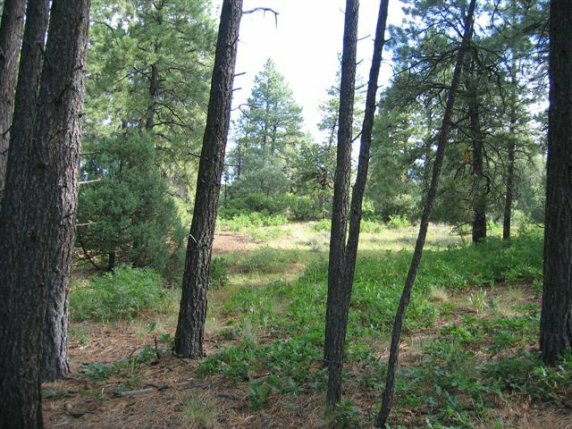 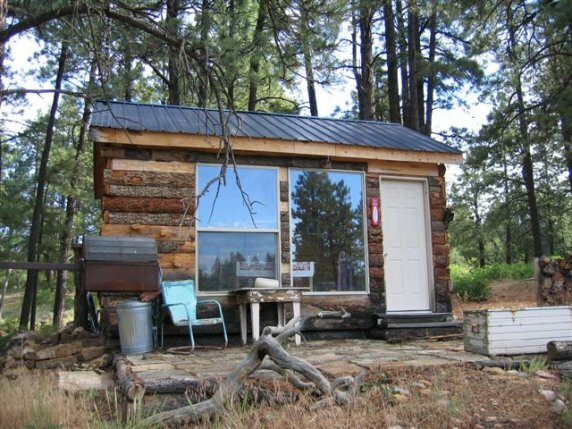 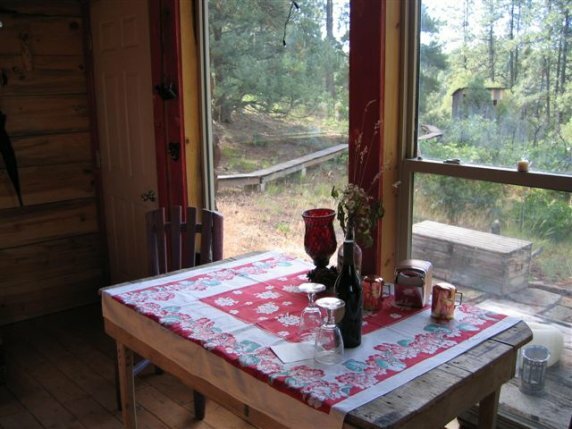 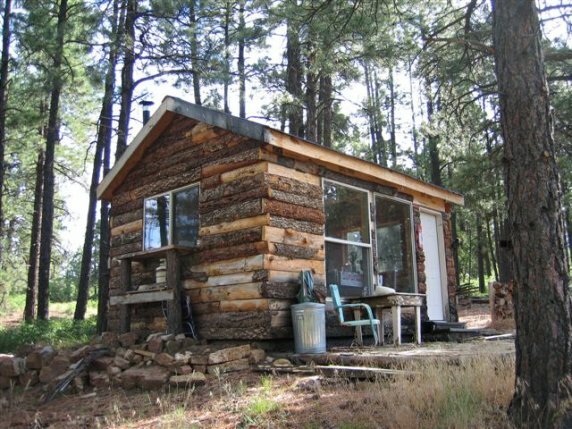 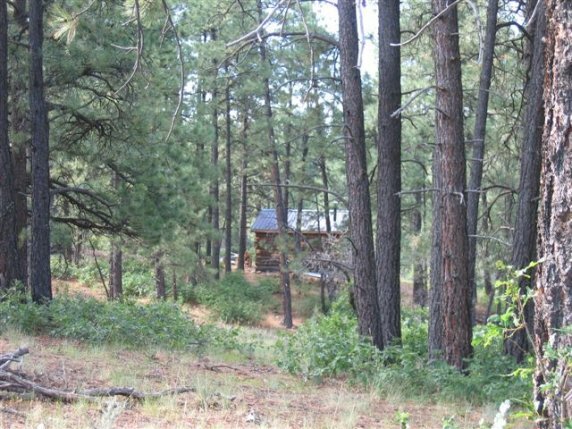 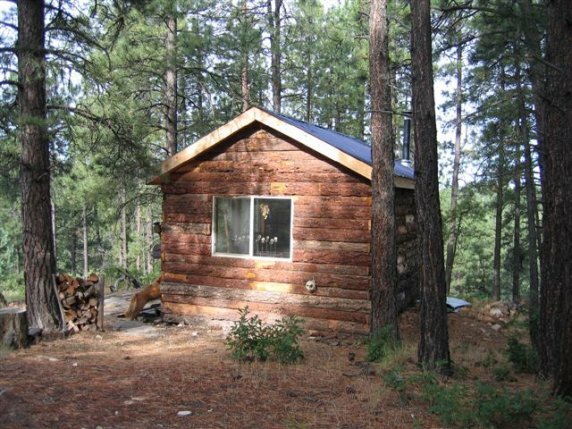 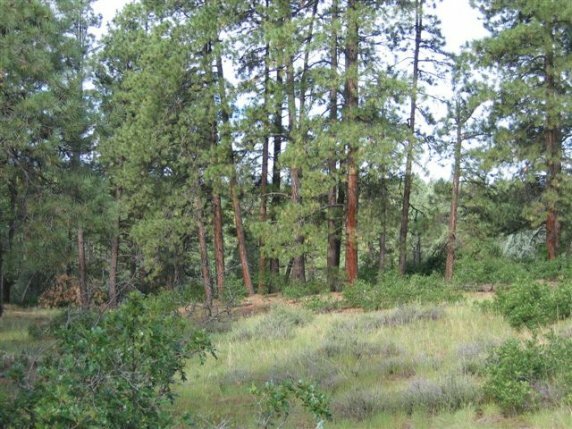 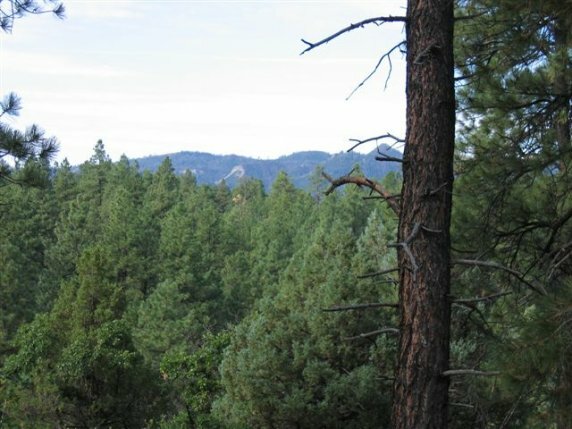 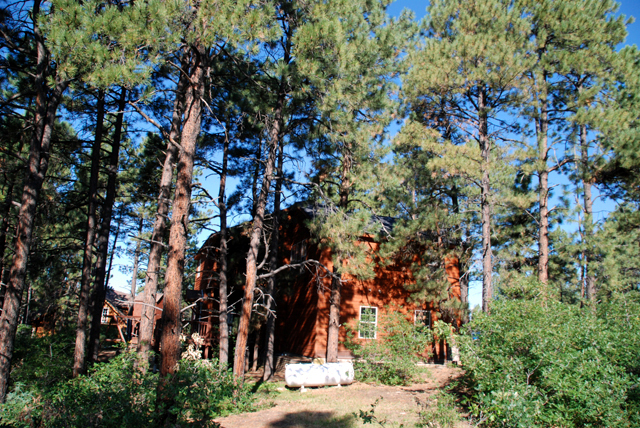 All Things Pagosa is proud to announce our newest listing: A hunter’s cabin on 5.23 gorgeous, wooded acres with a seasonal stream for only $65,000. 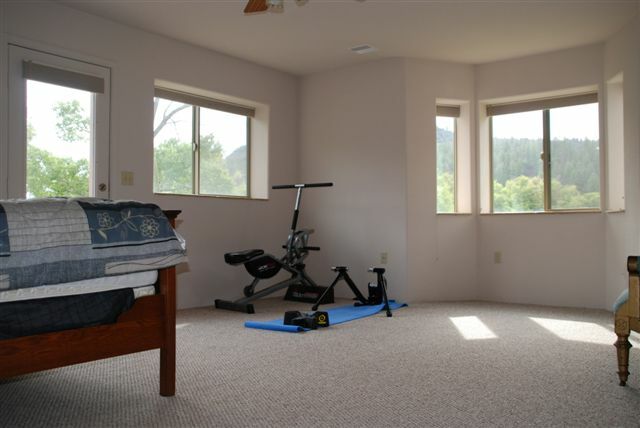 This property is very private and easy to access. 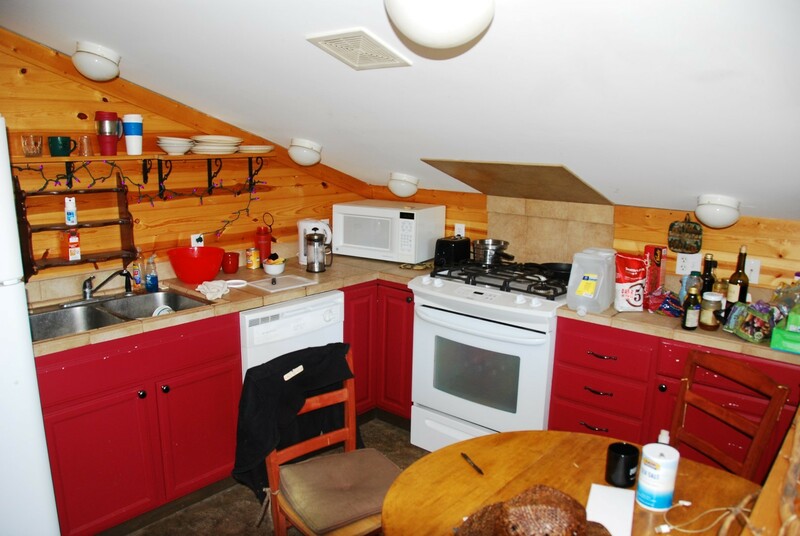 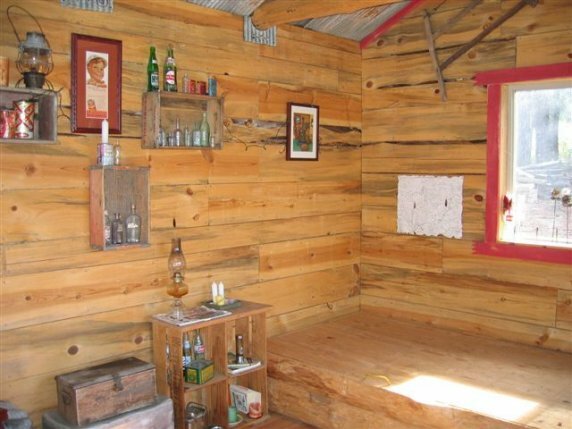 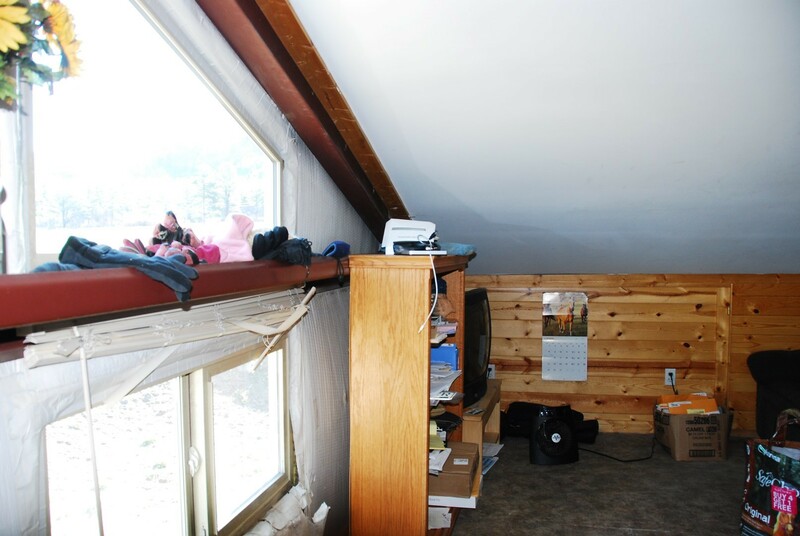 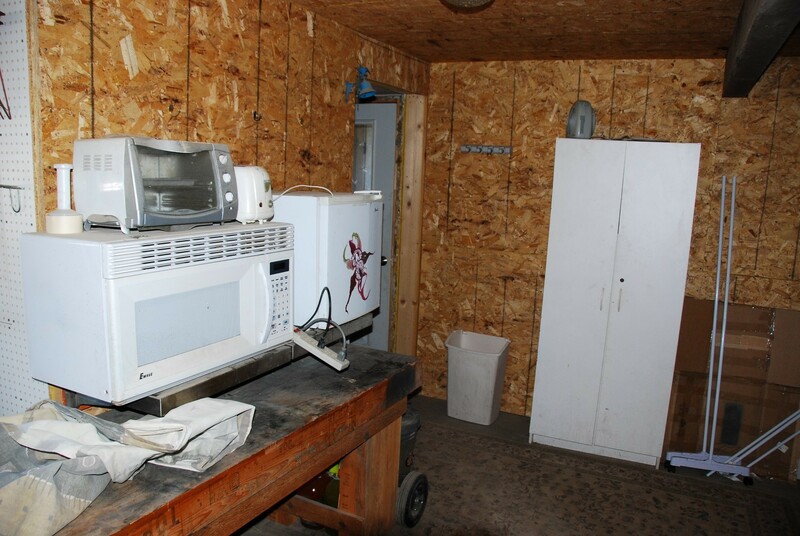 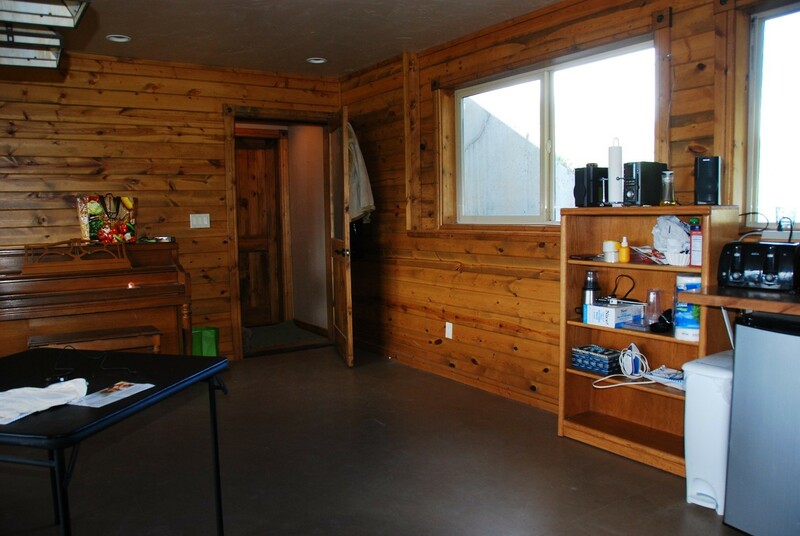 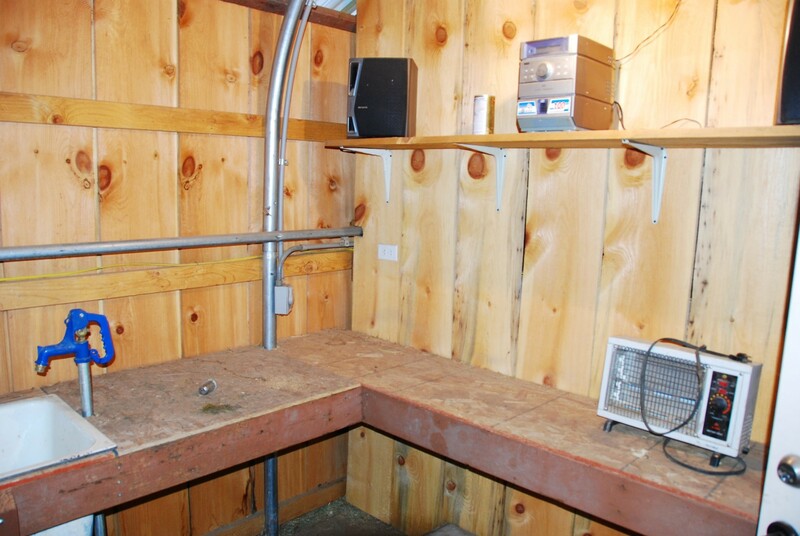 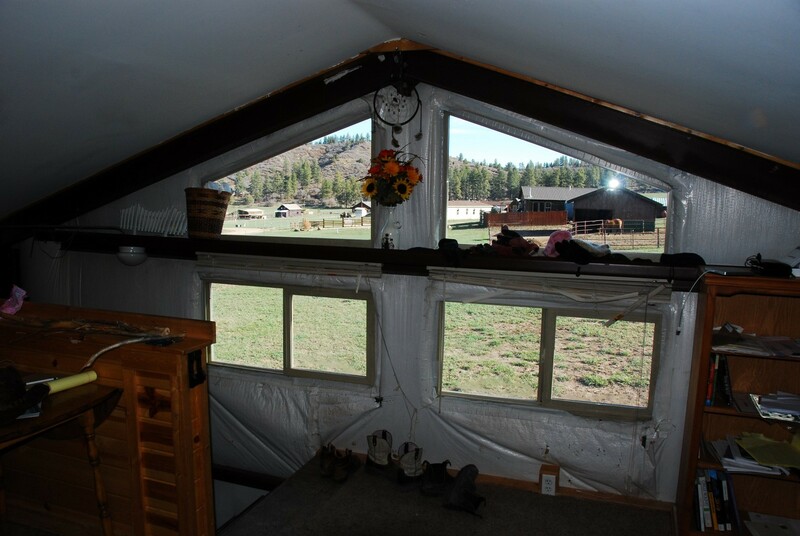 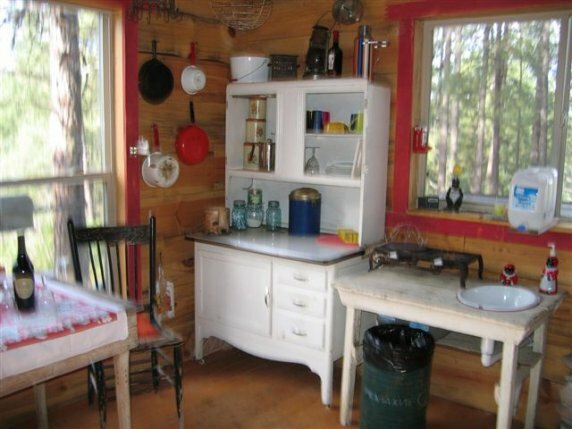 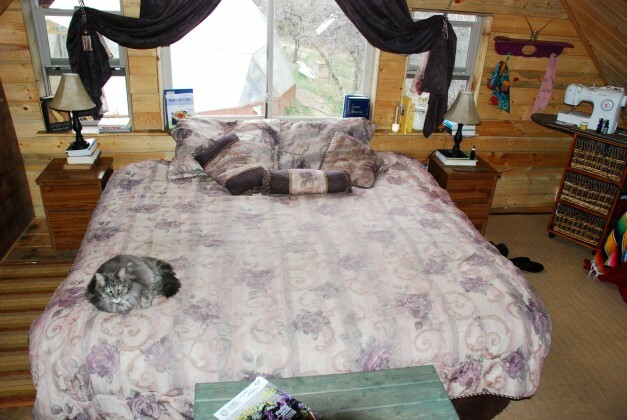 This is a hunter’s cabin so it does not have a Certificate of Occupancy. 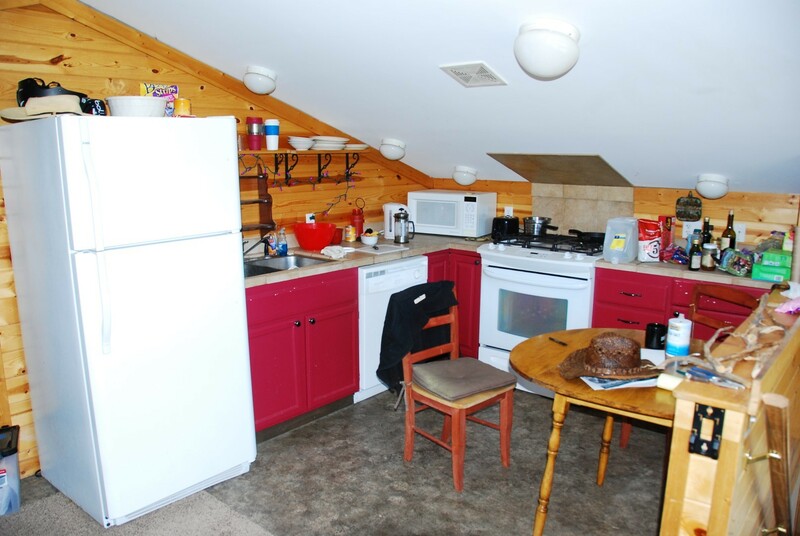 Electricity is about 300 feet away. 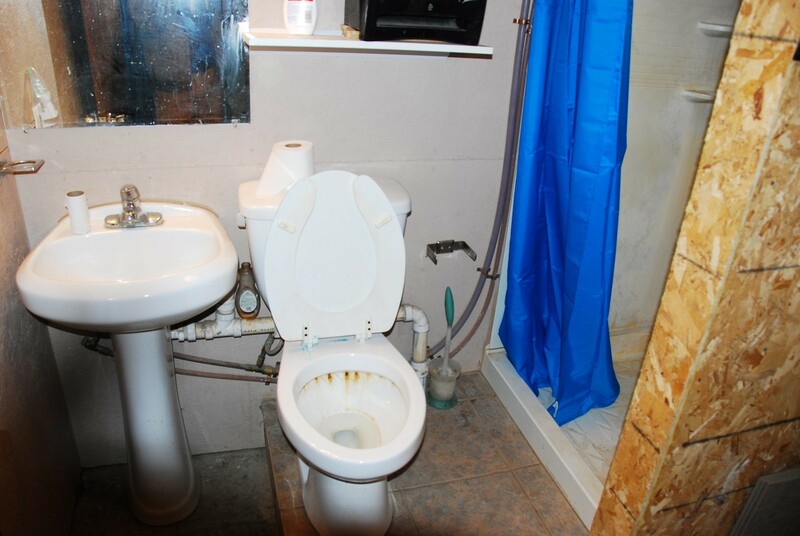 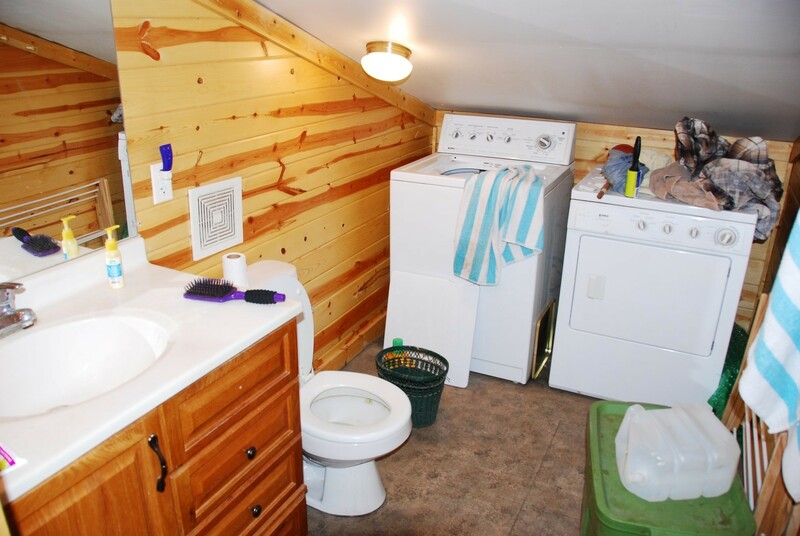 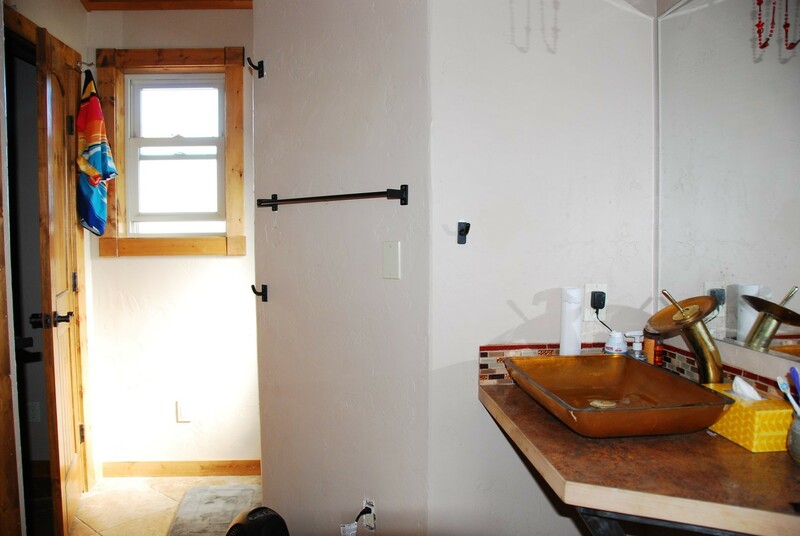 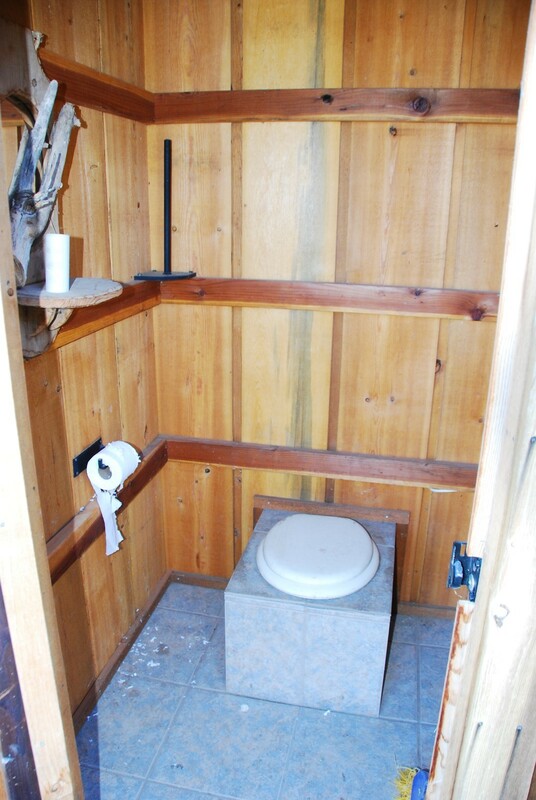 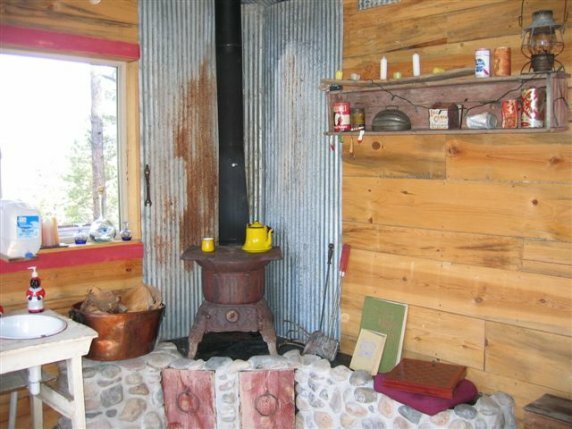 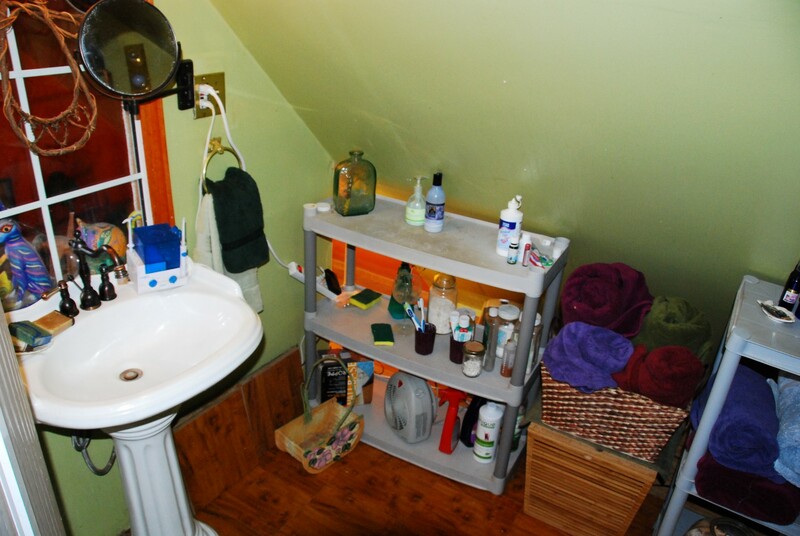 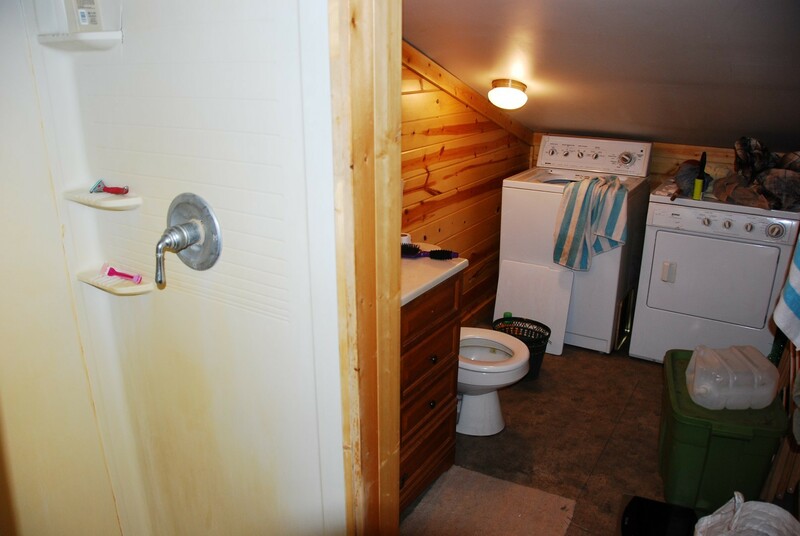 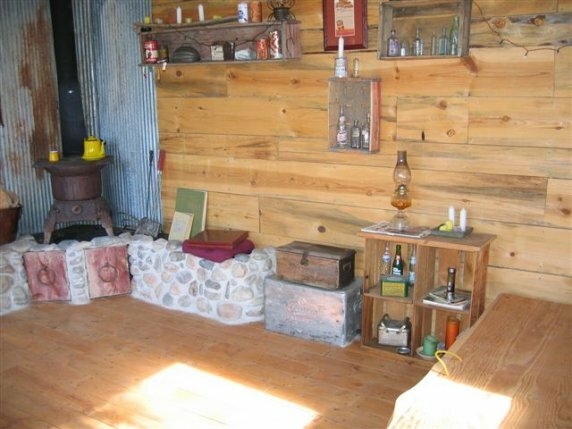 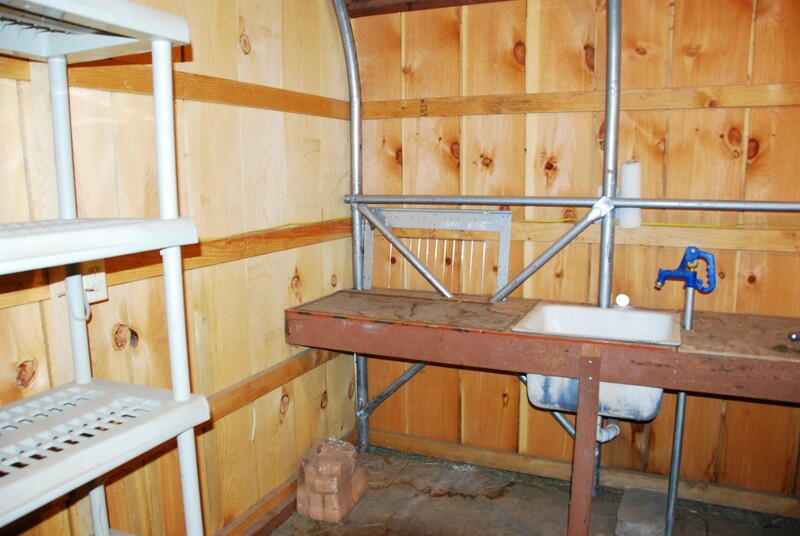 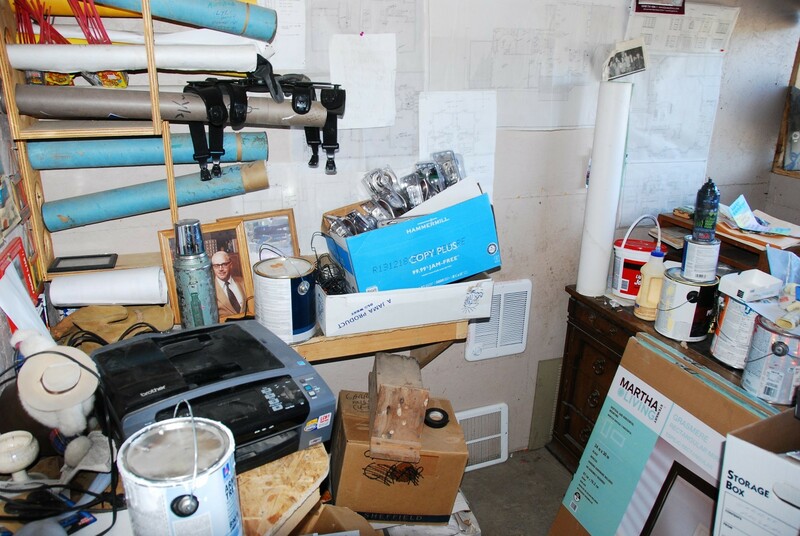 The cabin does not have a well, cistern or septic system. 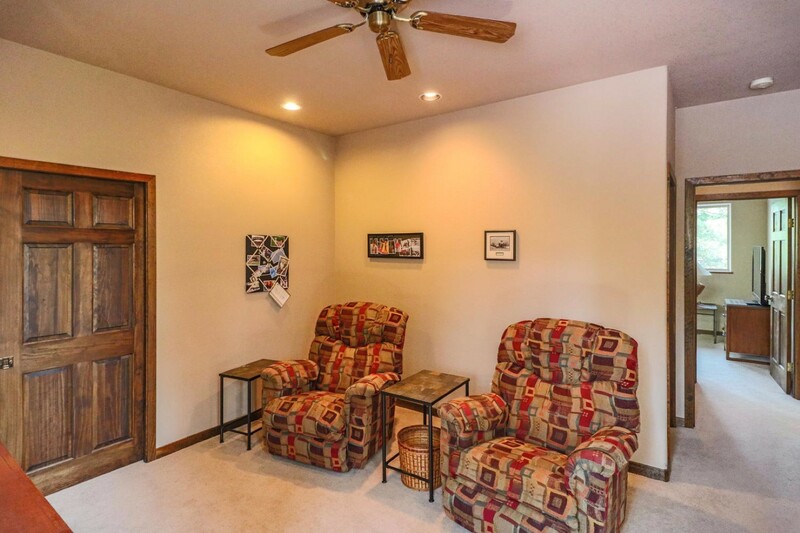 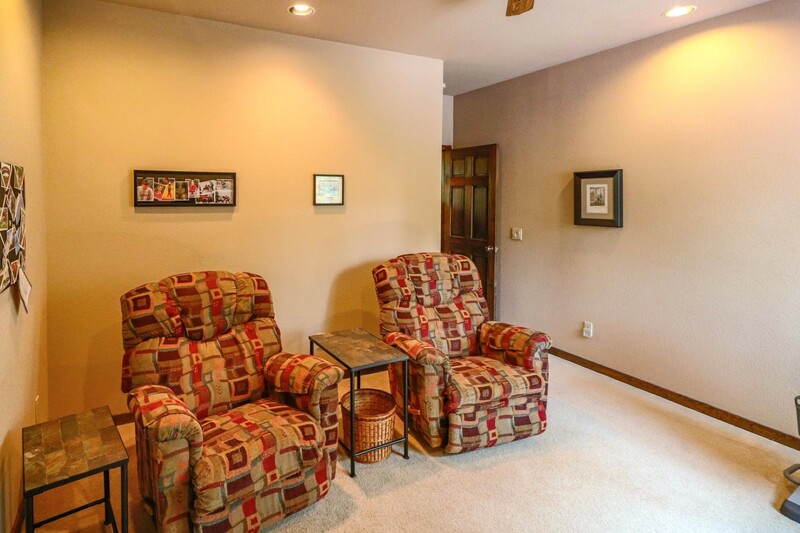 Wonderful family home on heavily-treed lot. 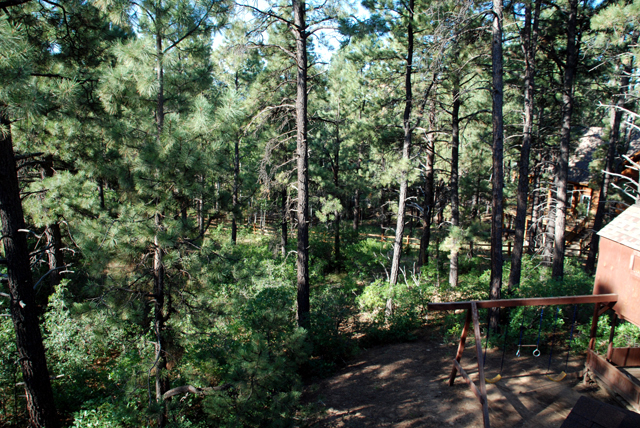 Trees, trees and more trees. 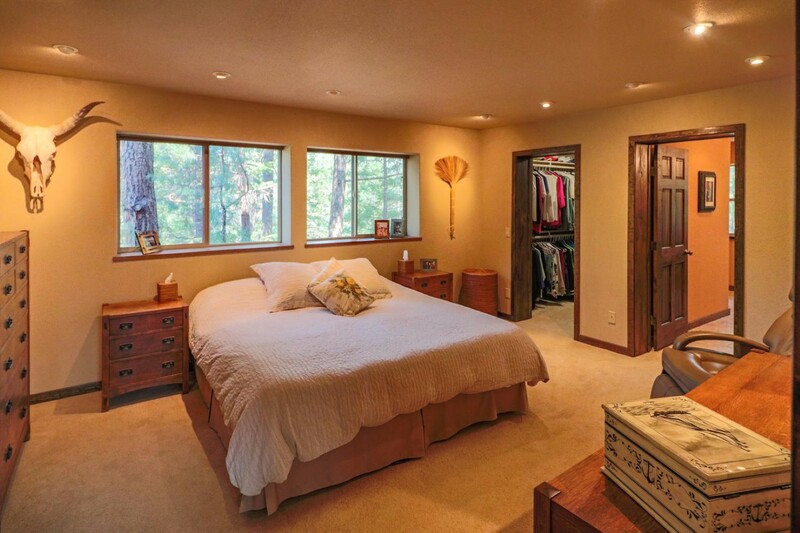 We are proud to announce our latest listing, a wonderful family home on a heavily wooded corner lot inTwinCreekVillage. 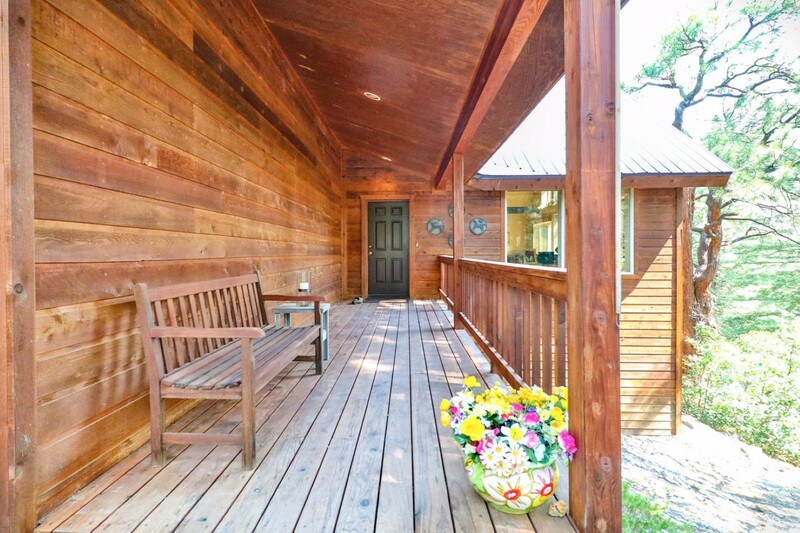 The home features a covered front porch and generous decking including upper an deck off the master bedroom overlooking gorgeous treed lot. 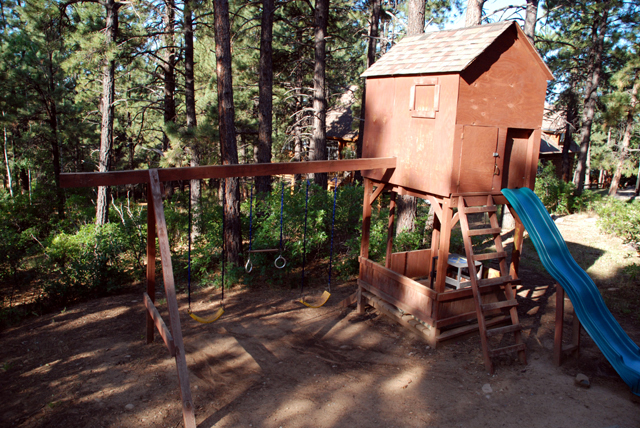 Your little ones will enjoy the fun swing set in the back yard. 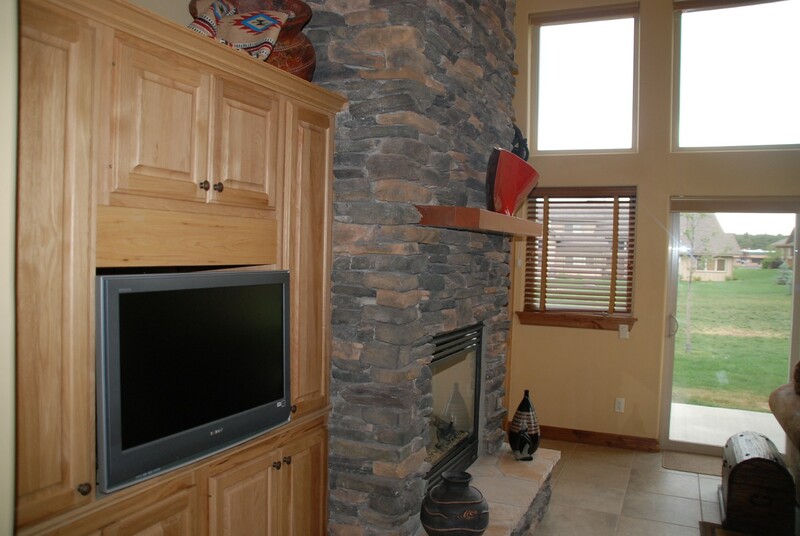 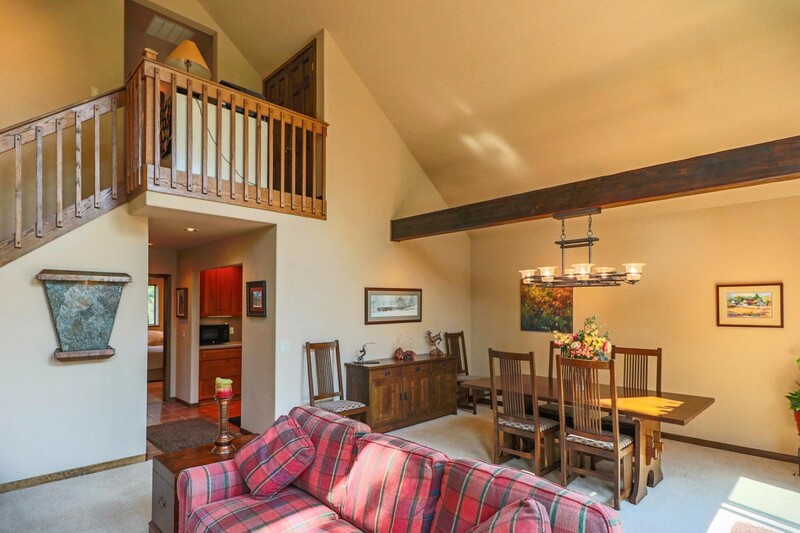 The living room features a tall, coffered ceiling and river rock fireplace. 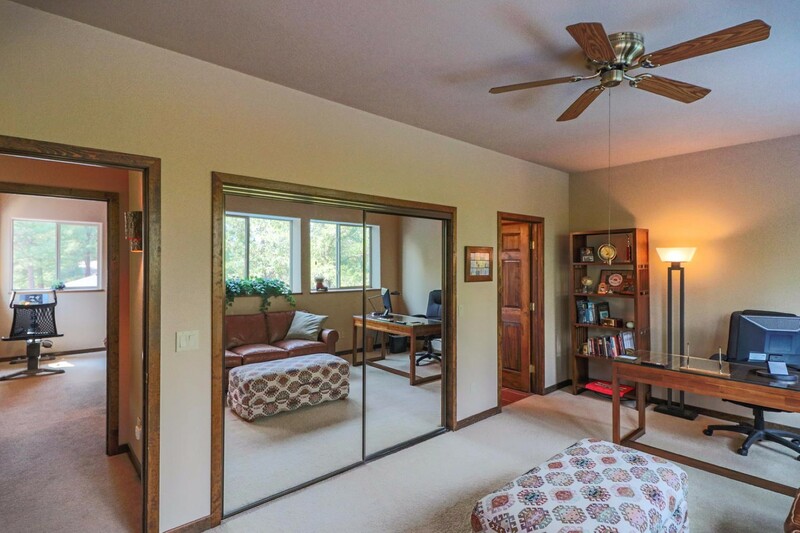 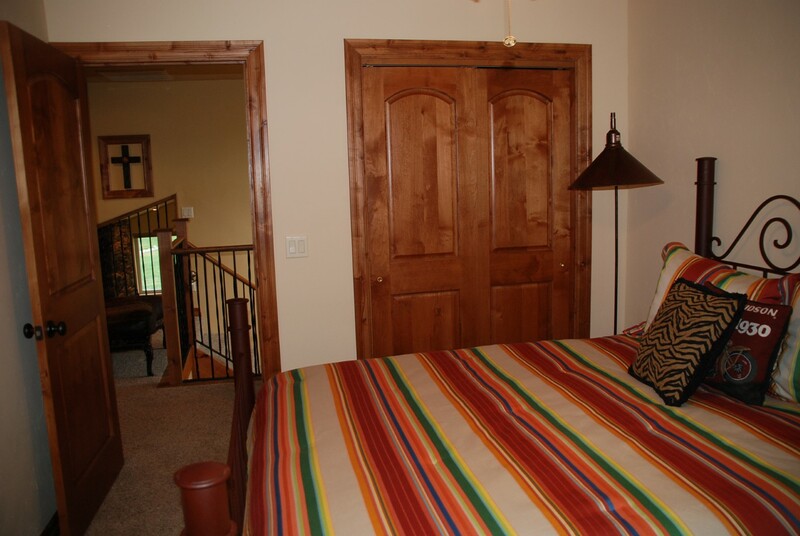 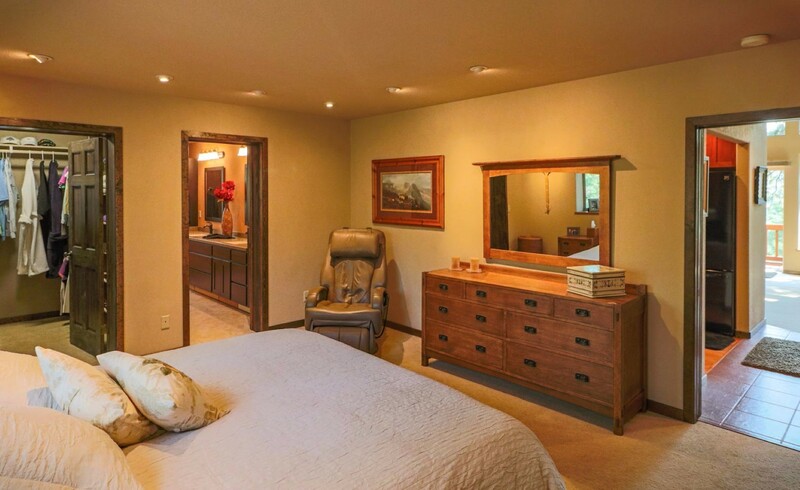 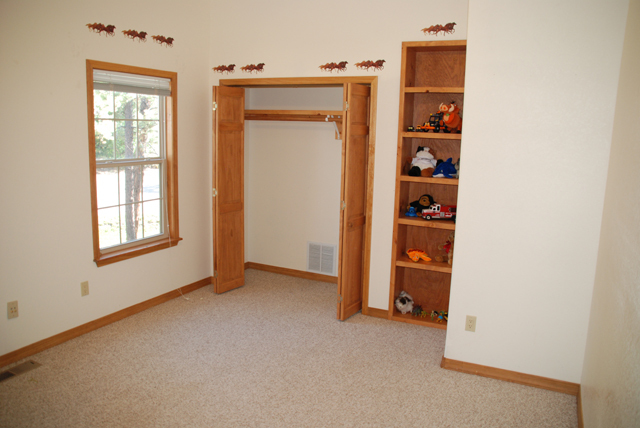 The master bedroom includes a office/den/exercise room with French doors and exit to upper decking. 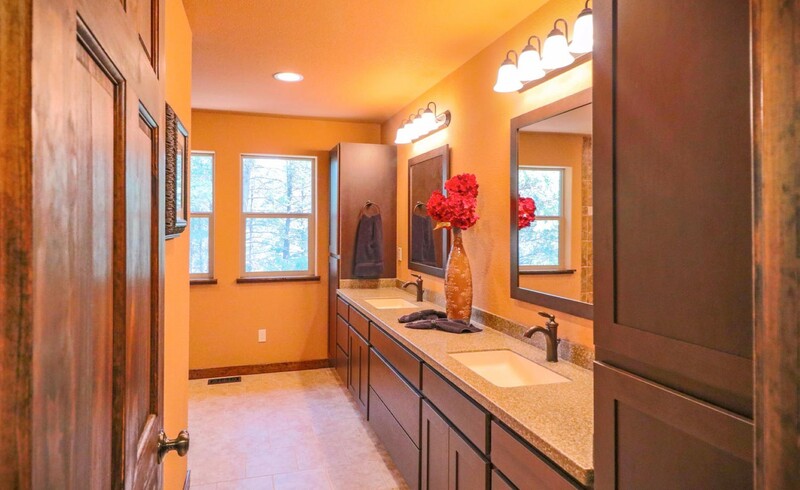 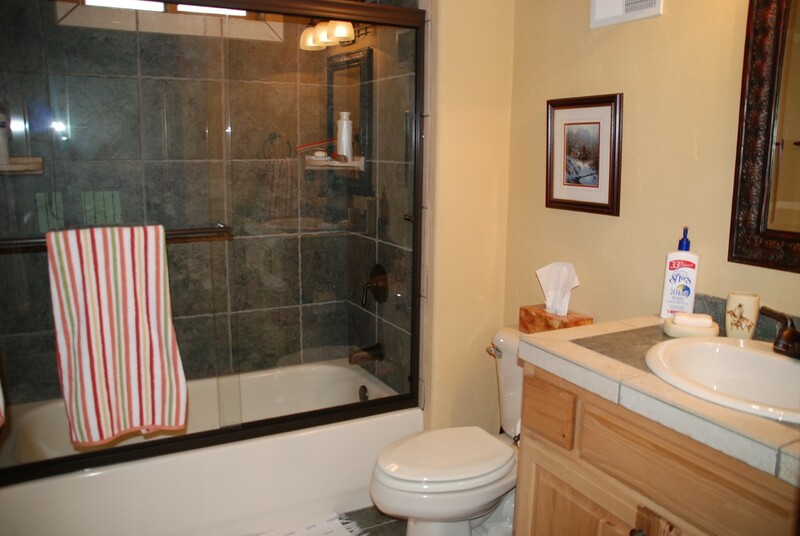 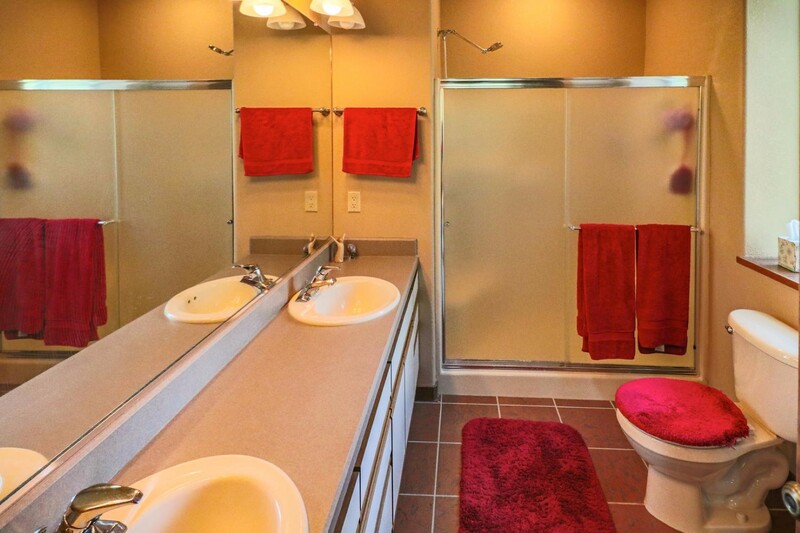 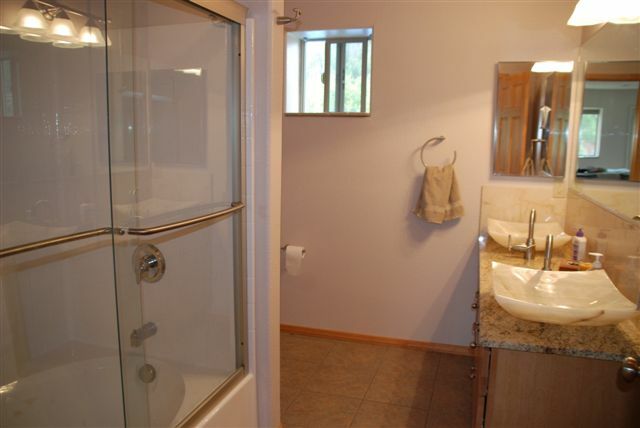 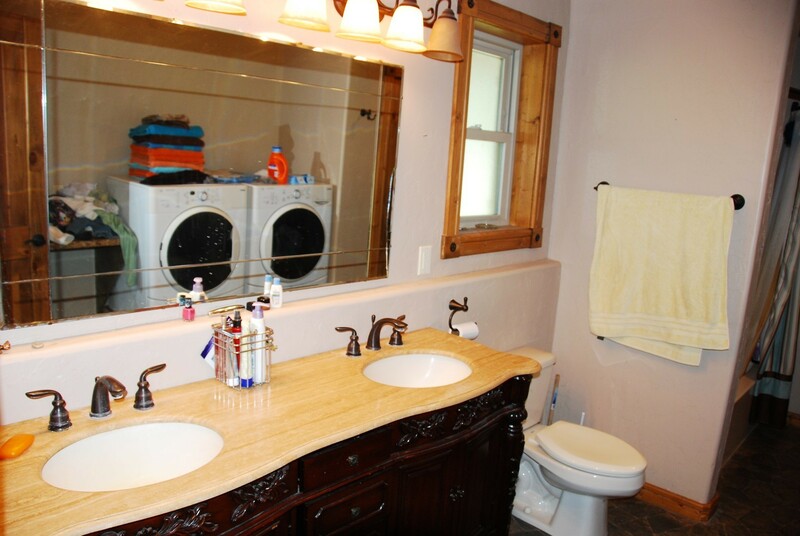 The master bath features double sinks and jetted tub. 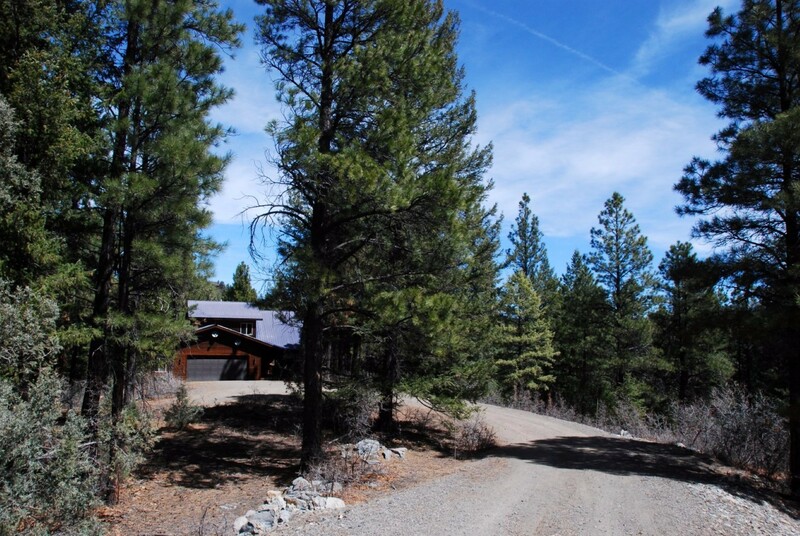 The home also boasts a concrete driveway which makes snow removal much easier. 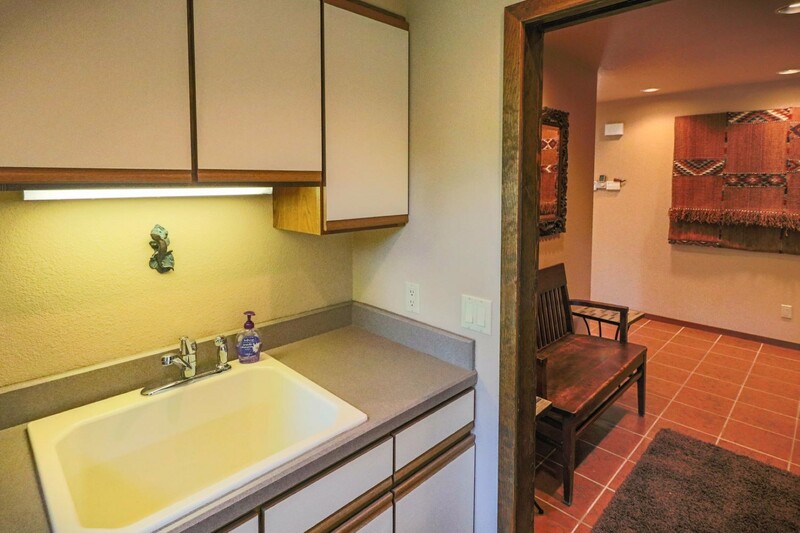 And the home’s proximity to Mission makes trips to and from the grocery store and downtown a breeze. 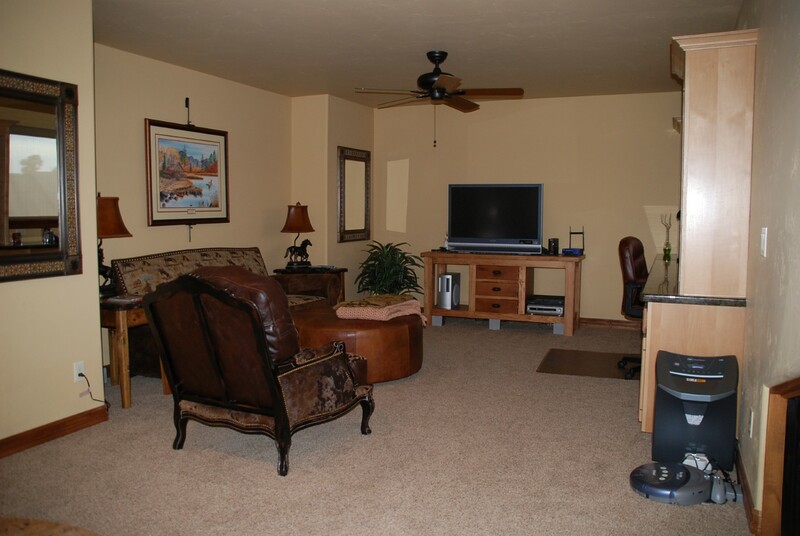 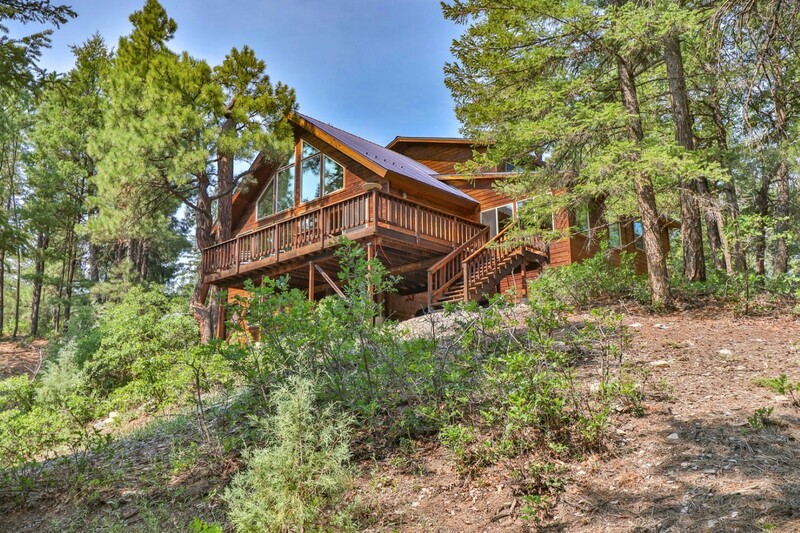 Contact your Pagosa Springs Realtor today to schedule a showing or call me directly at 970-398-0022. 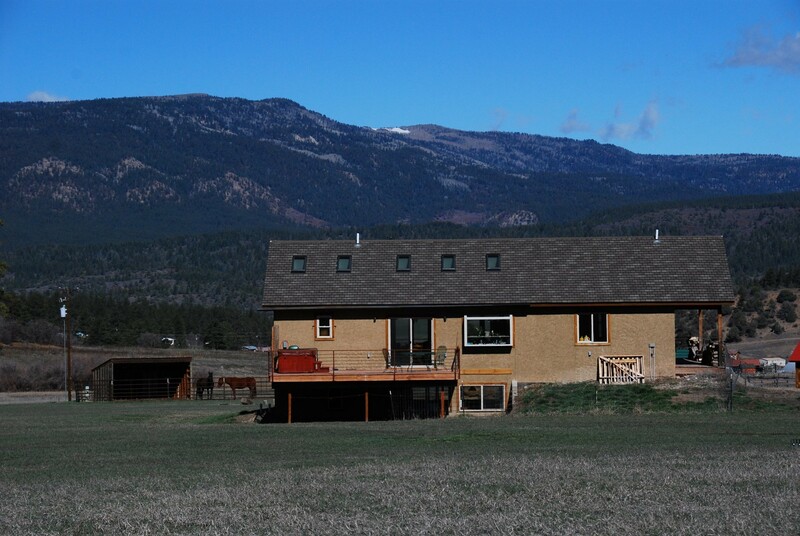 Update: Sold June 8, 2011 for $320,000. 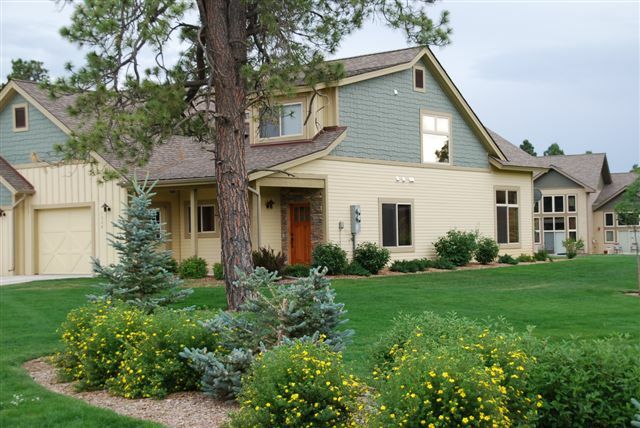 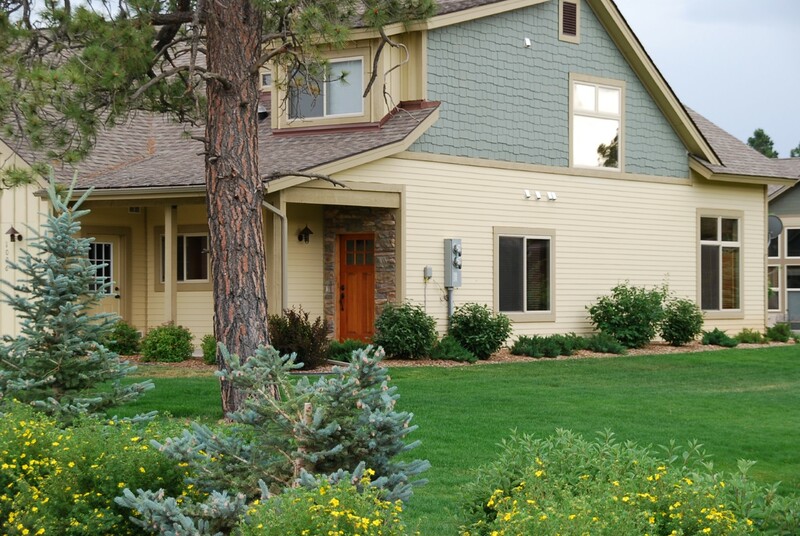 We at All Things Pagosa are proud to announce the listing of this elegant home in Lake Forest Estates. 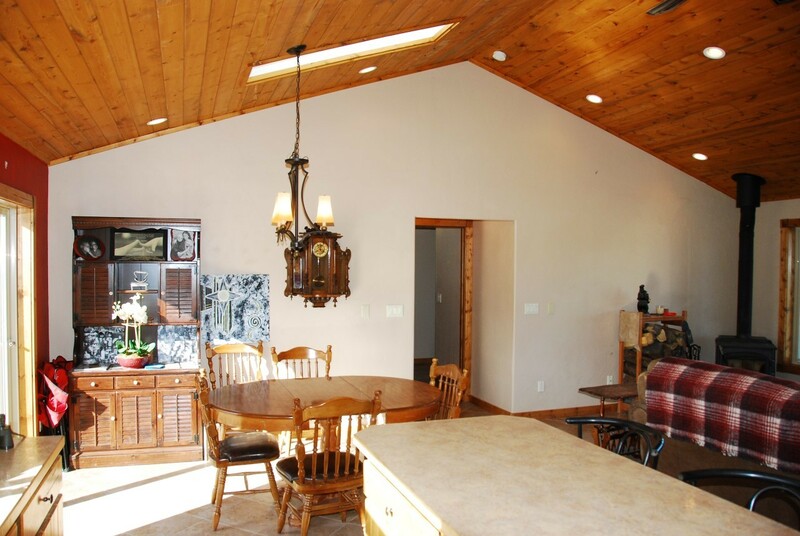 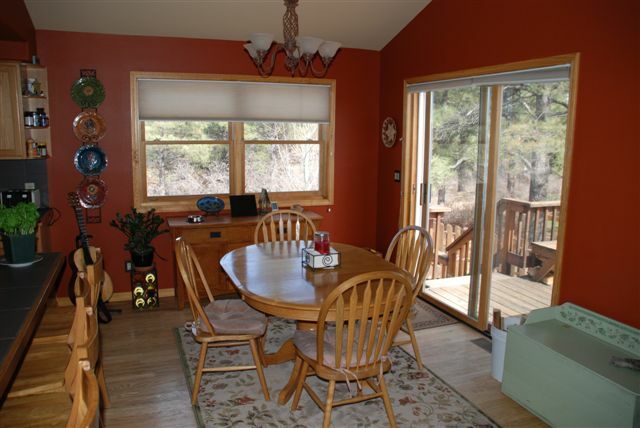 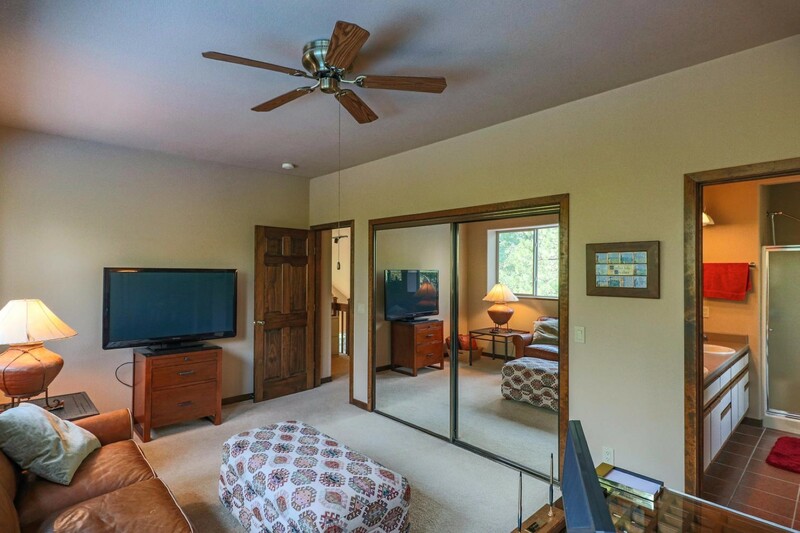 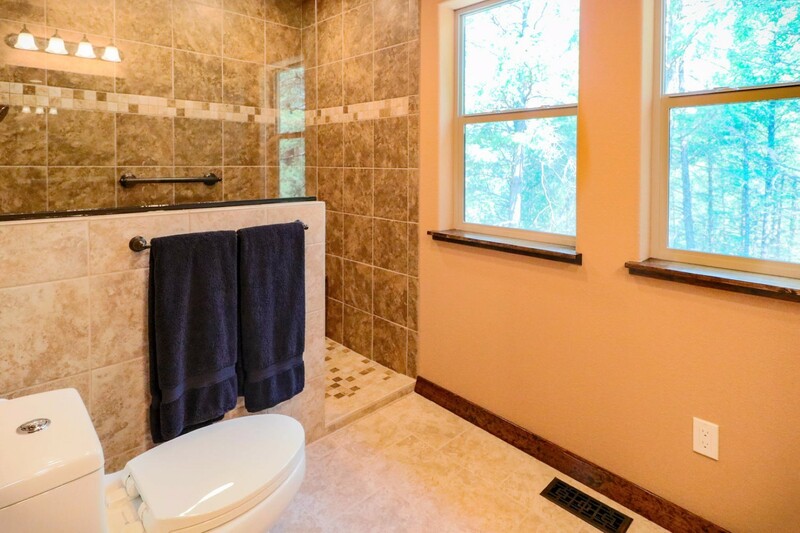 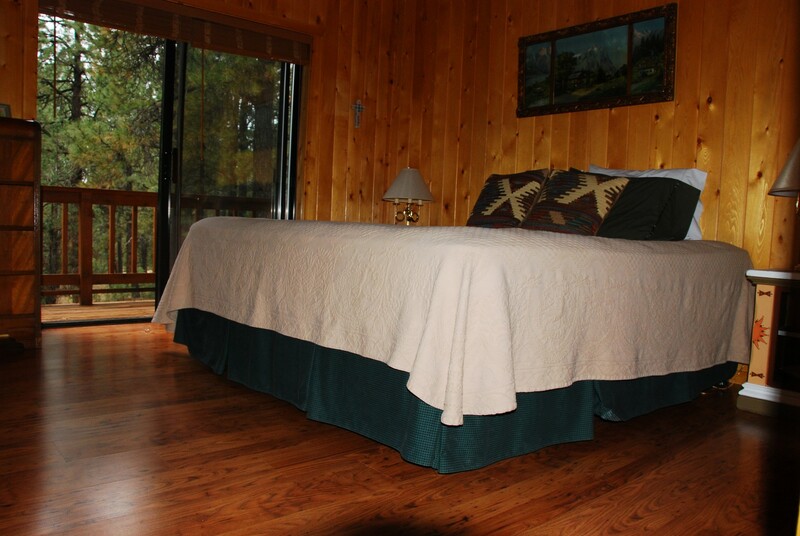 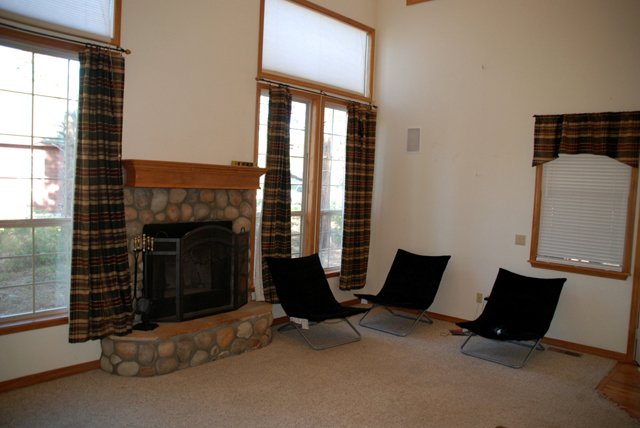 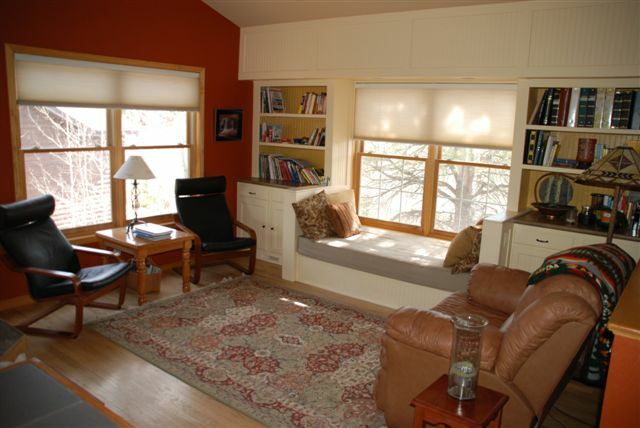 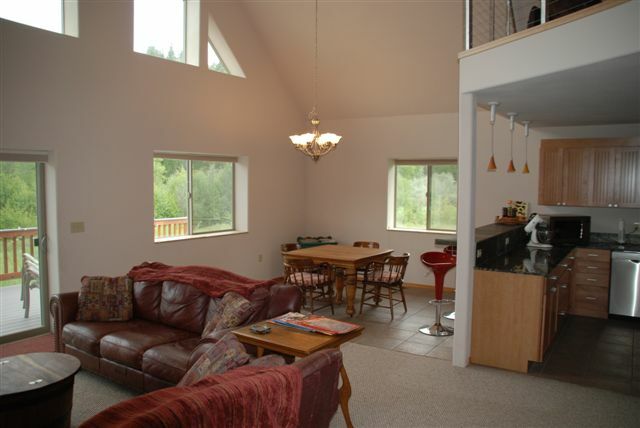 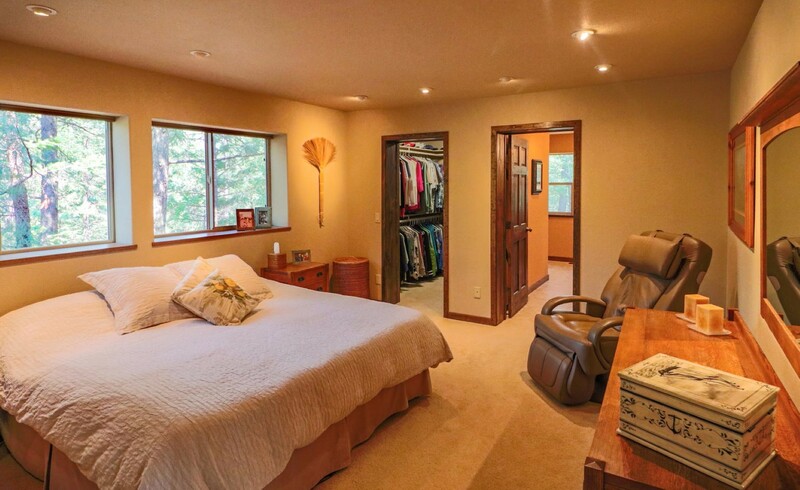 The home is on a double wooded lot (.73 acres) with greenbelt on two sides. 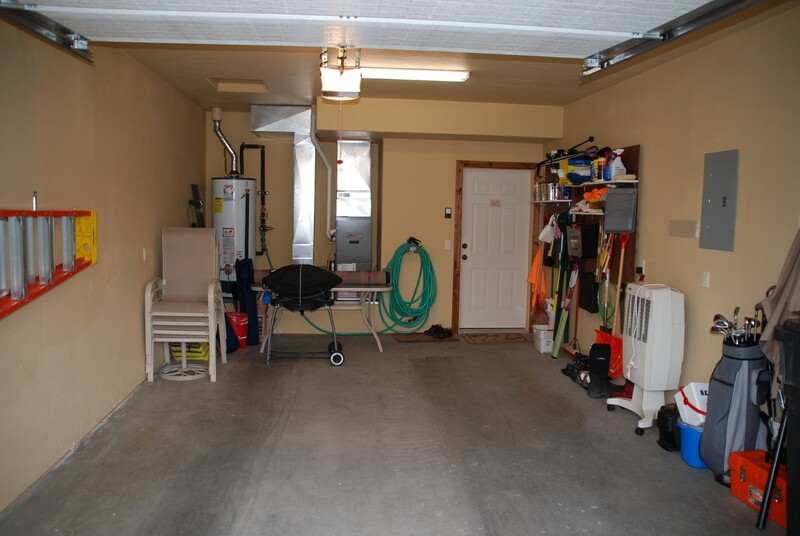 The home features a heated 2 car attached garage as well as a heated 3rd car garage/workshop for extra Colorado toys or tinkering. 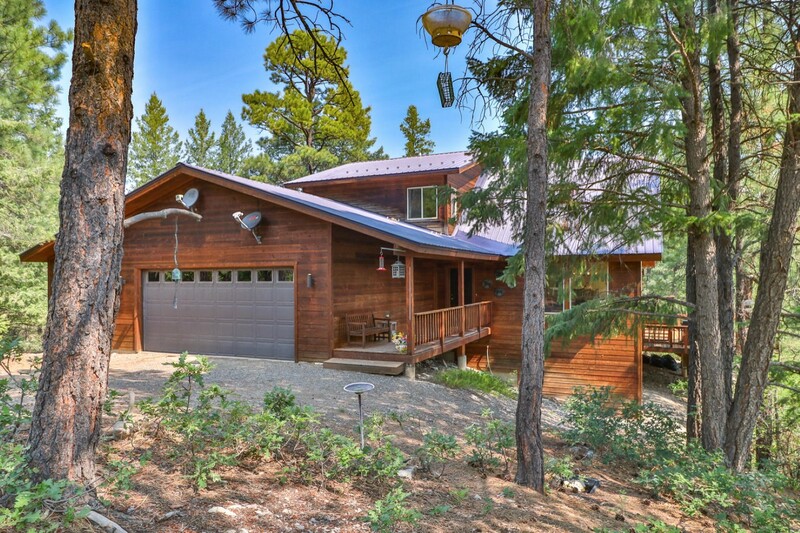 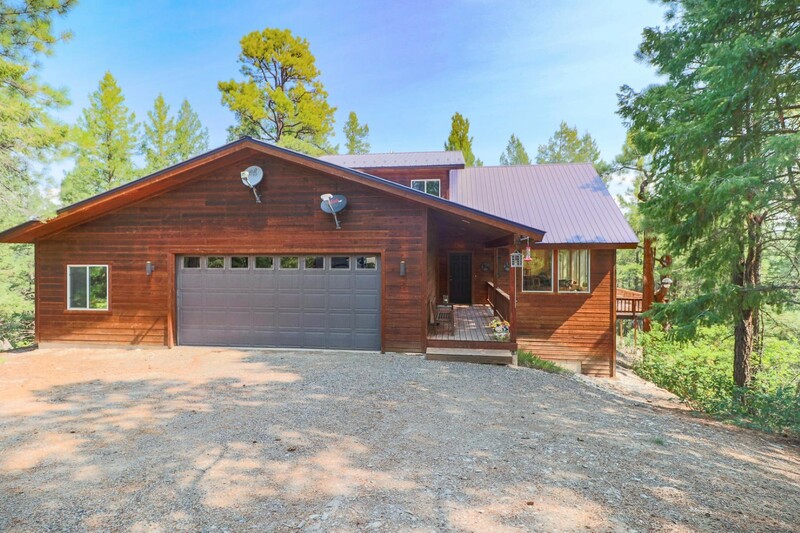 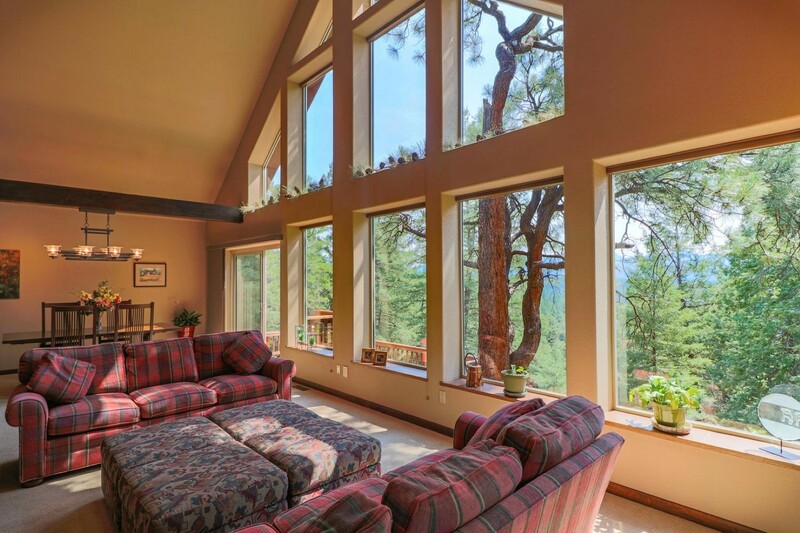 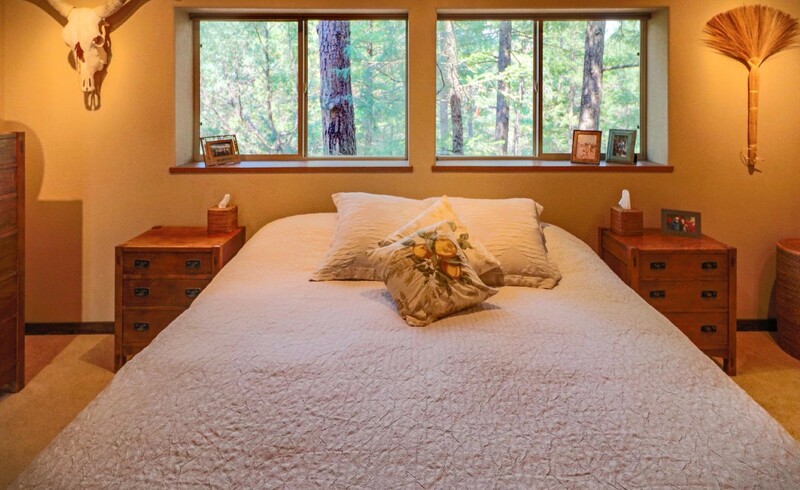 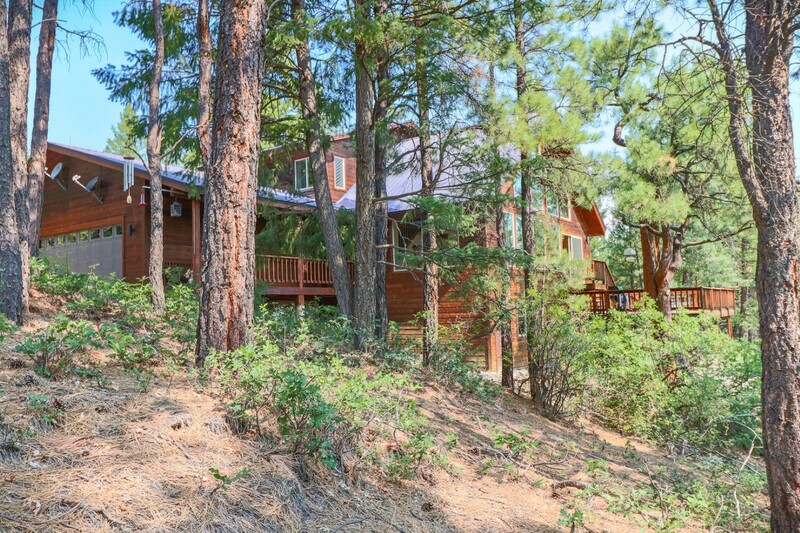 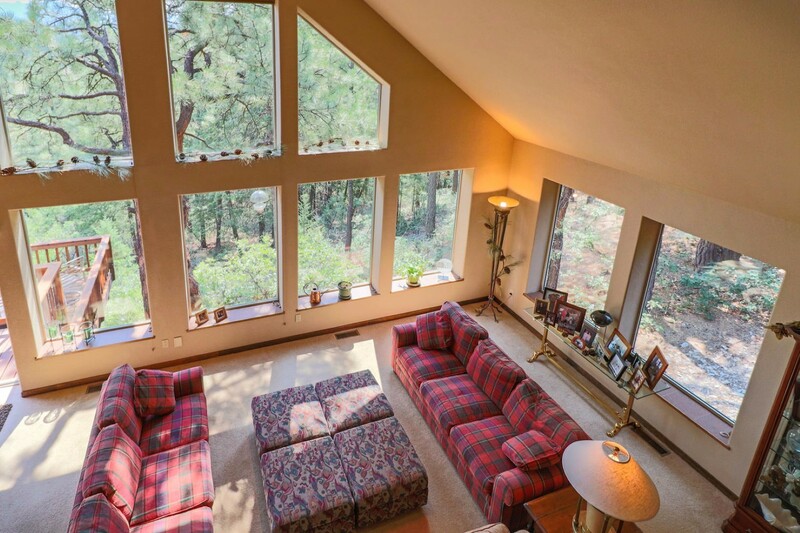 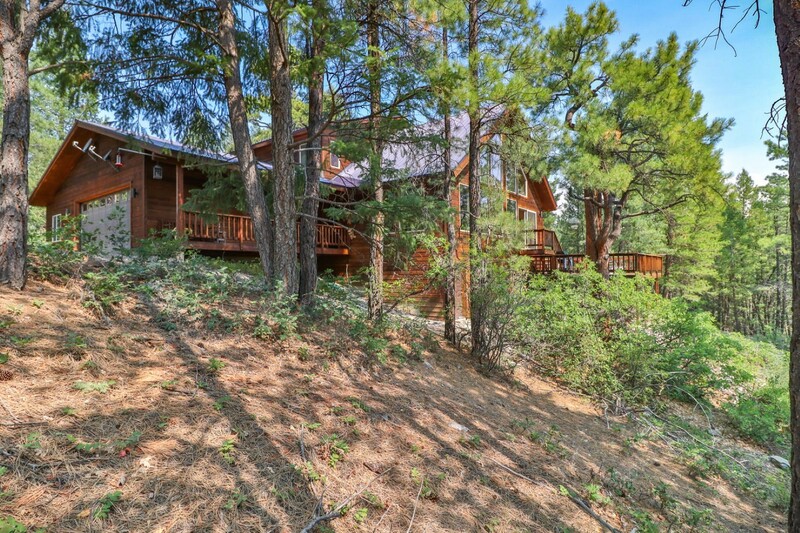 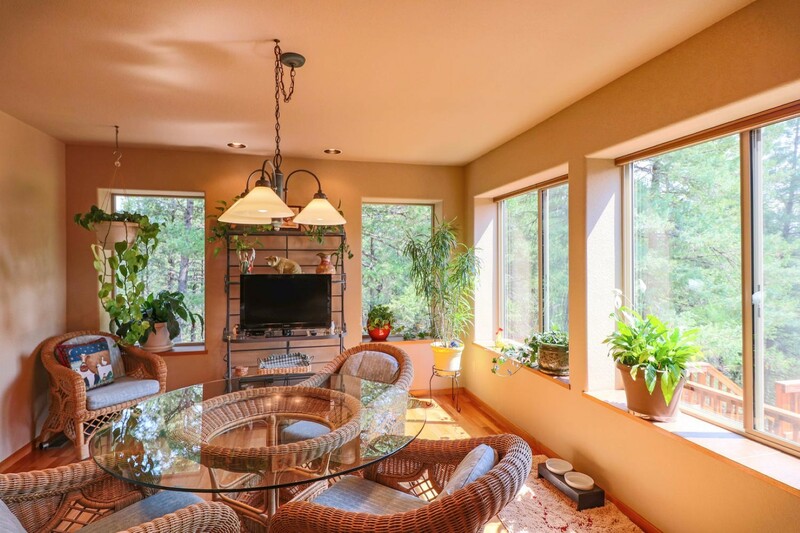 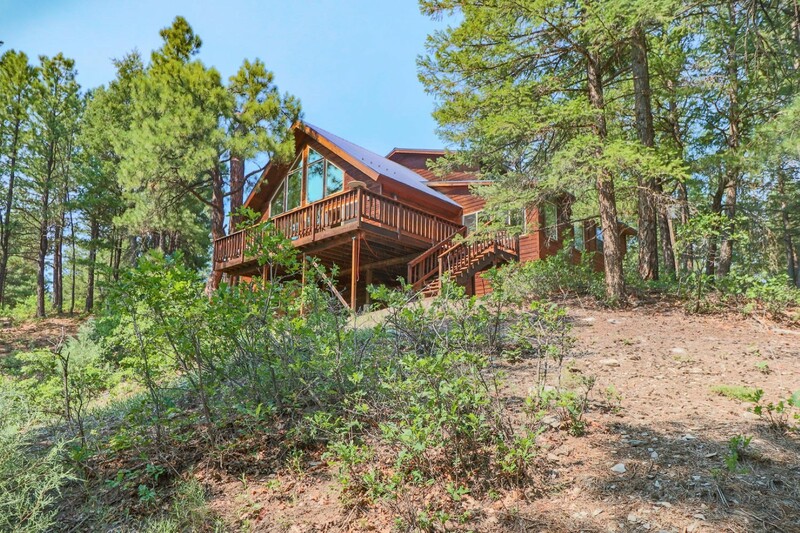 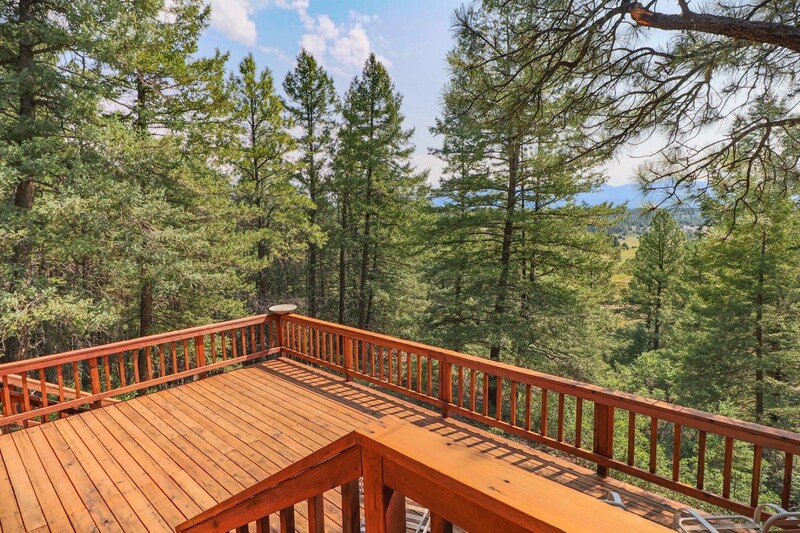 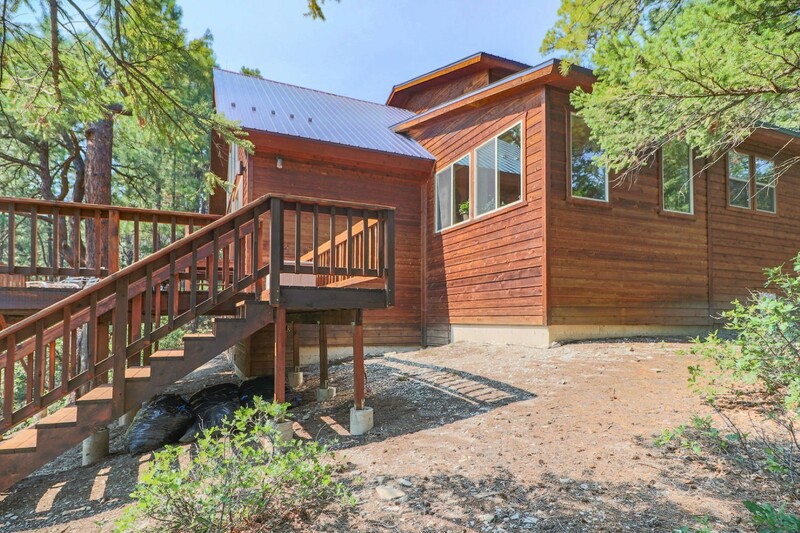 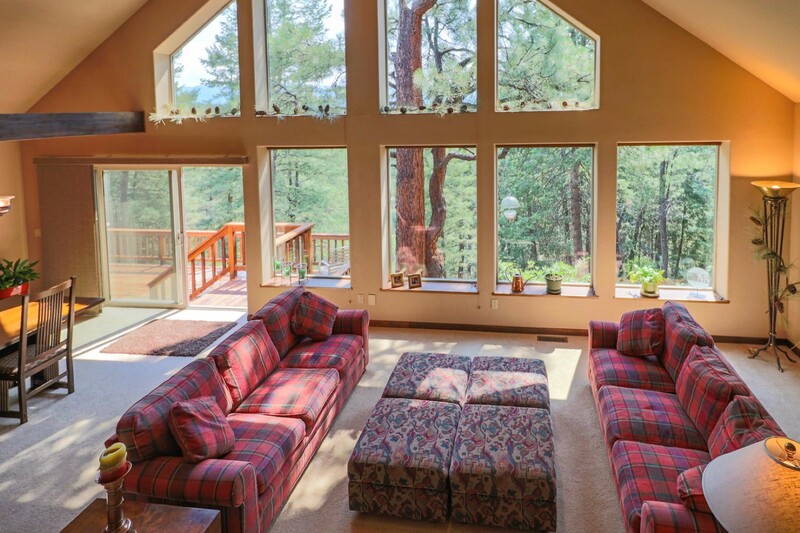 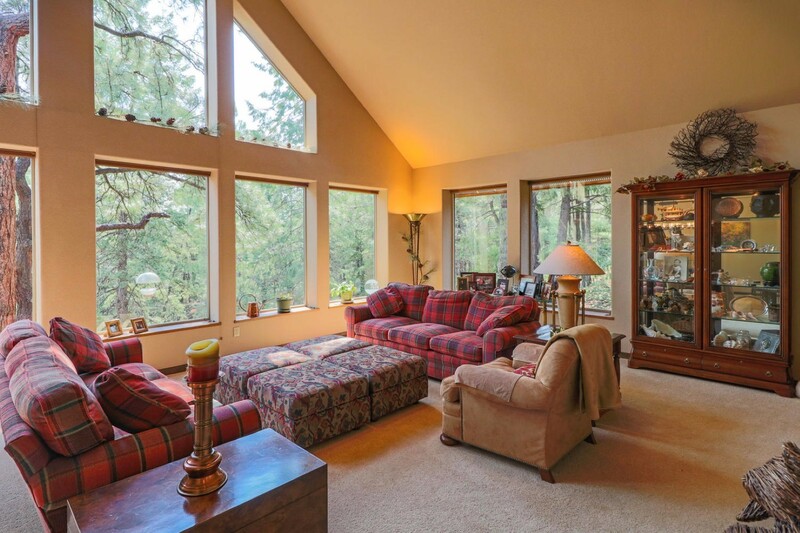 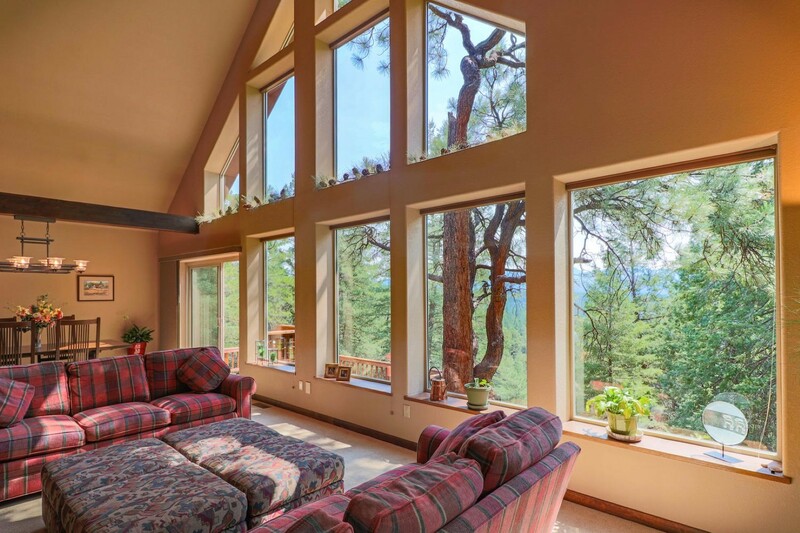 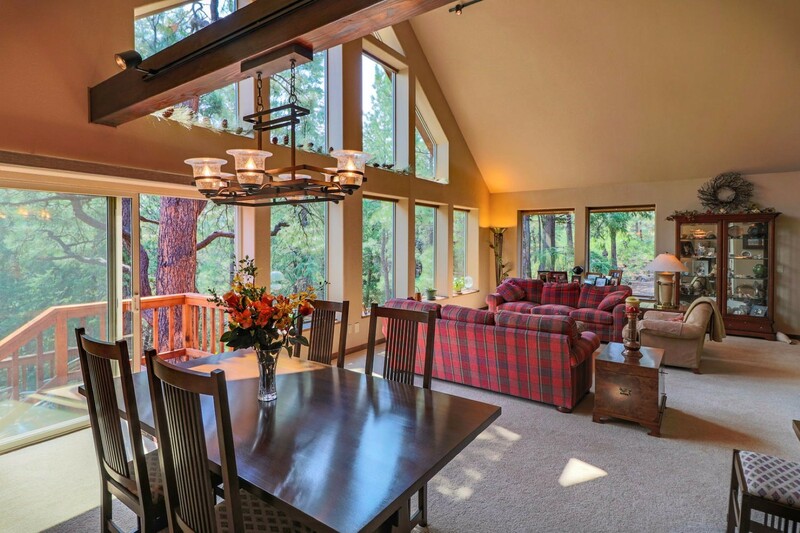 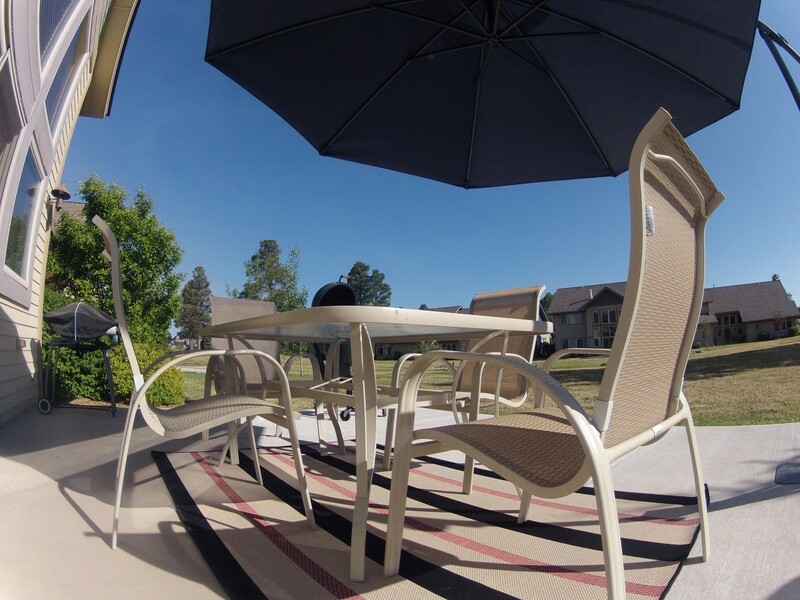 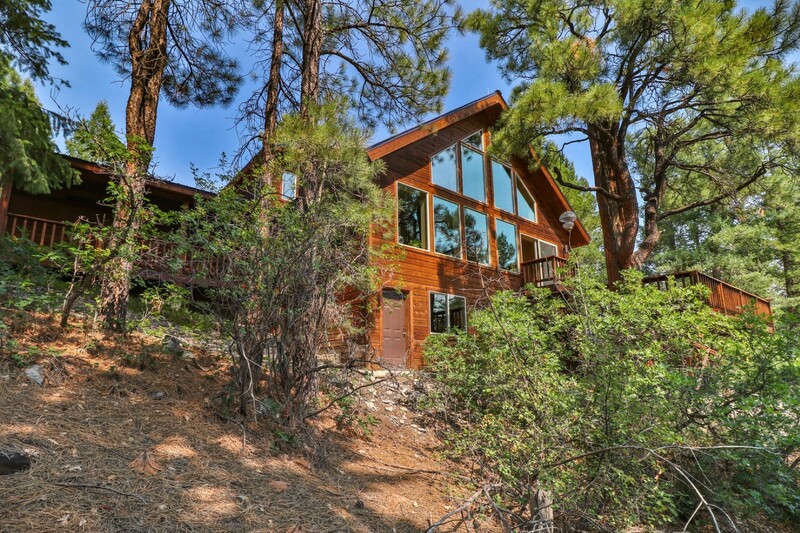 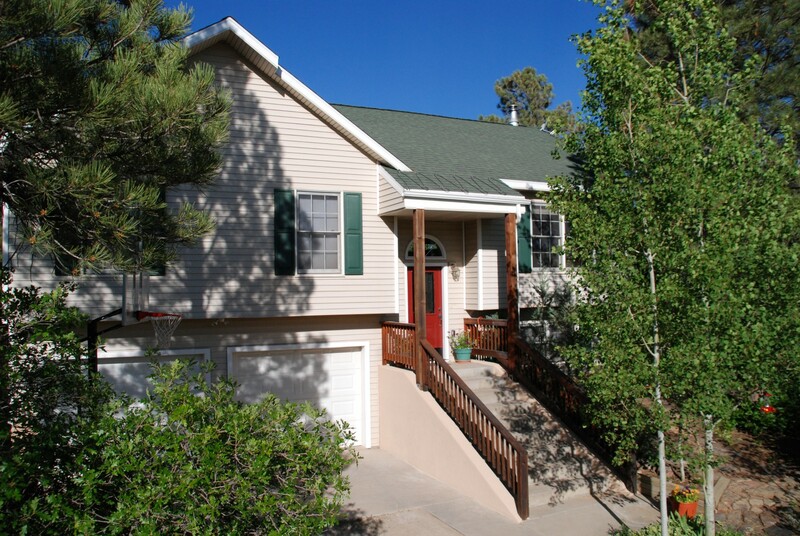 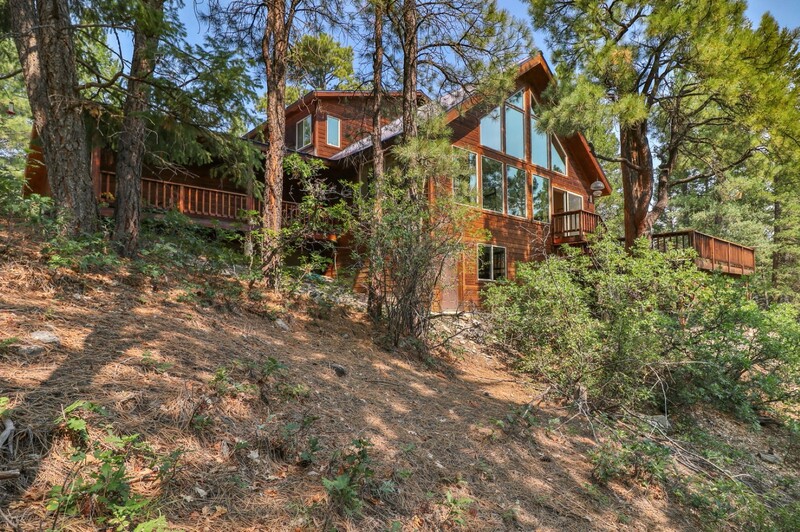 This home sits on an immaculately landscaped lot that features at least 20 big, mature ponderosa pine trees, 5 aspen trees and 5 spruce pine trees which can be viewed from either of the two redwood decks. 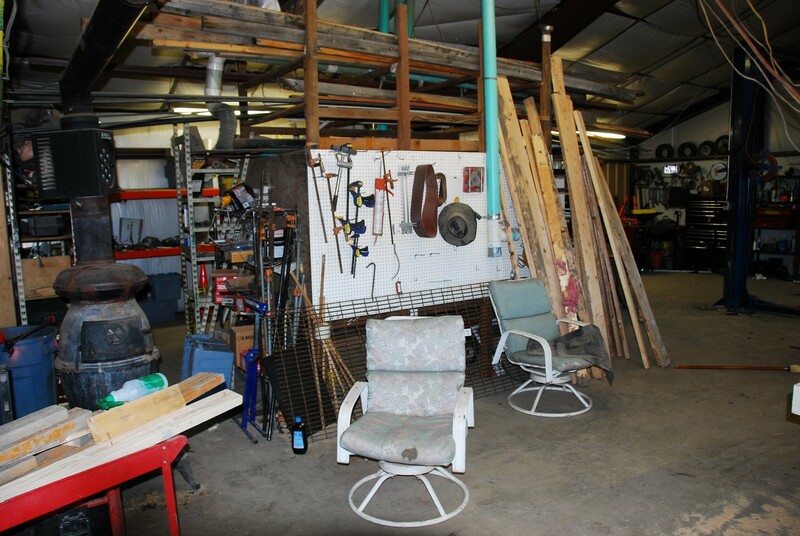 Extra lot is great for an RV or fifth wheel. 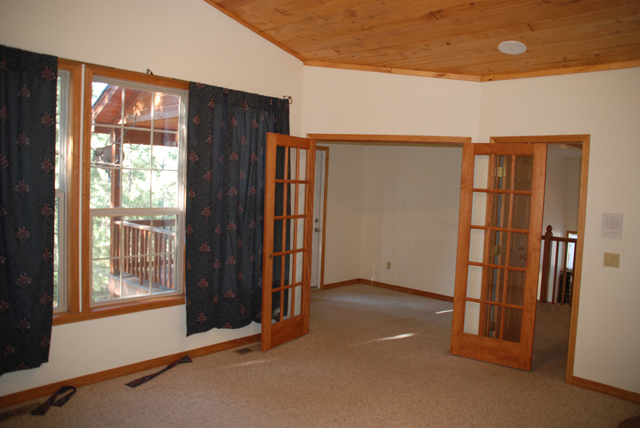 Living room and master bedroom feature fabulous south facing windows meaning lots of natural light and passive solar heating. 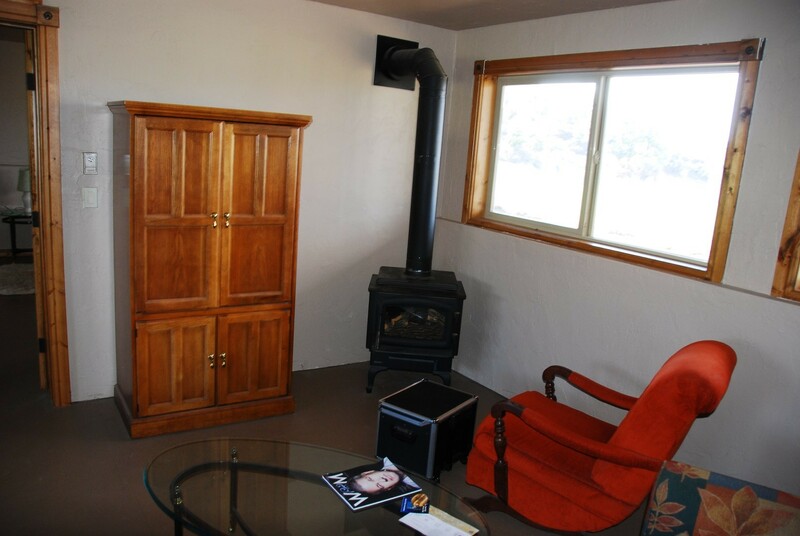 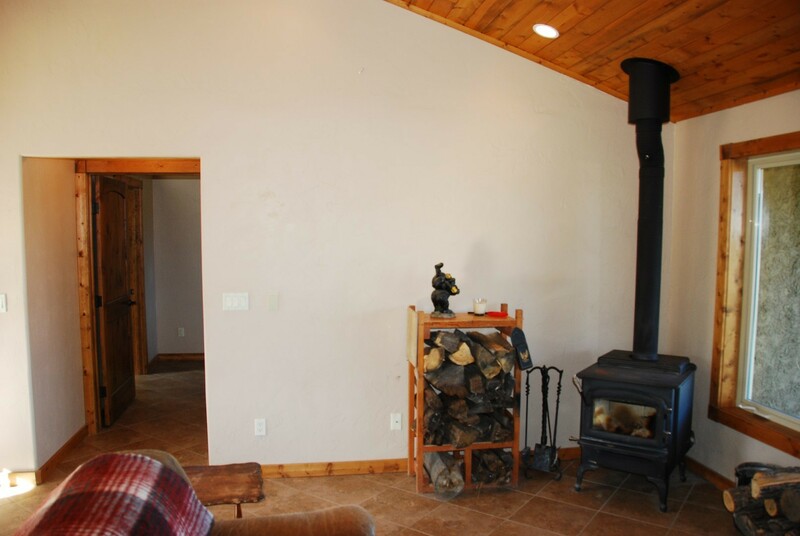 This home has natural gas forced air heating as well as a wood burning stove and a propane heater in the 3rd car garage/workshop. 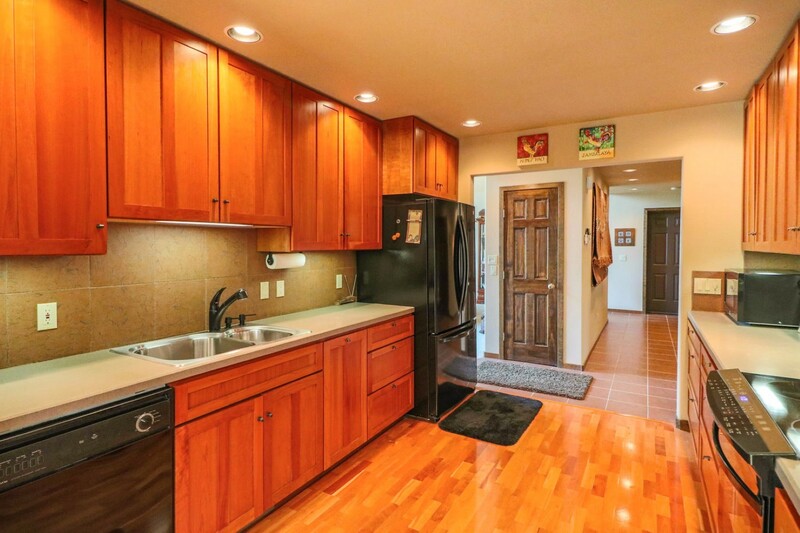 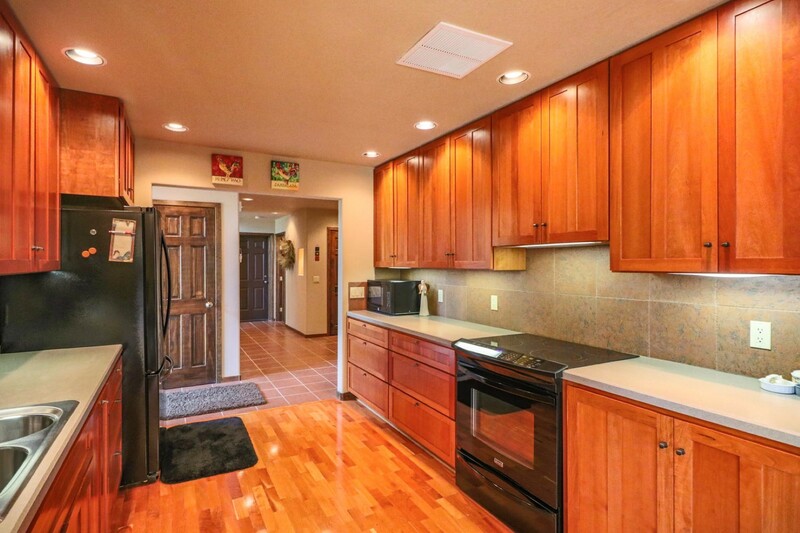 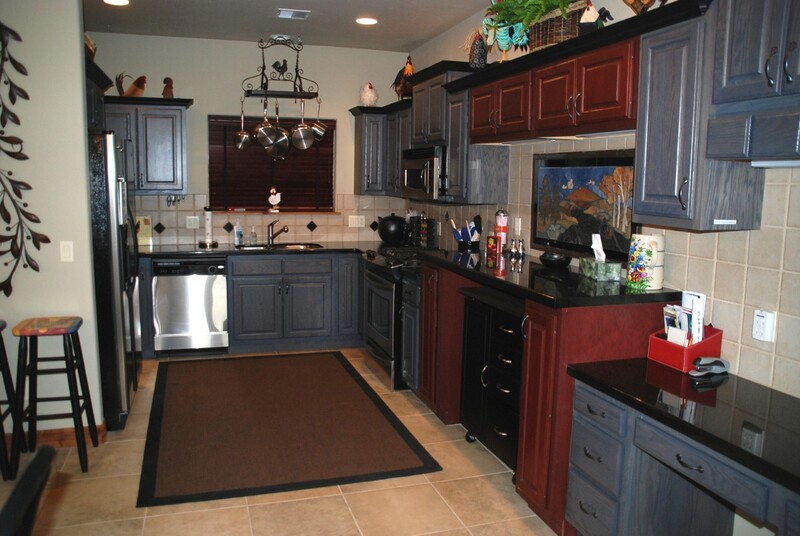 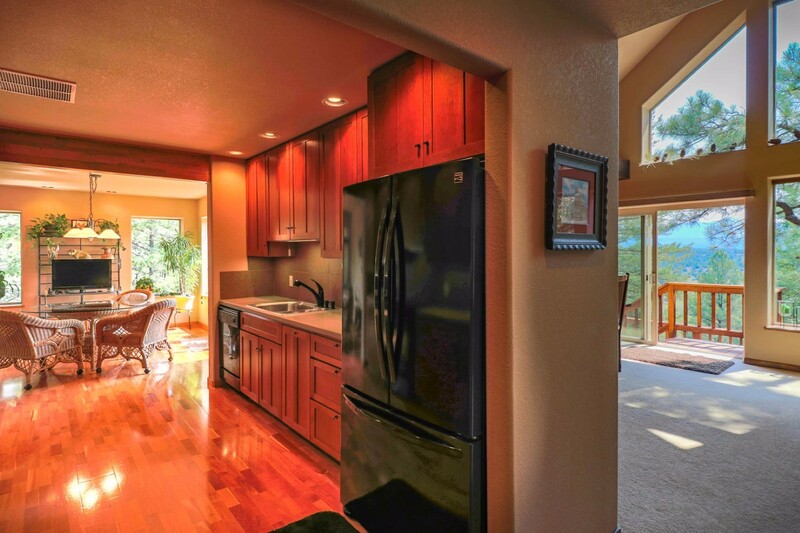 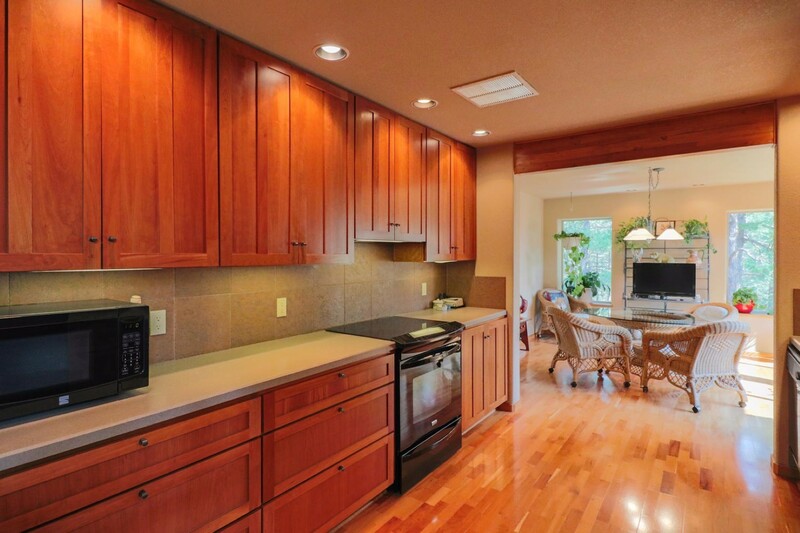 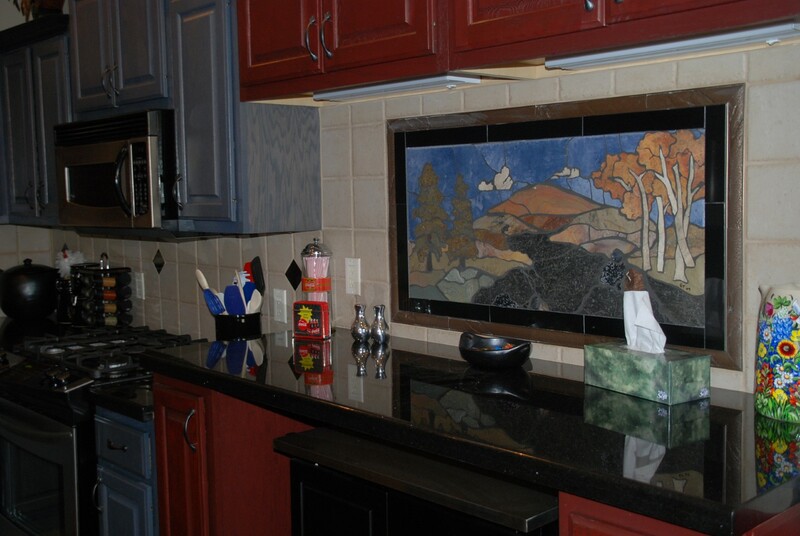 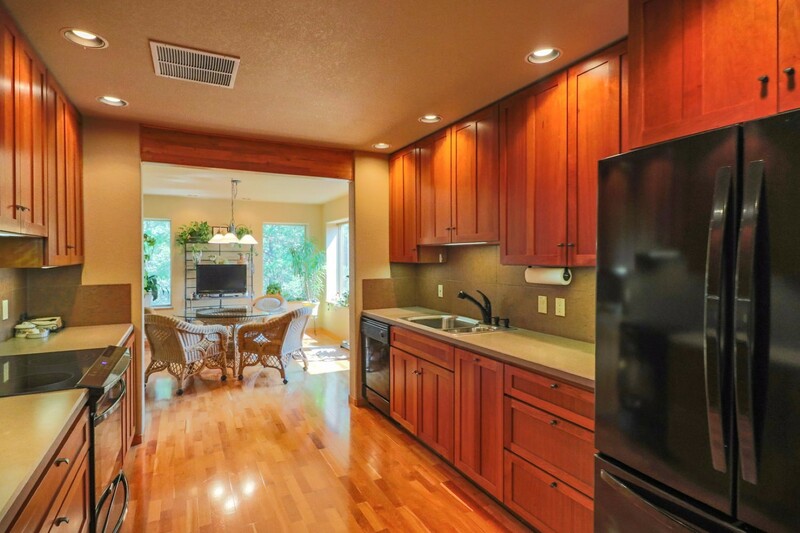 Kitchen overlooks beautiful back yard and features numerous cabinets and an adorable pantry. All this at a great low price and located close to shopping, churches, National Forest, fishing and golf course. 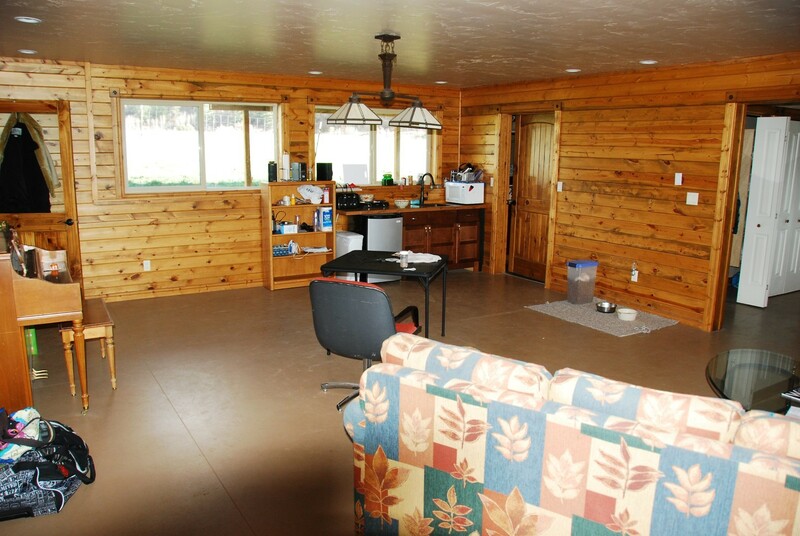 All this for only $335,000. Please contact me today to preview this wonderful home. 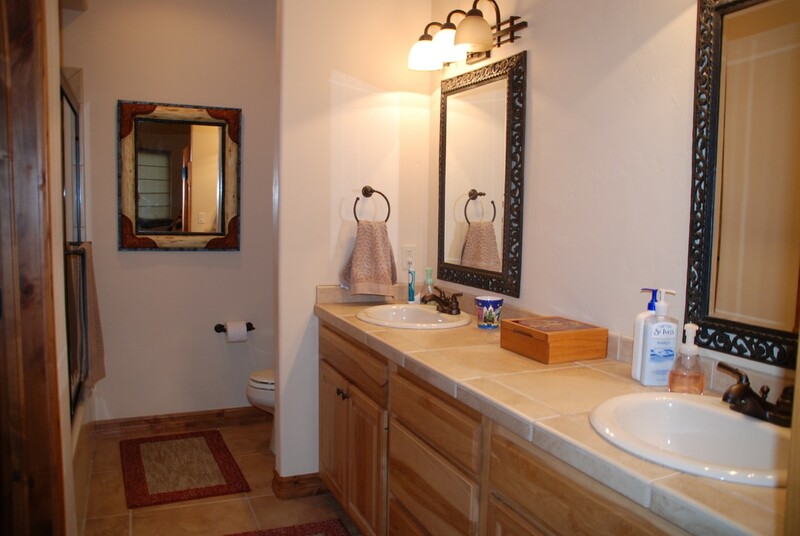 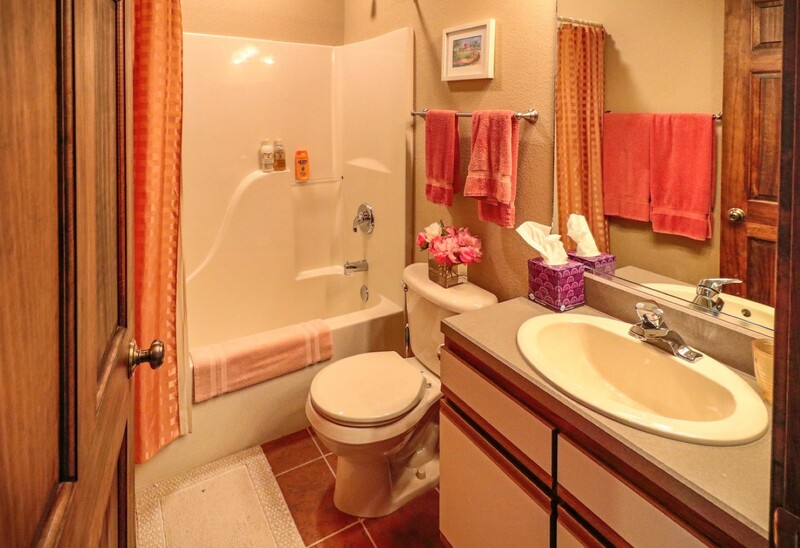 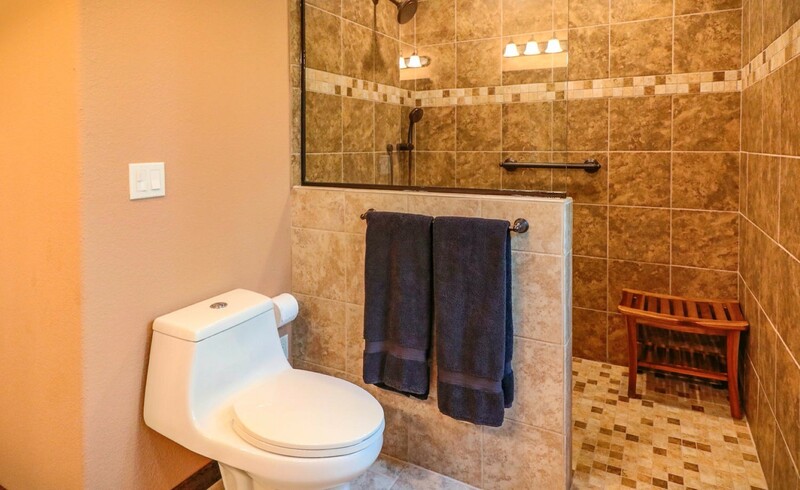 Click here for more home pictures.